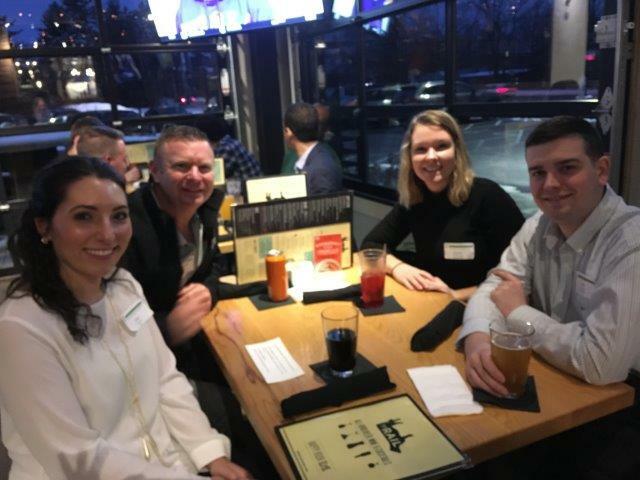 Thank you to all the attendees who came out to enjoy a fun evening with friends on Jan. 16 at The Rail in Dublin. 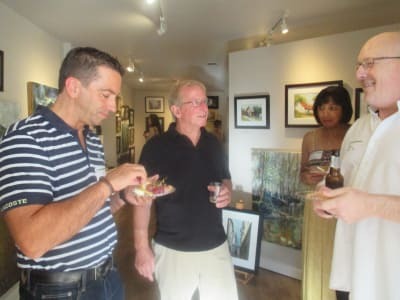 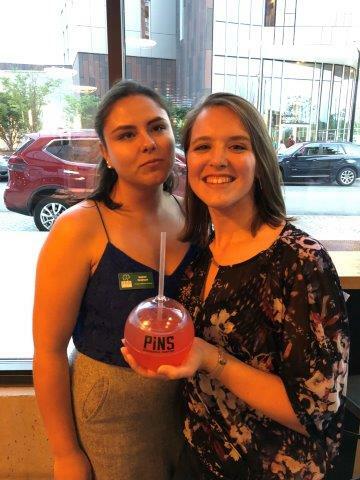 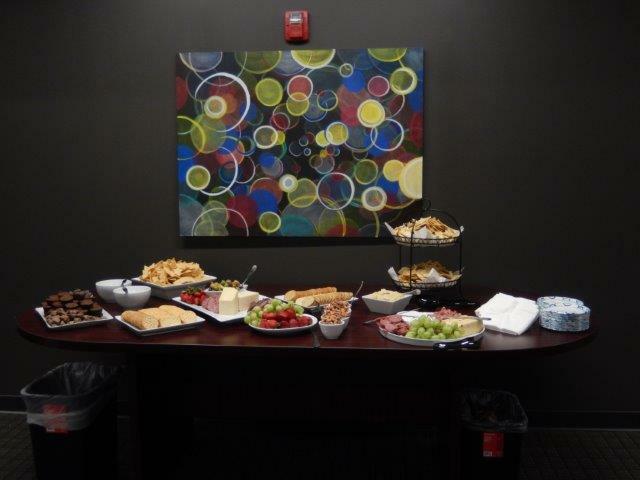 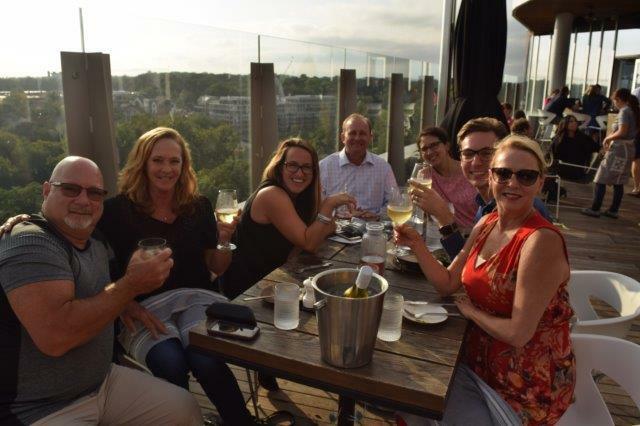 Everyone enjoyed free appetizers and special drink pricing. 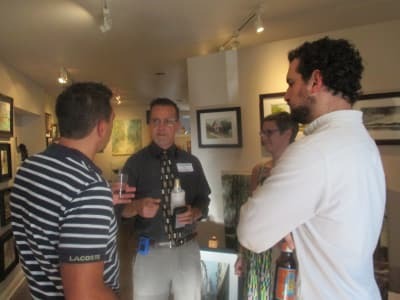 In addition, a beer distributor discussed local craft beers, and everyone had a chance to win one of many door prizes. 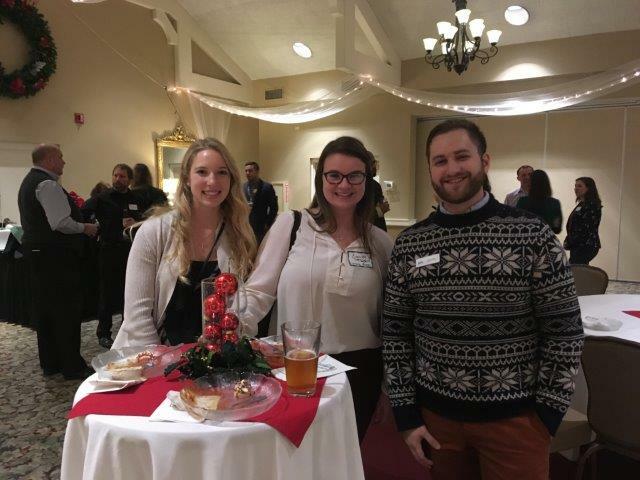 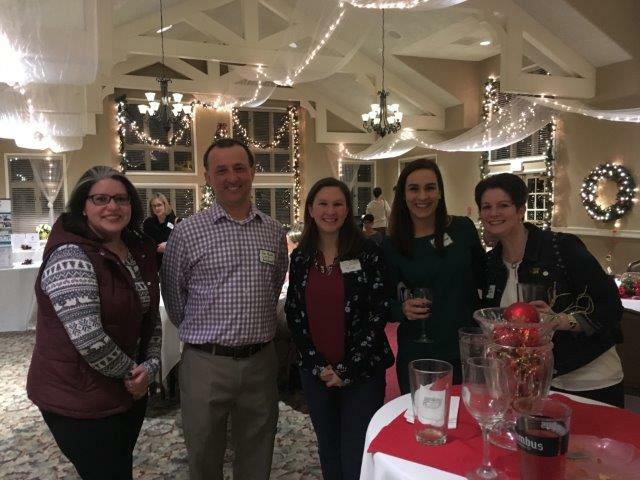 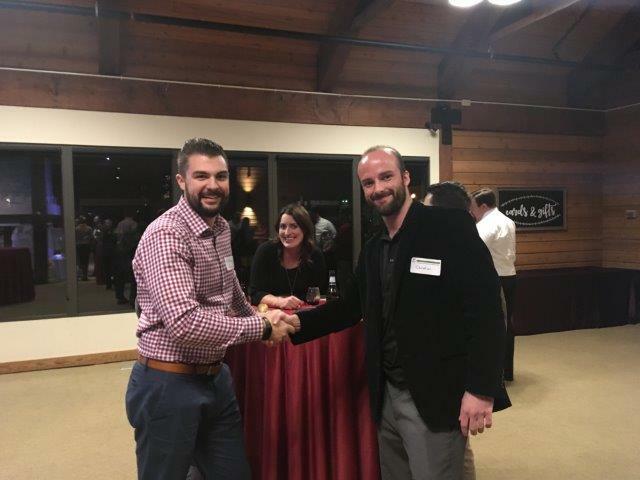 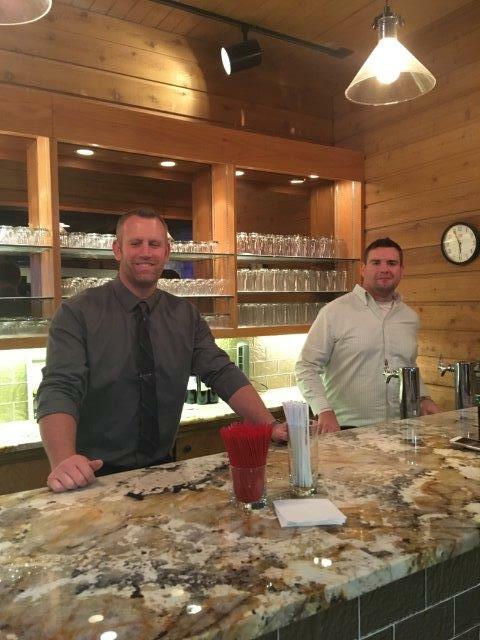 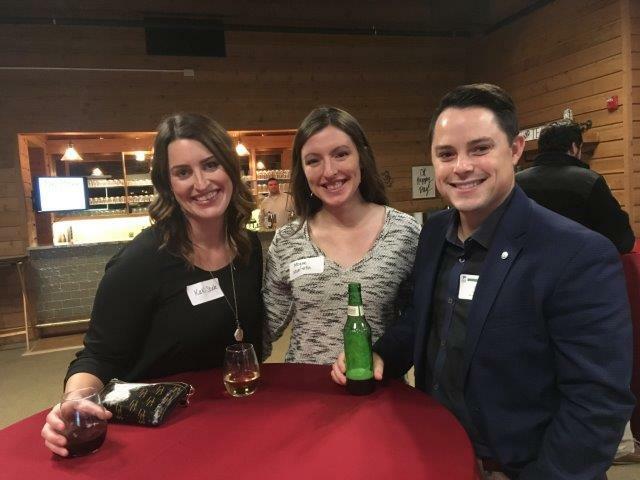 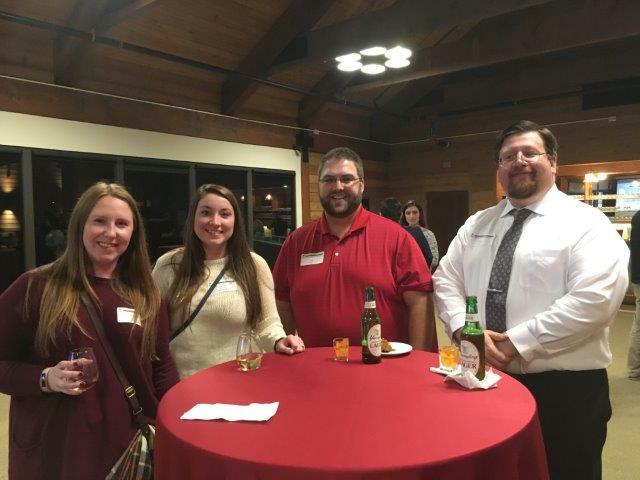 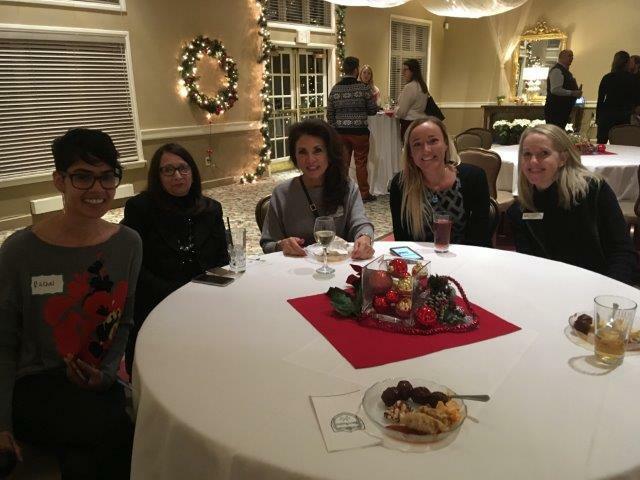 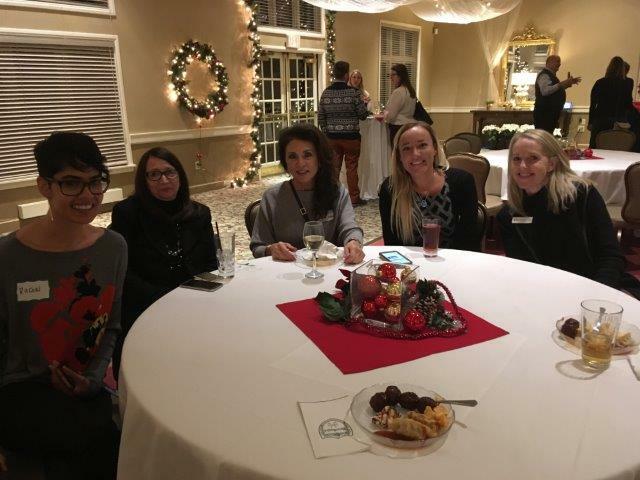 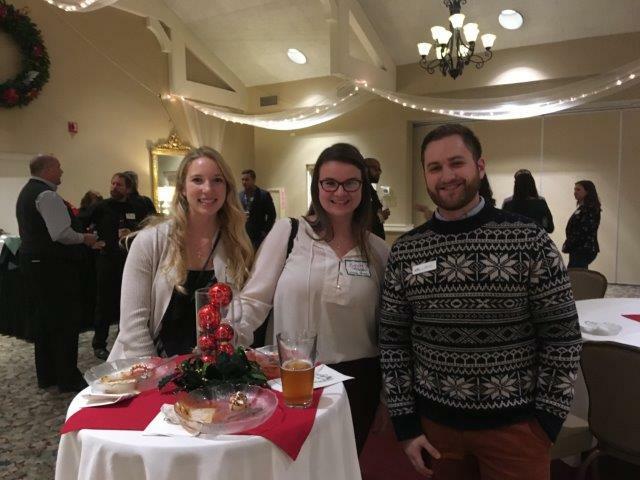 Thank you to Brookside Golf & Country Club for hosting area business professionals at the Young Professionals (YP) Holiday Party on Dec. 14. 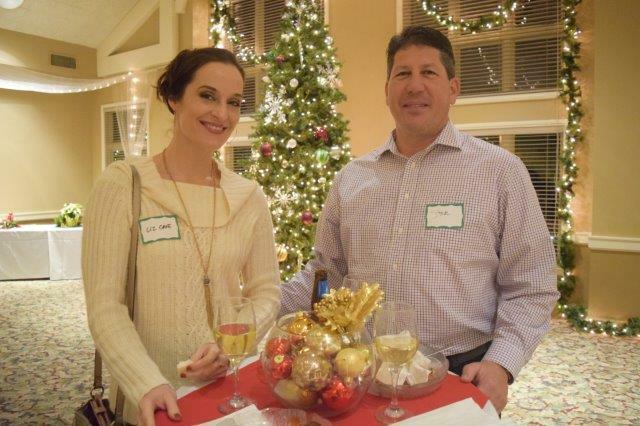 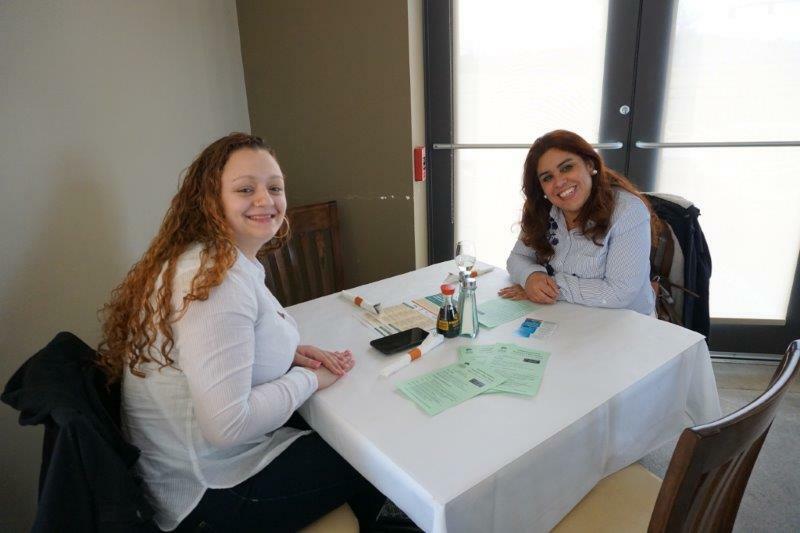 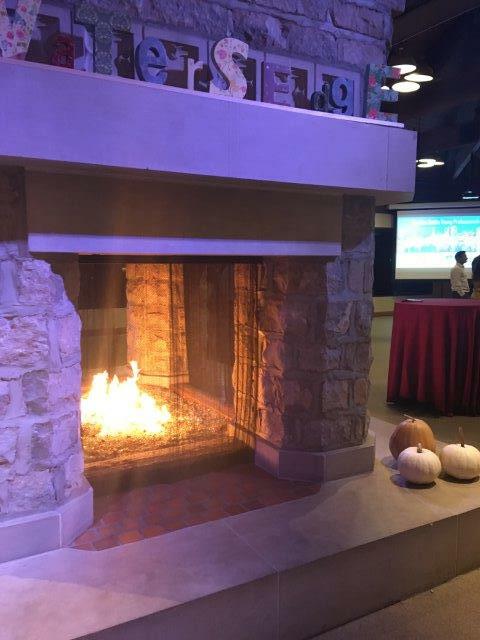 Attendees had the opportunity to enjoy a beautiful facility, and partake in delicious food and drinks to celebrate the holiday season. 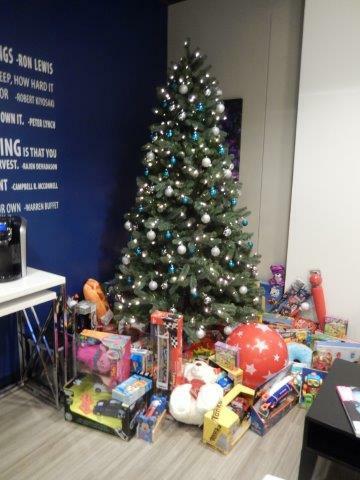 Also, thank you to all who contributed to the NextGen Dublin Food, Coat and Mitten Drive to help local families in need. 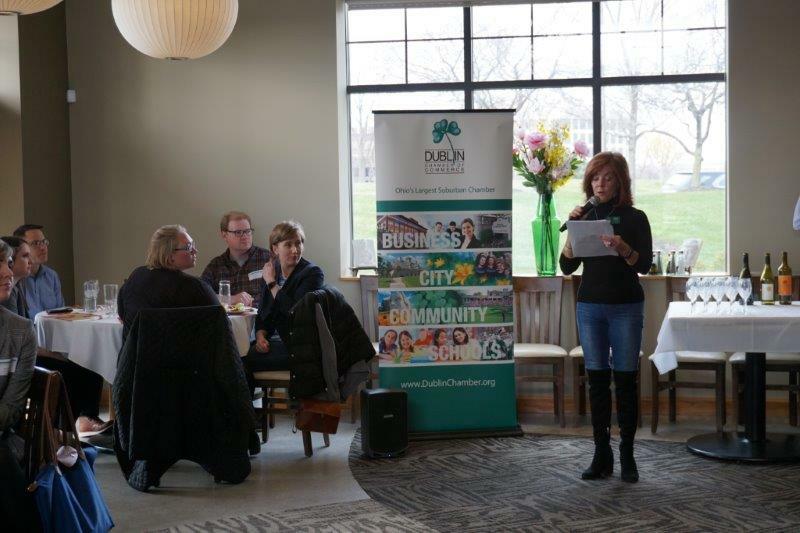 Food was donated to the Dublin Food Pantry and coats, hats and mittens were donated to the Welcome Warehouse. 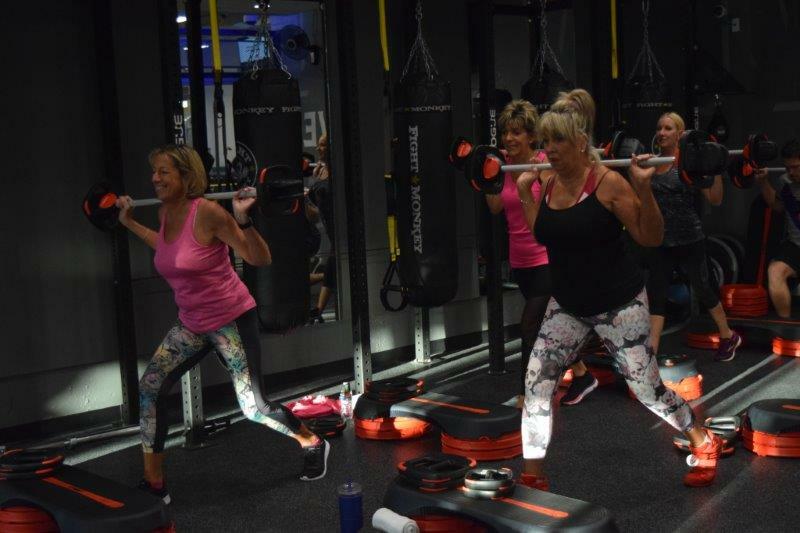 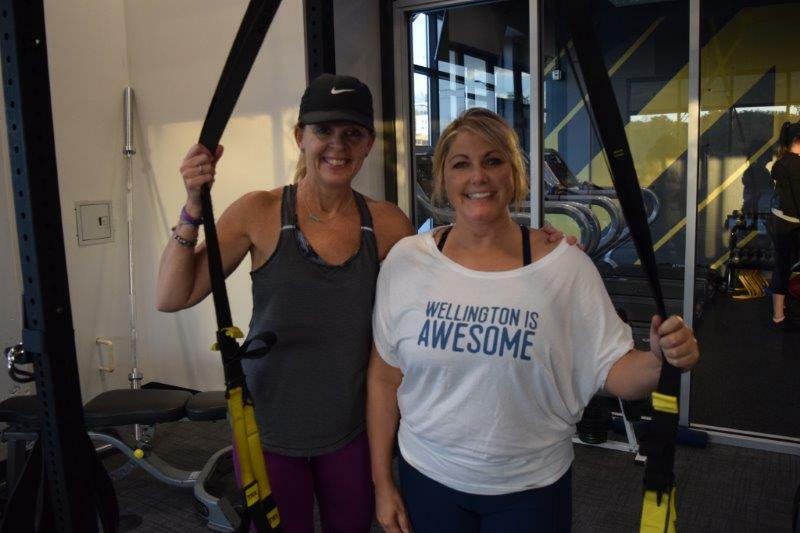 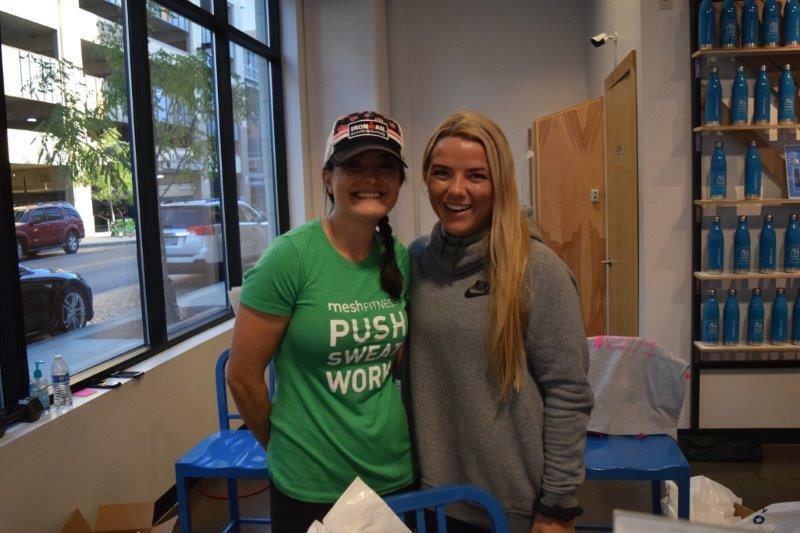 In honor of National Breast Cancer Awareness Month, NextGen Dublin held a Fitness Party at Mesh Fitness in Dublin on Oct. 17. 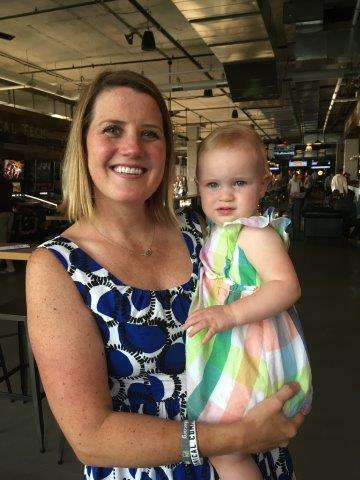 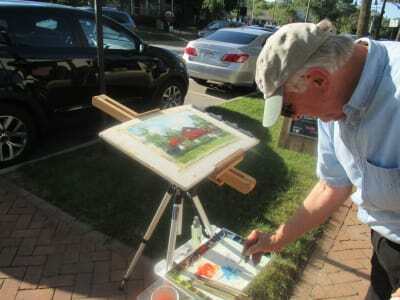 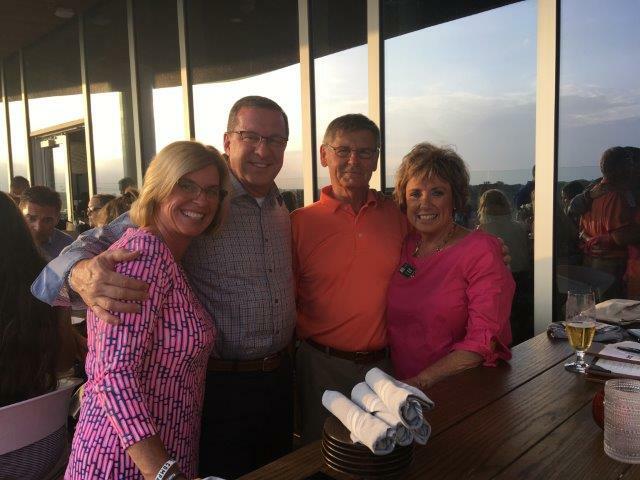 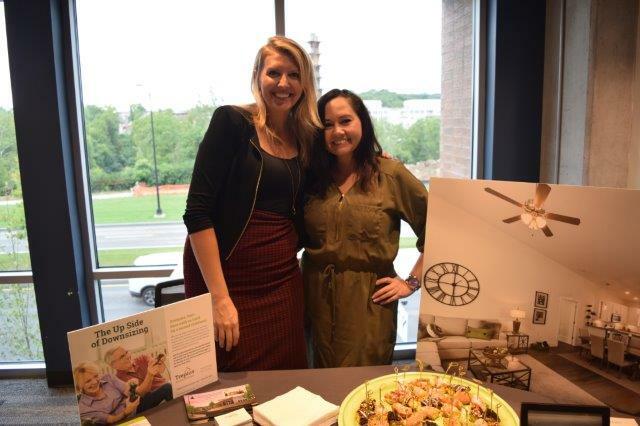 The event raised funds for the Stefanie Speilman Fund for Breast Cancer Research at the OSU James Cancer Hospital. 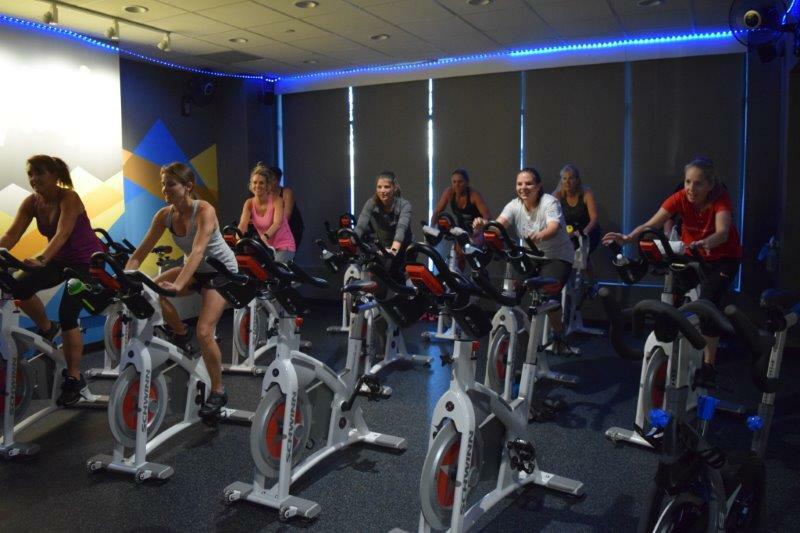 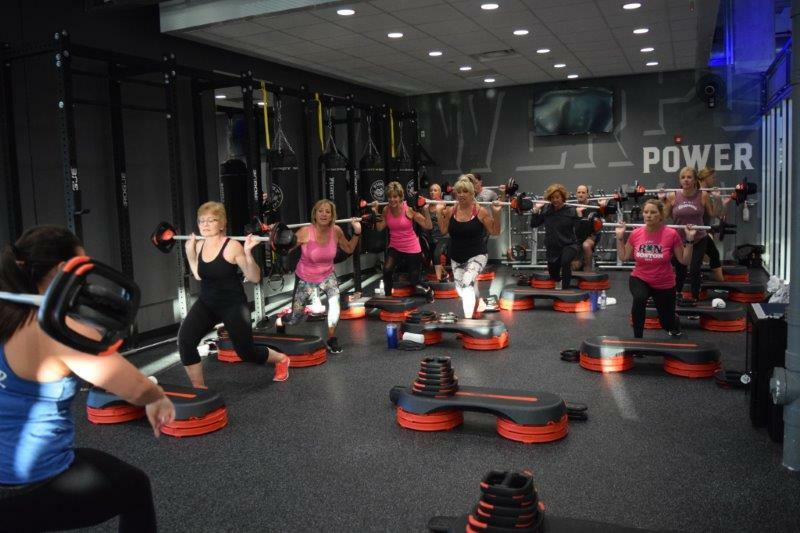 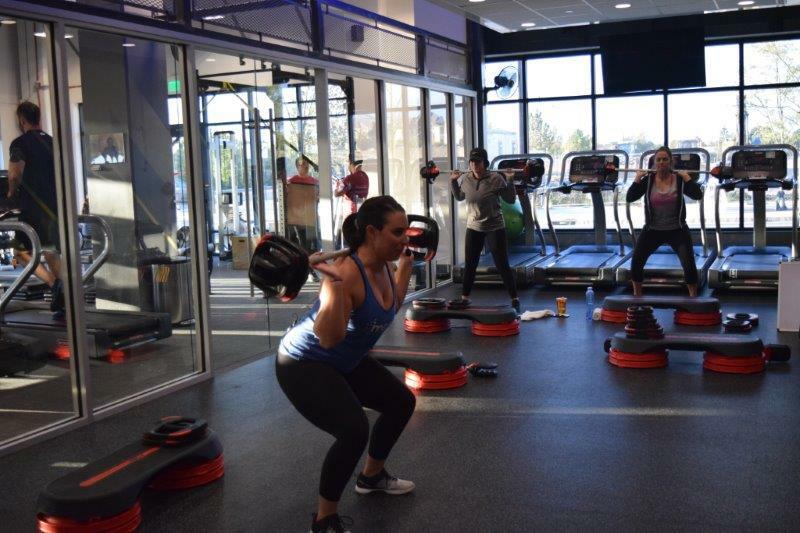 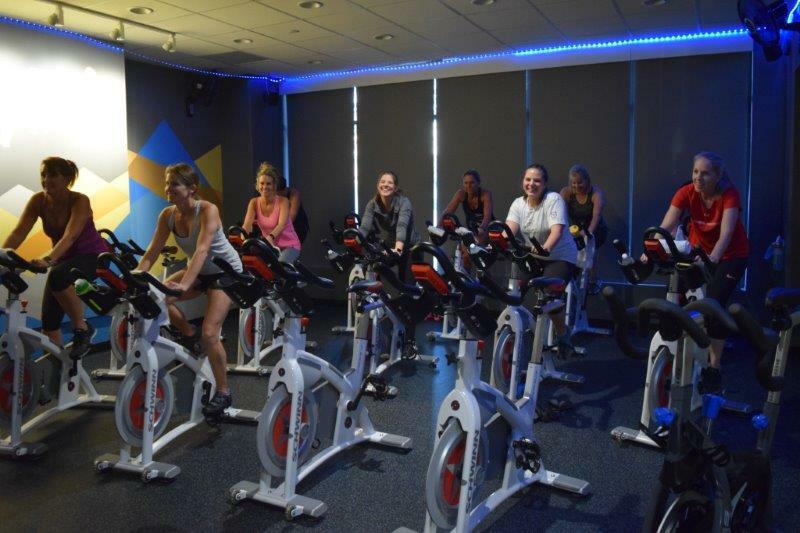 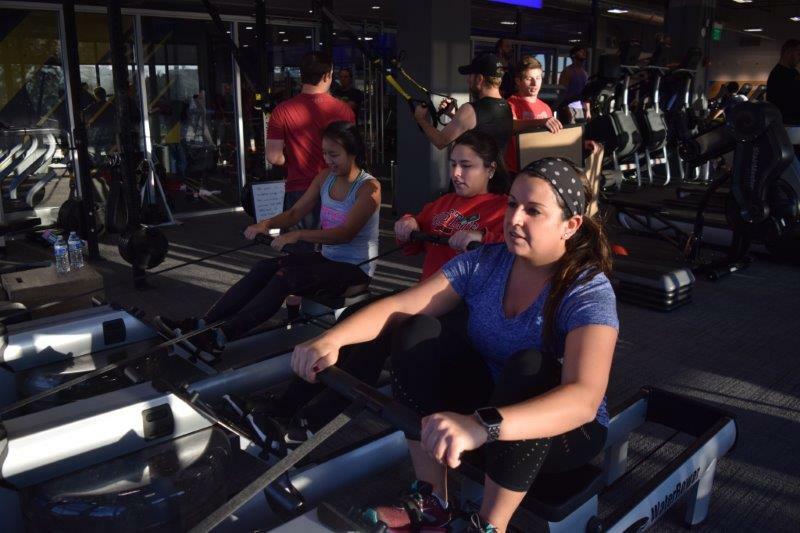 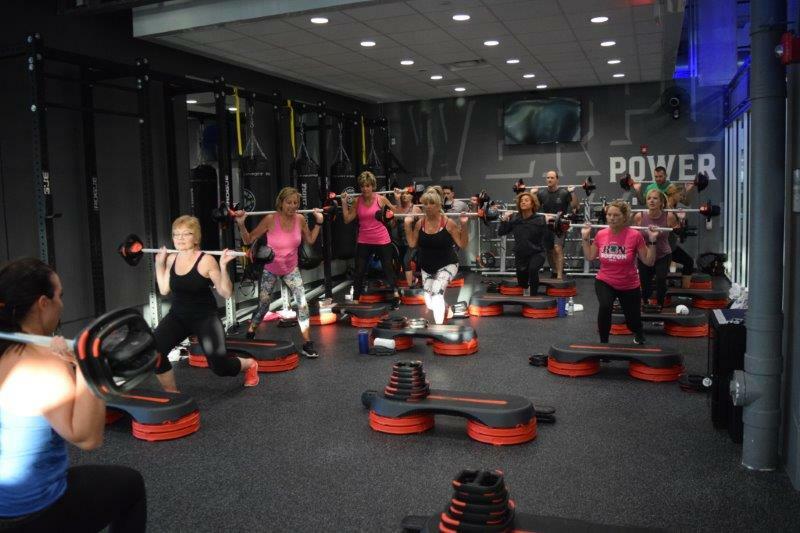 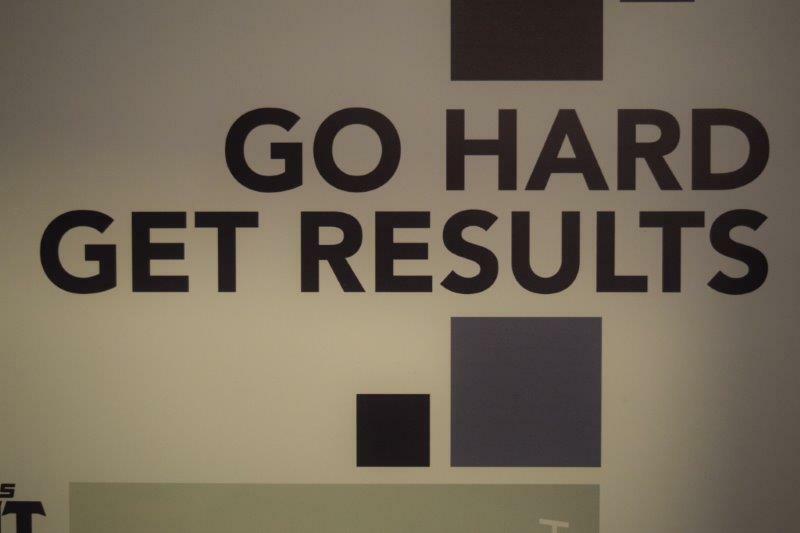 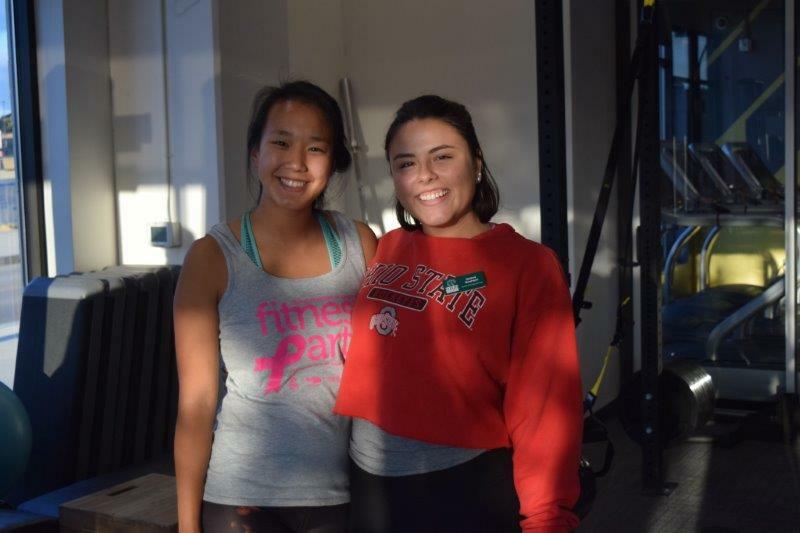 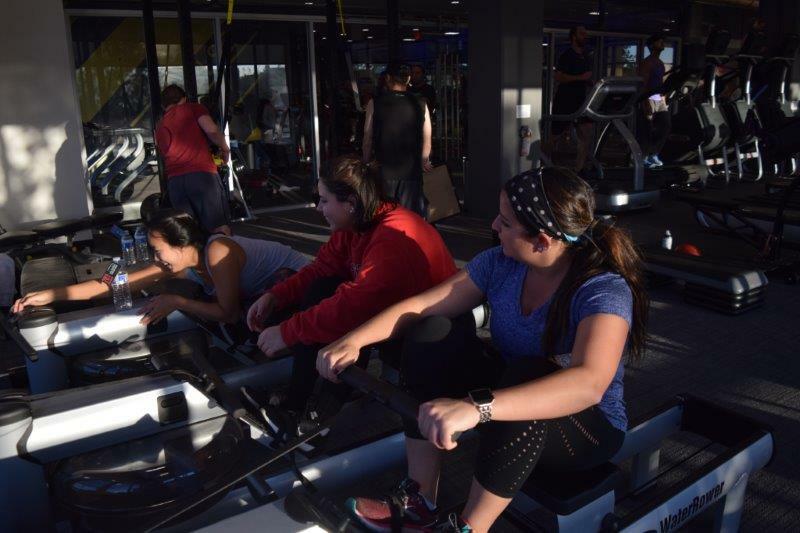 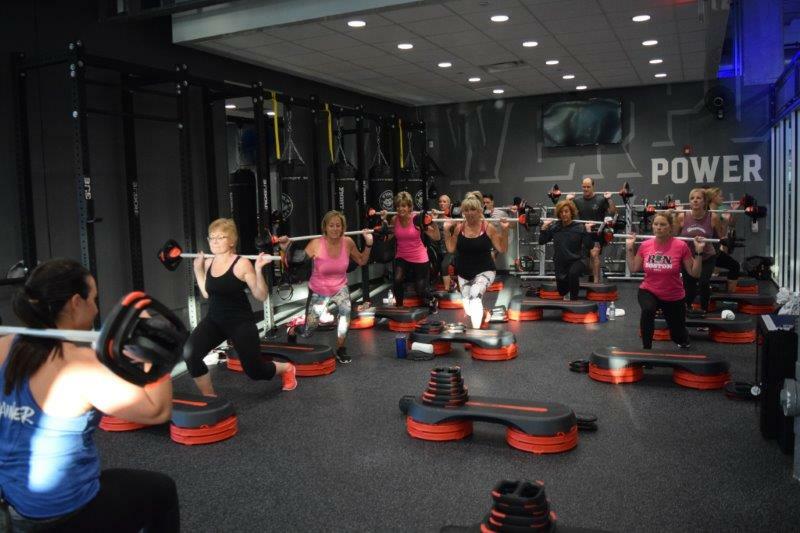 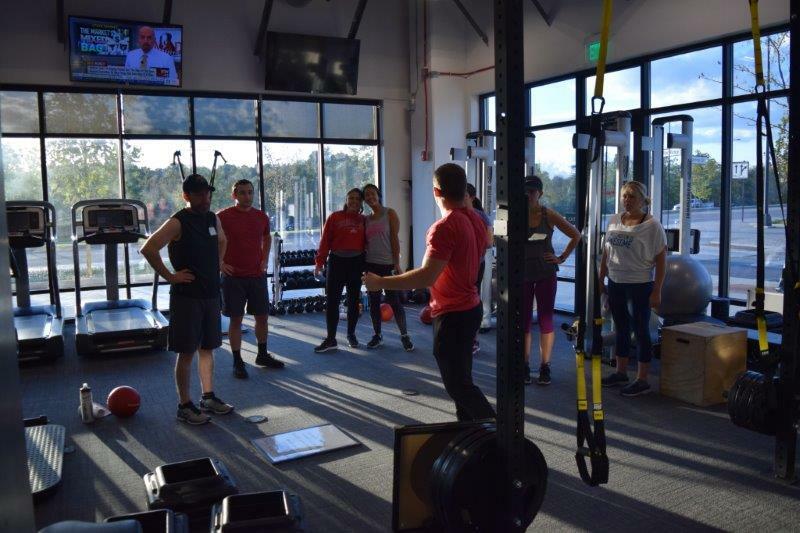 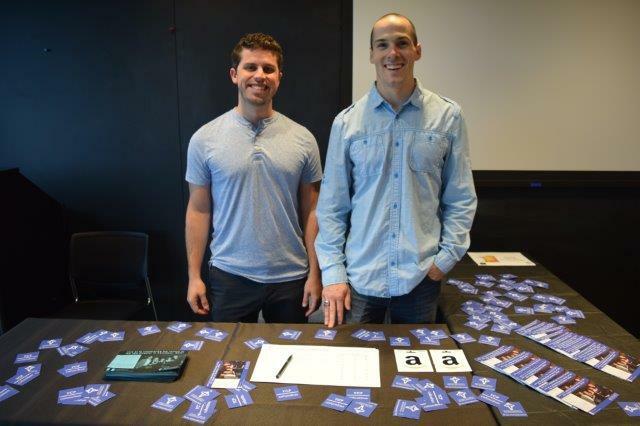 Attendees enjoyed bodypump, pedal and circuit classes and were treated to free gifts, door prizes and snacks. 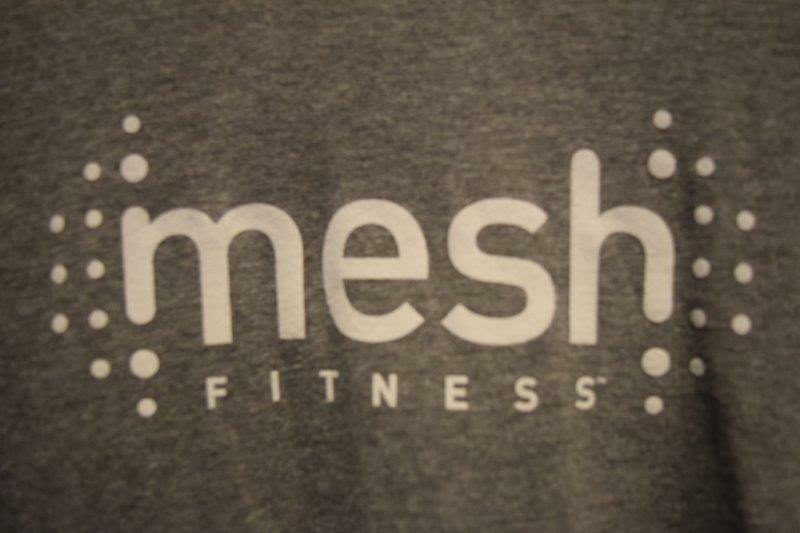 Thank you to Mesh Fitness and Performance Printing for making this event possible. 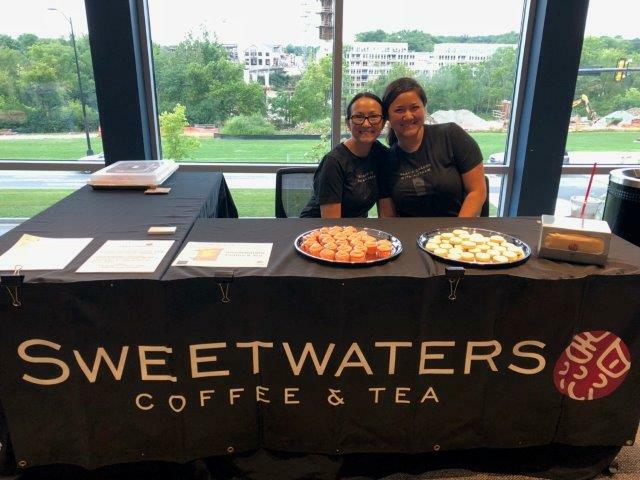 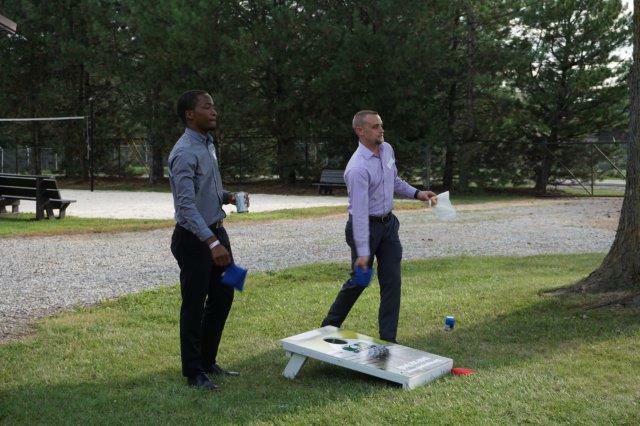 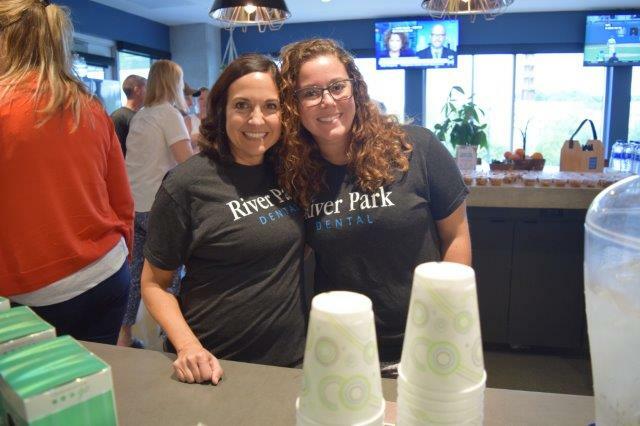 Thank you to the attendees and business partners who helped to make the Brew Hop at Bridge Park on Aug. 16 a huge success. 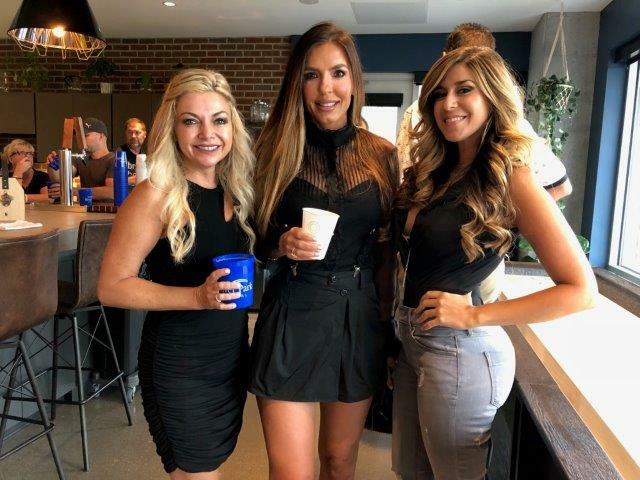 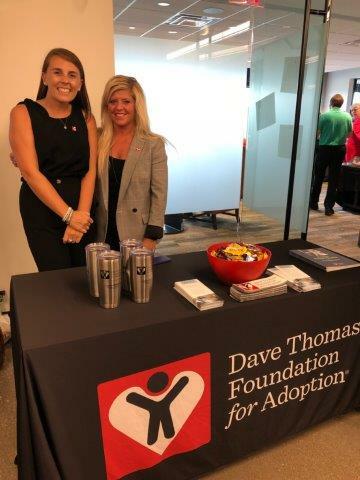 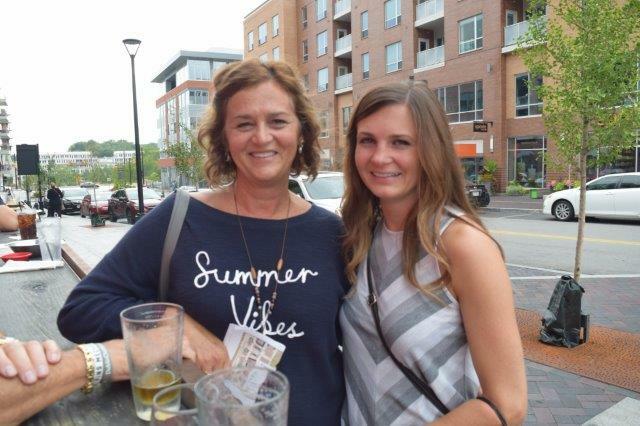 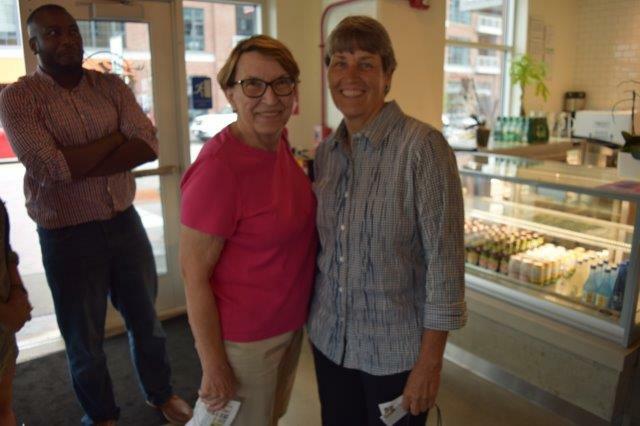 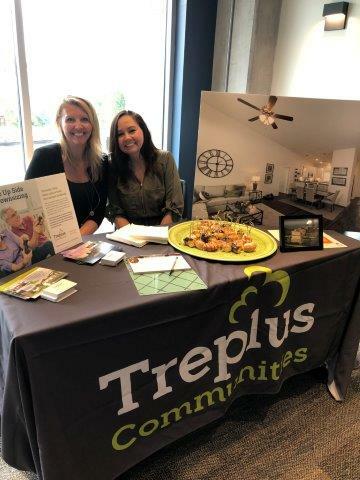 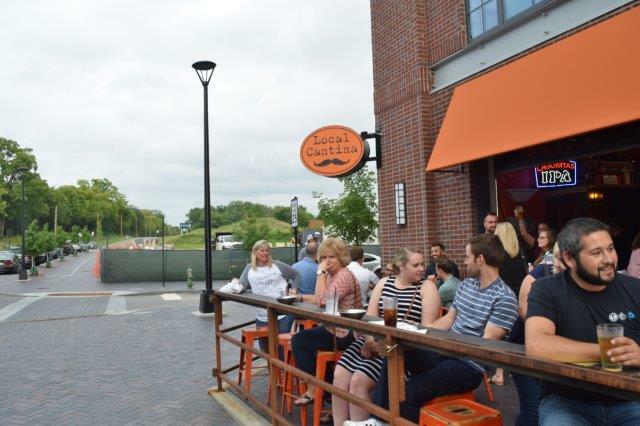 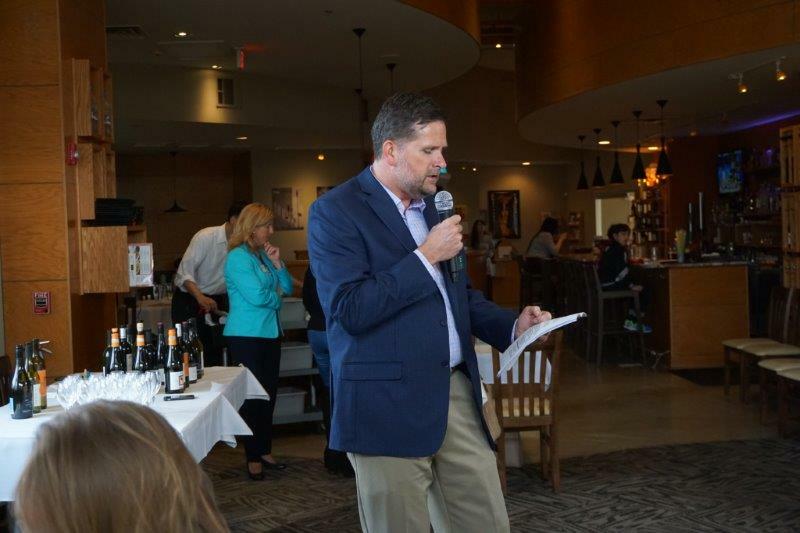 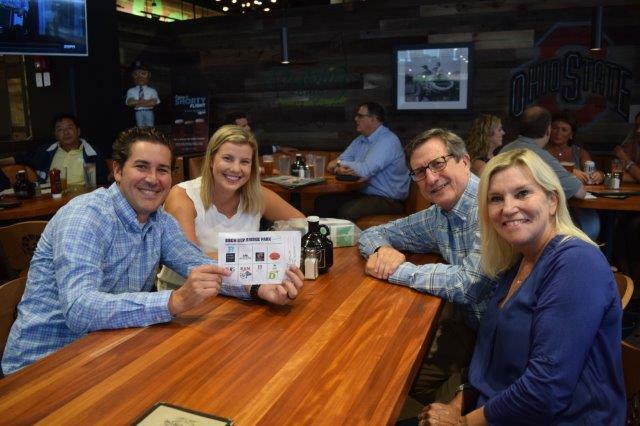 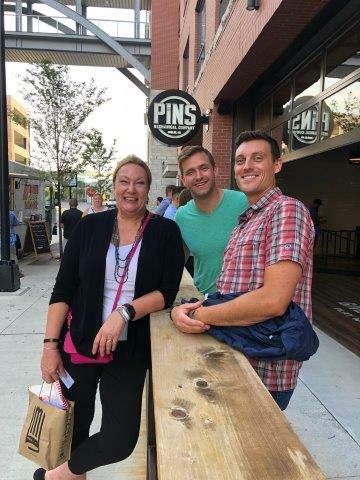 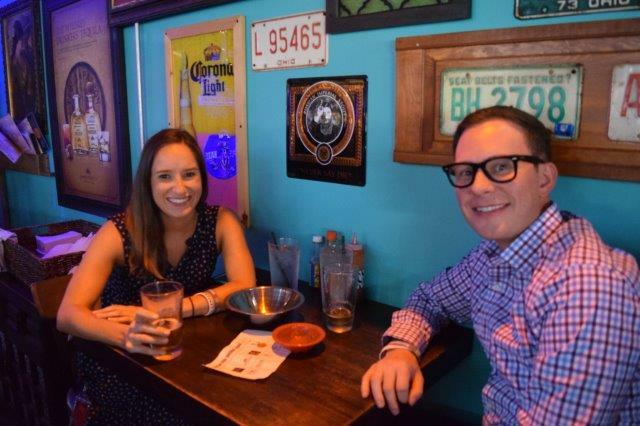 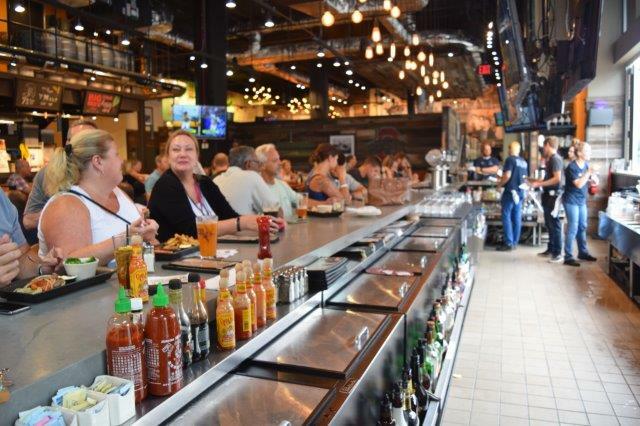 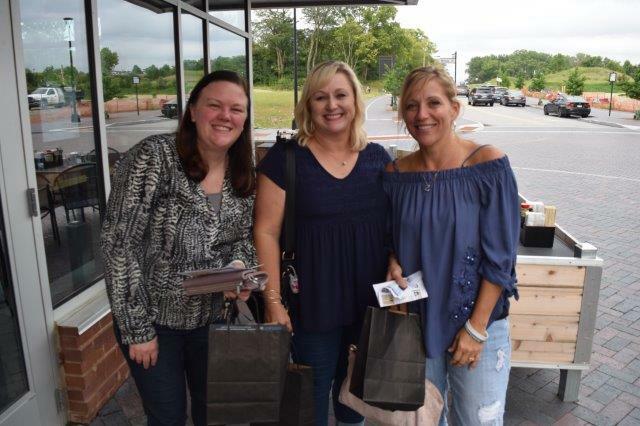 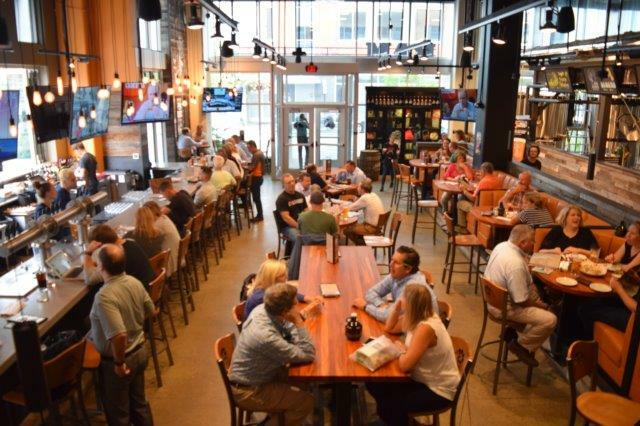 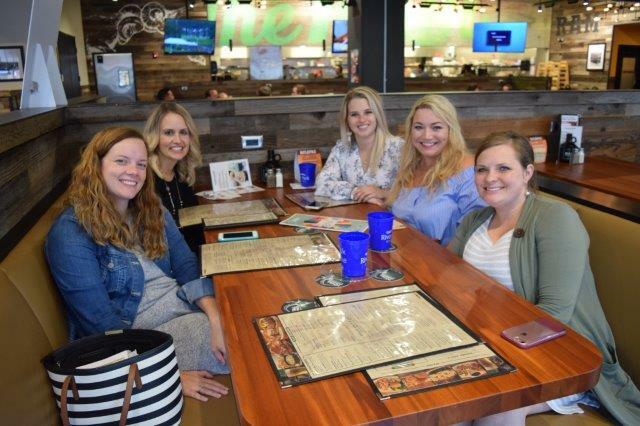 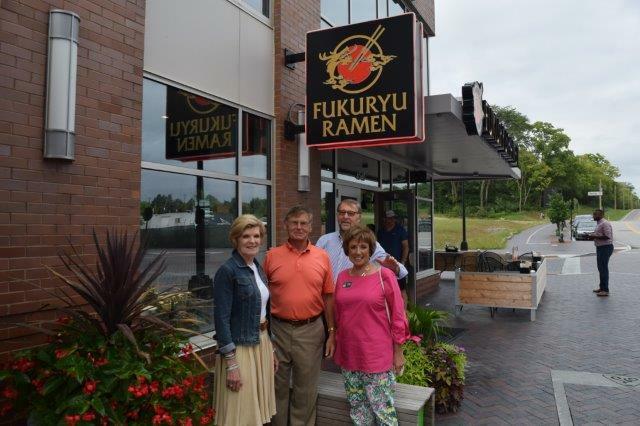 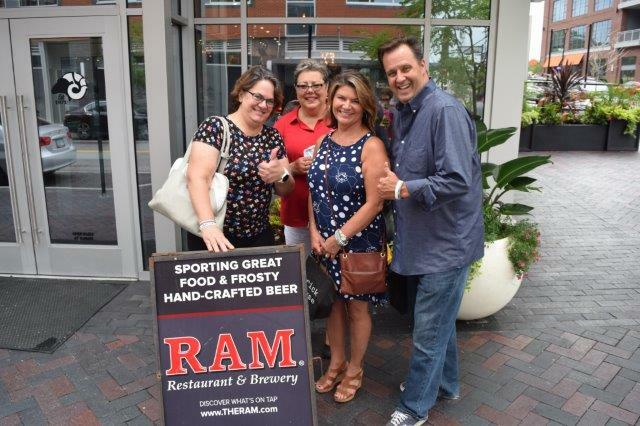 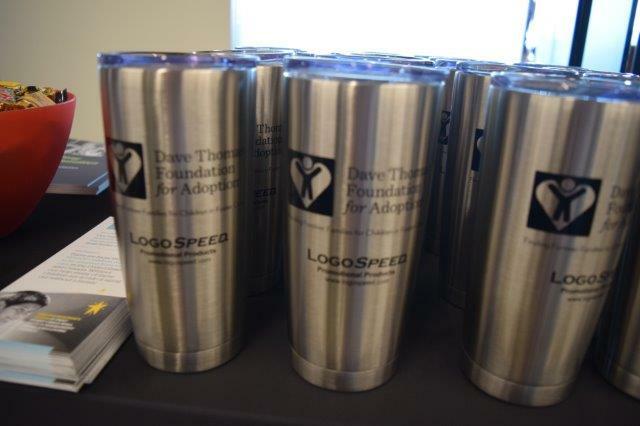 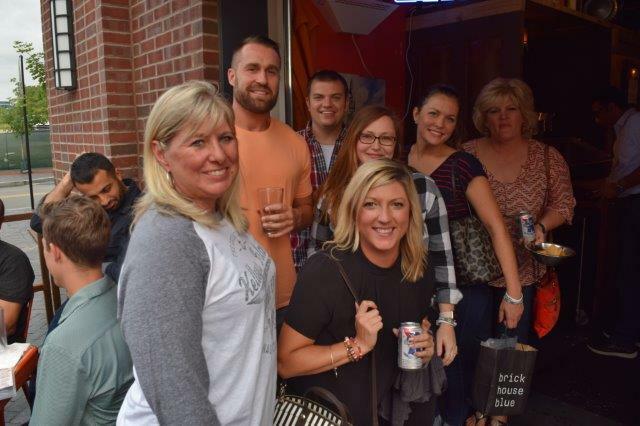 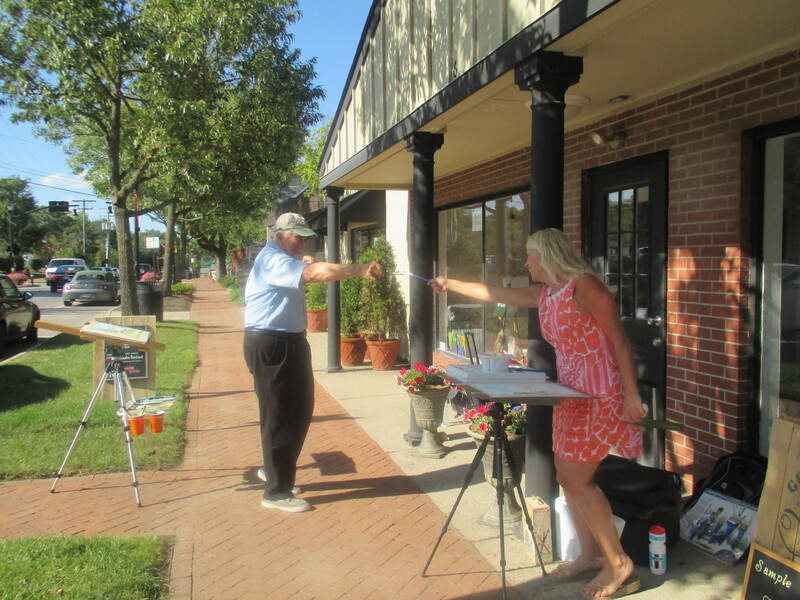 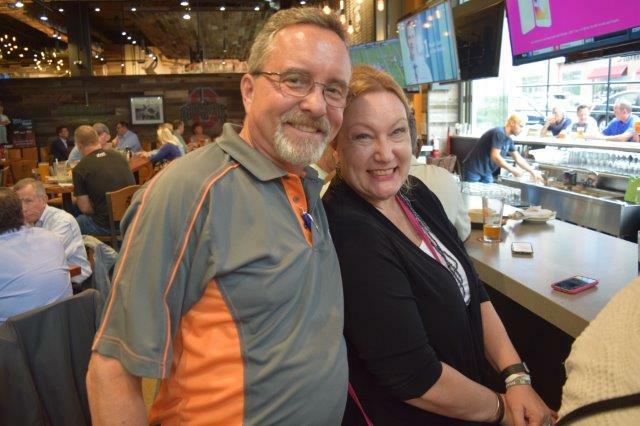 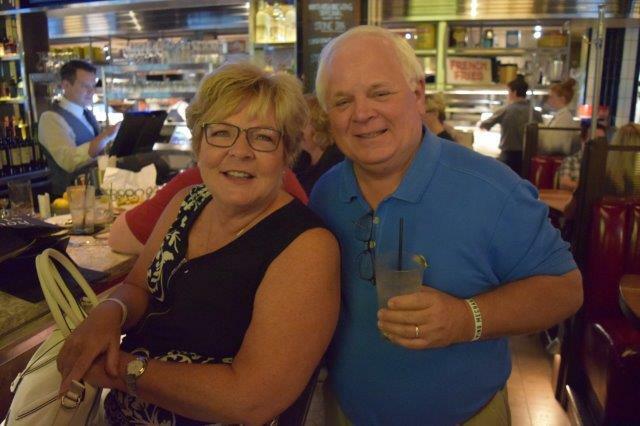 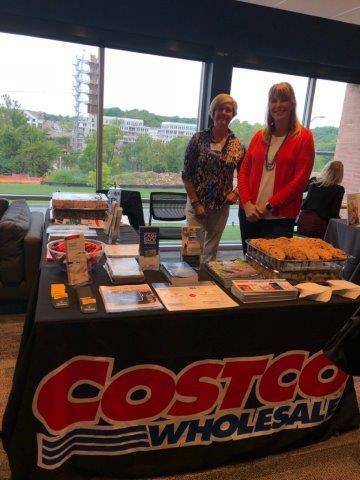 The event raised $2,500 for The Dave Thomas Foundation for Adoption, and everyone had a great time checking out all the new establishments in Bridge Park. 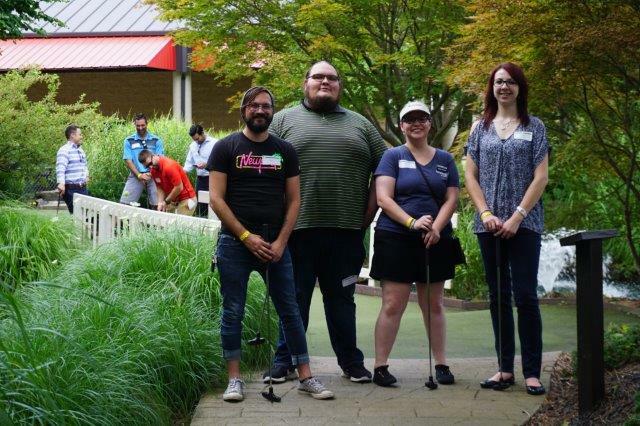 A Hole in One Event! 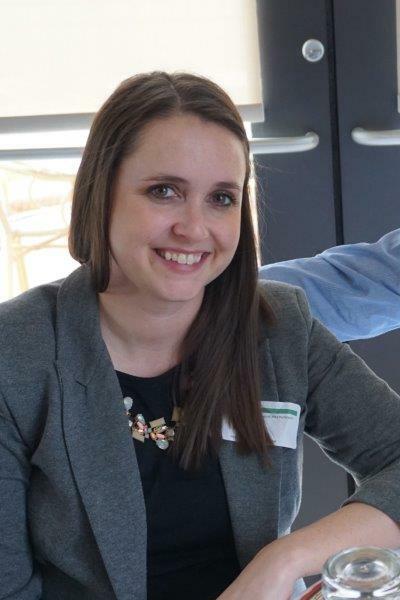 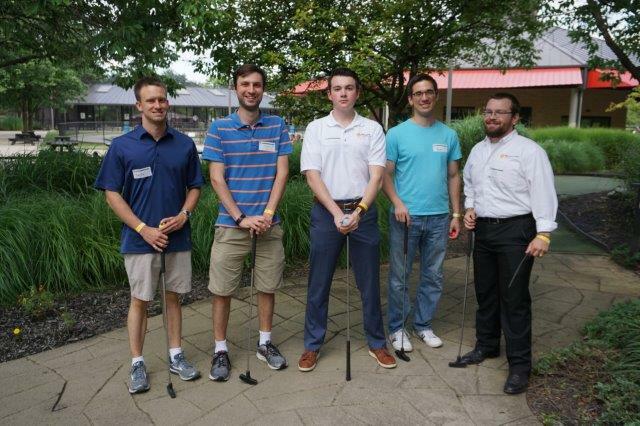 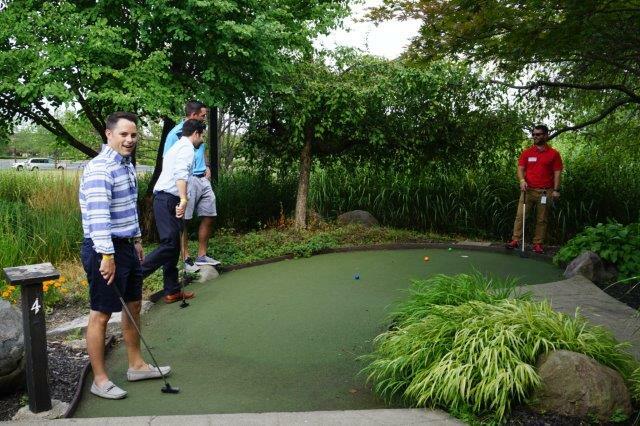 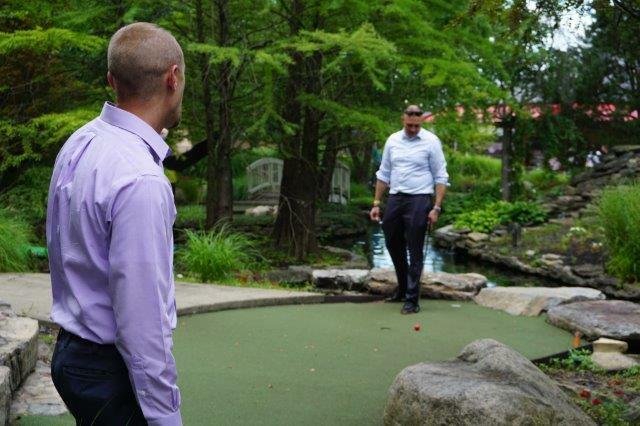 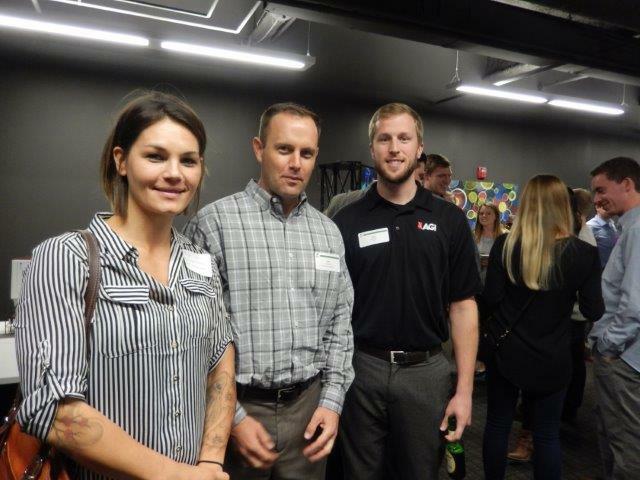 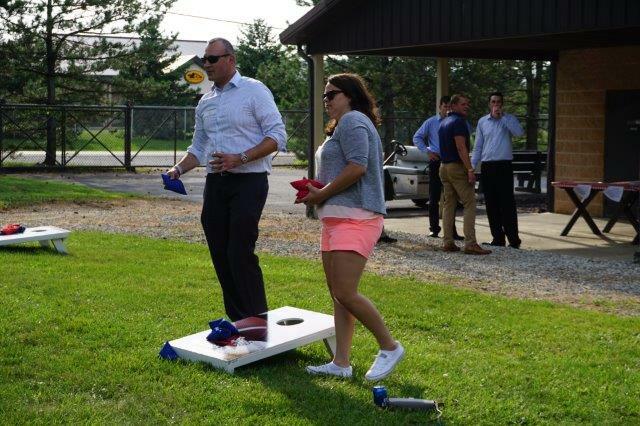 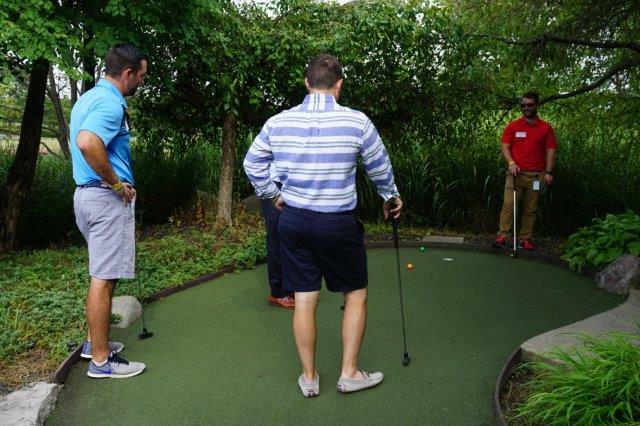 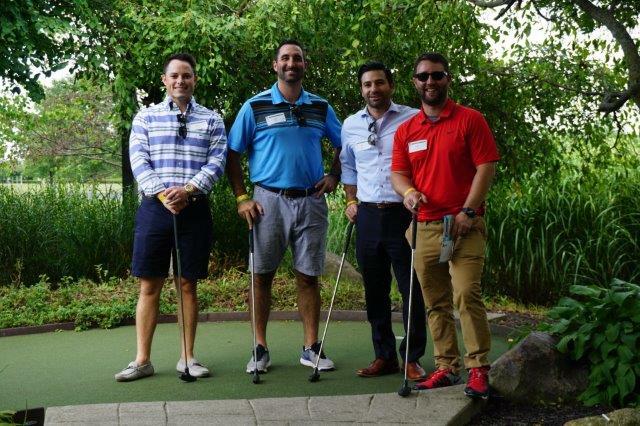 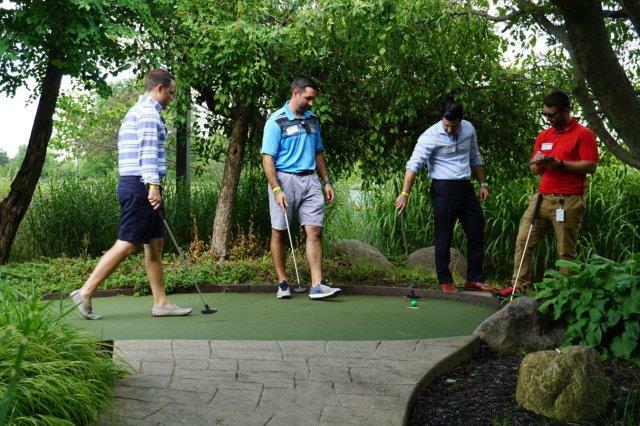 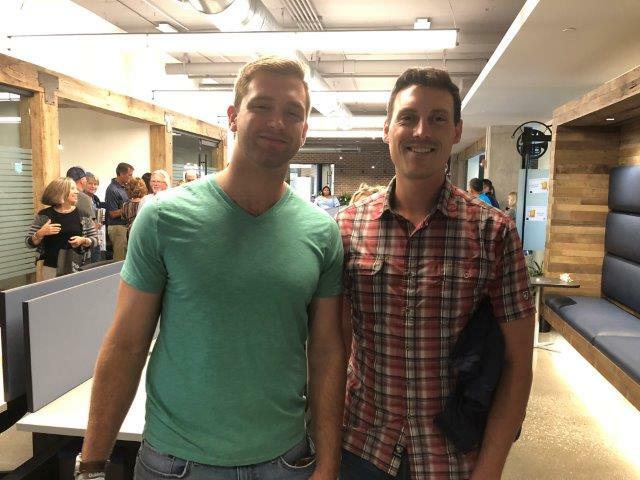 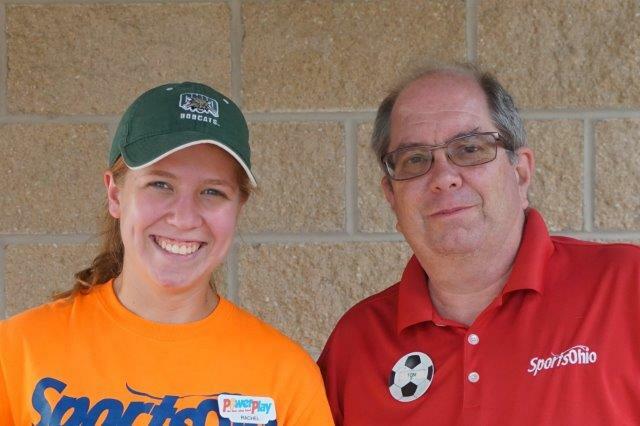 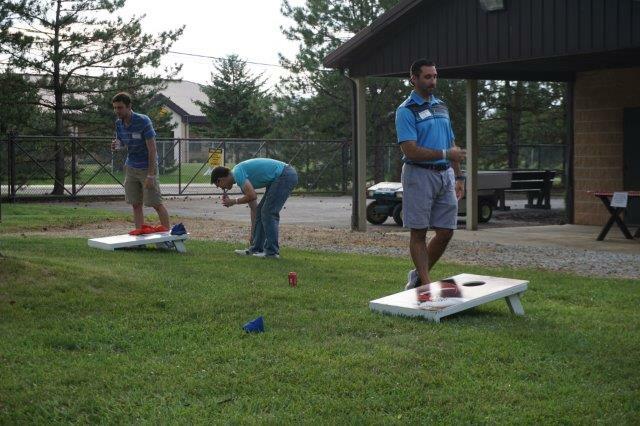 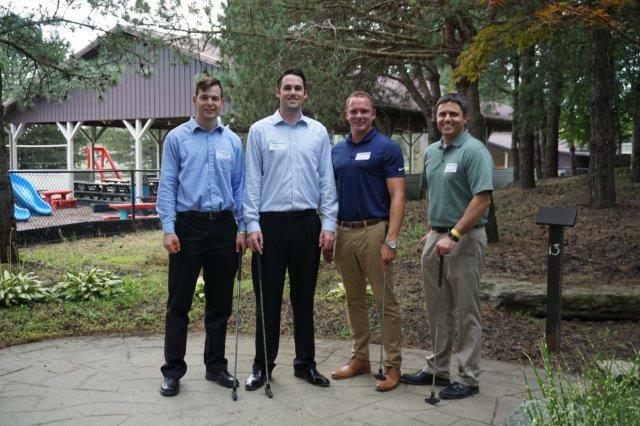 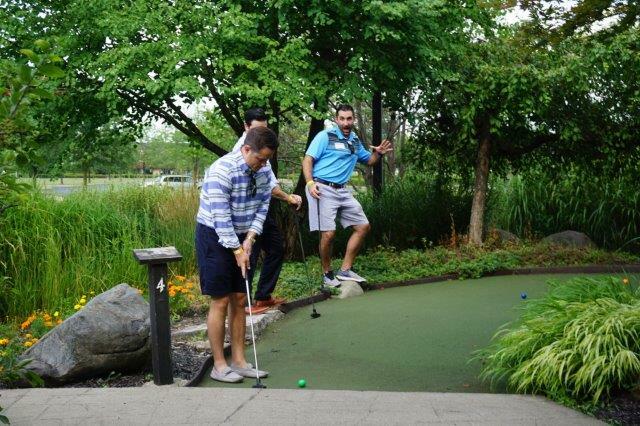 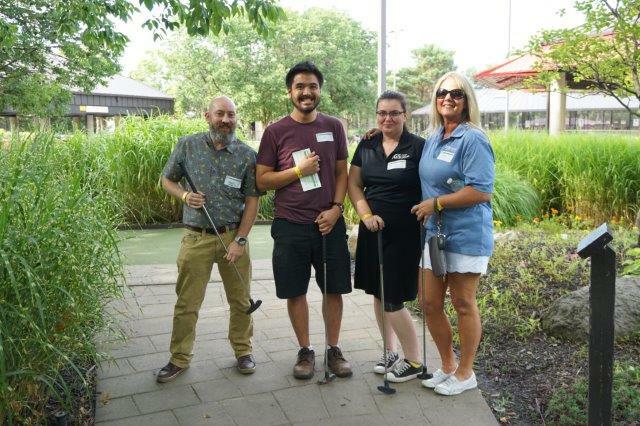 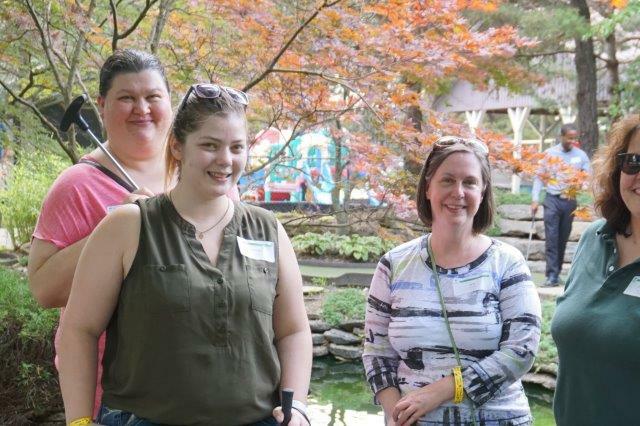 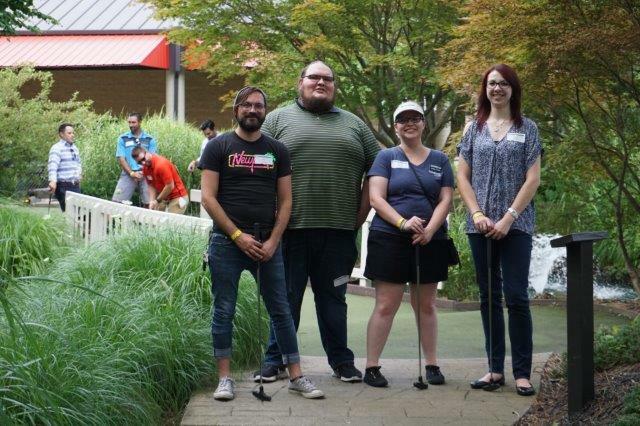 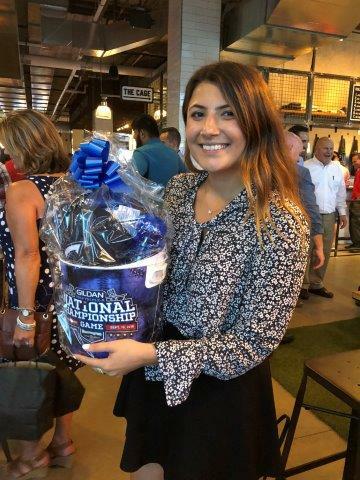 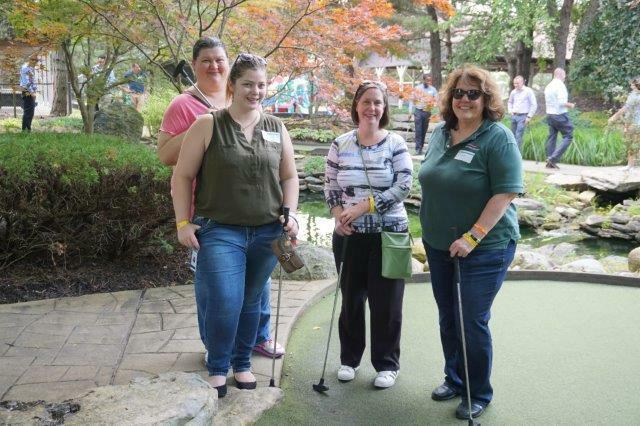 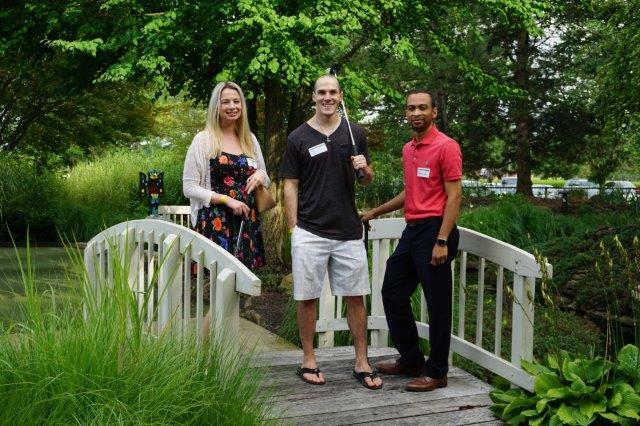 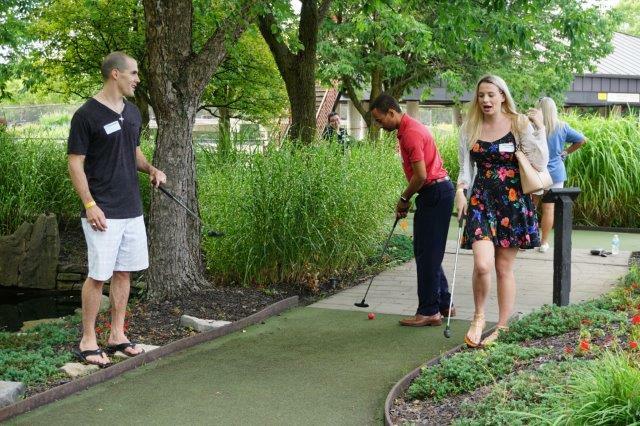 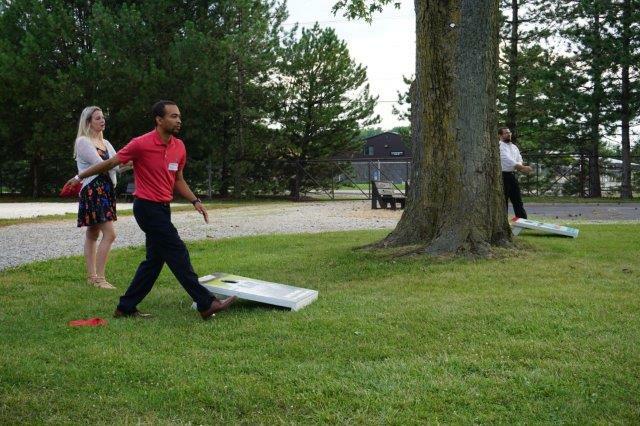 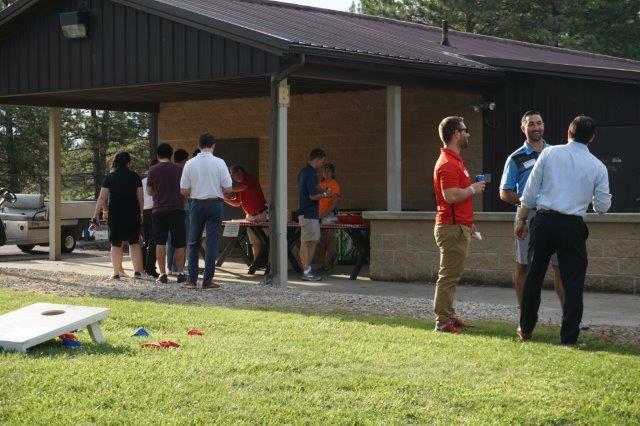 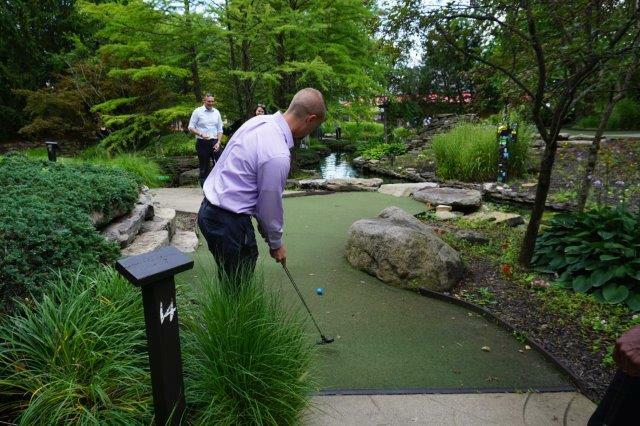 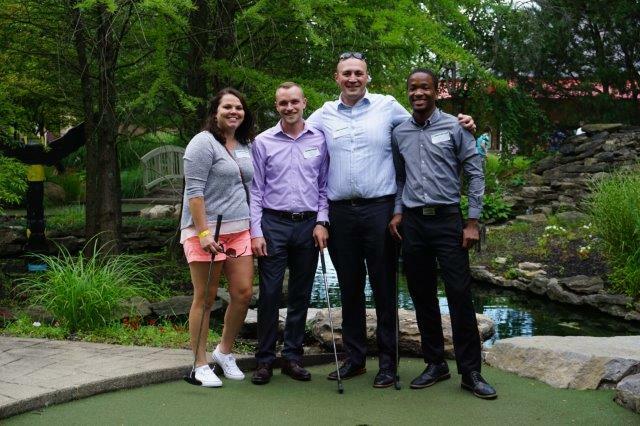 The NextGen Dublin Miniature Golf Mixer on Thursday, July 26 hosted area young professionals at the SportsOhio PowerPlay Area for miniature golf, networking, door prizes, food and fun. 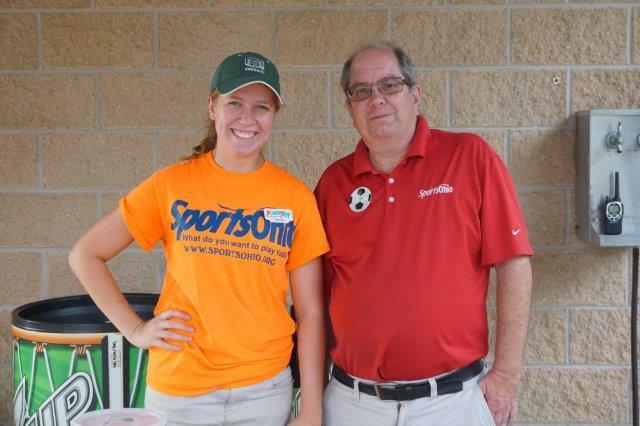 Thank you to our host, SportsOhio, for making this event possible! 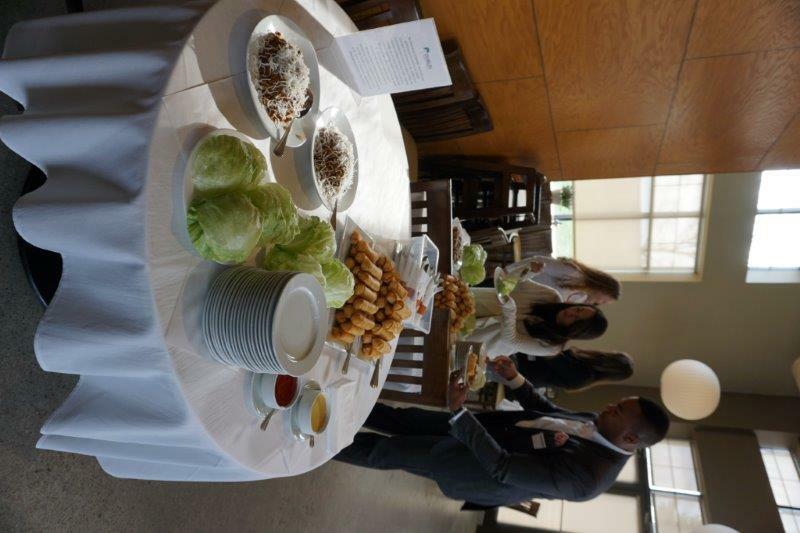 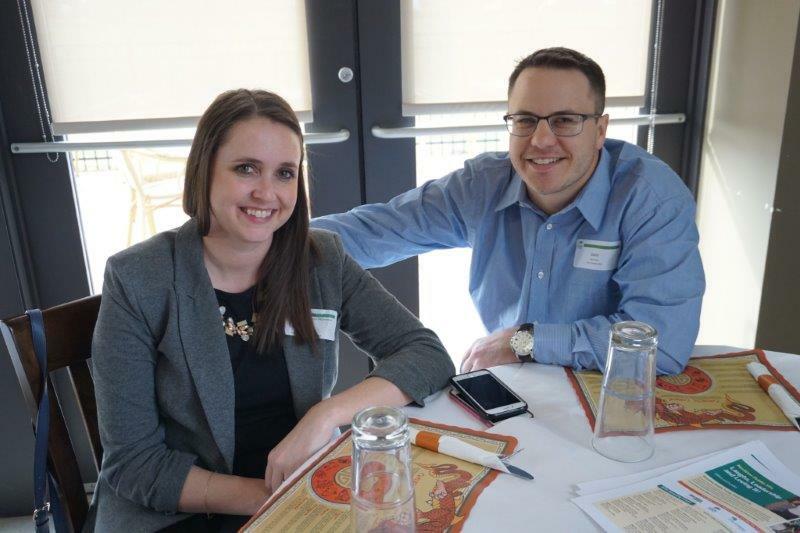 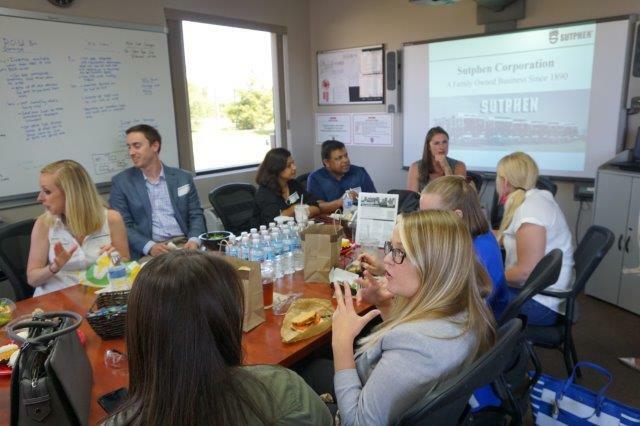 Young professionals met to network over lunch at Sutphen. 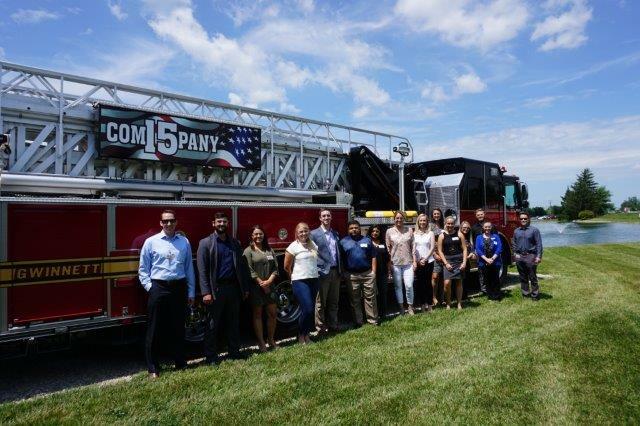 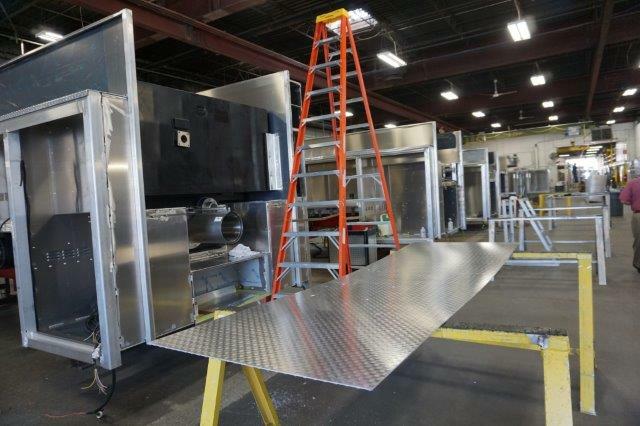 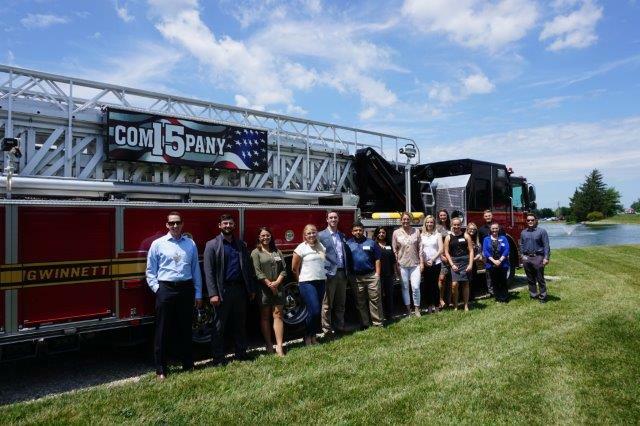 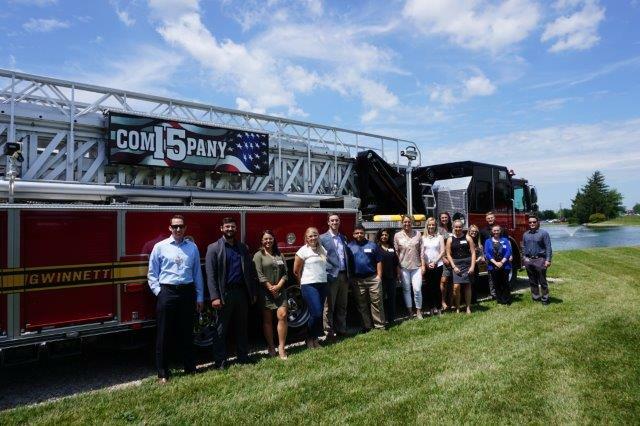 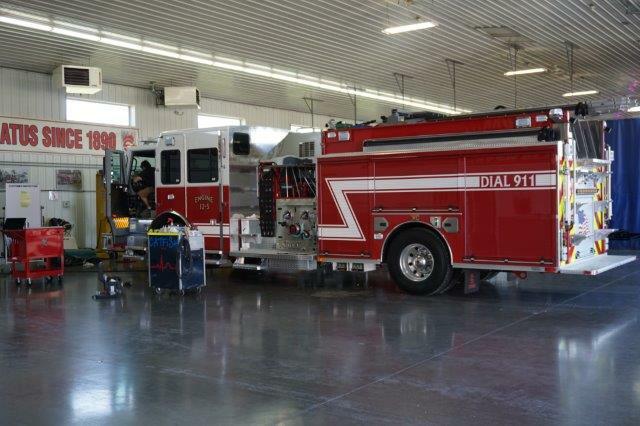 This July 26 event allowed attendees to tour this unique facility that manufacturers fire engines for distribution throughout the world. 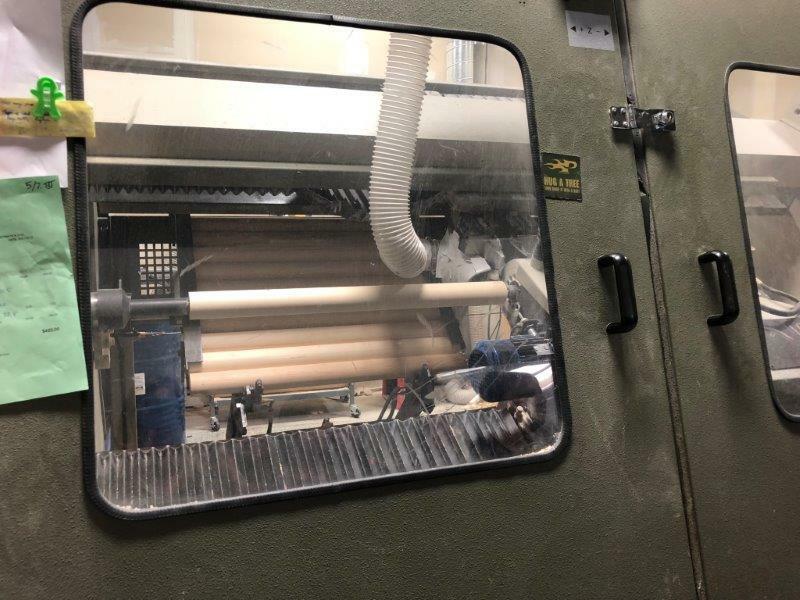 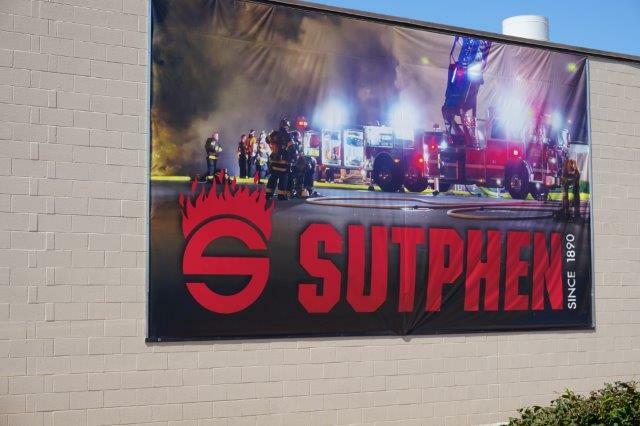 Thank you to Sutphen for offering this special, behind-the-scenes tour and a unique experience for all. 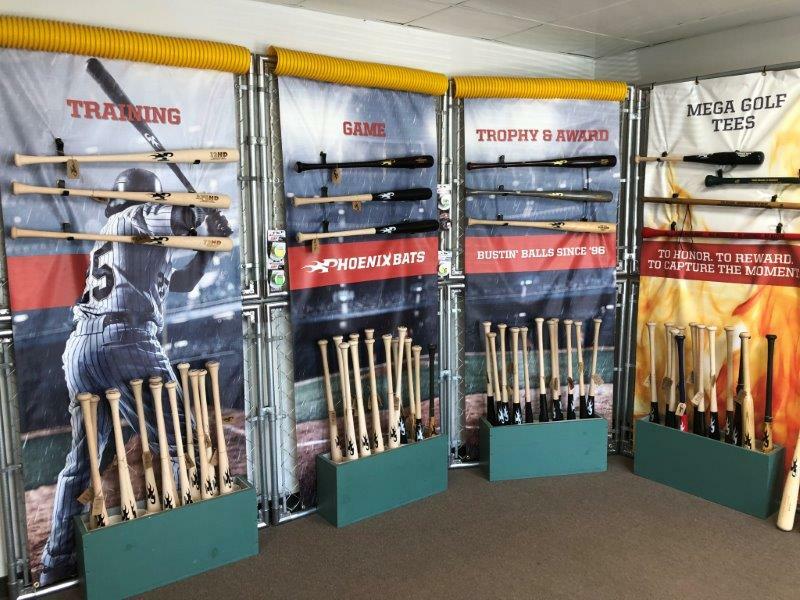 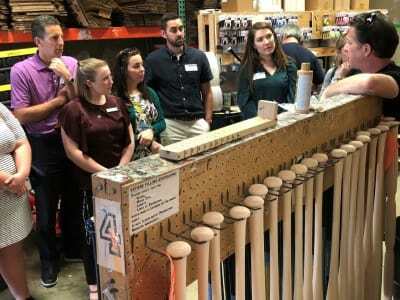 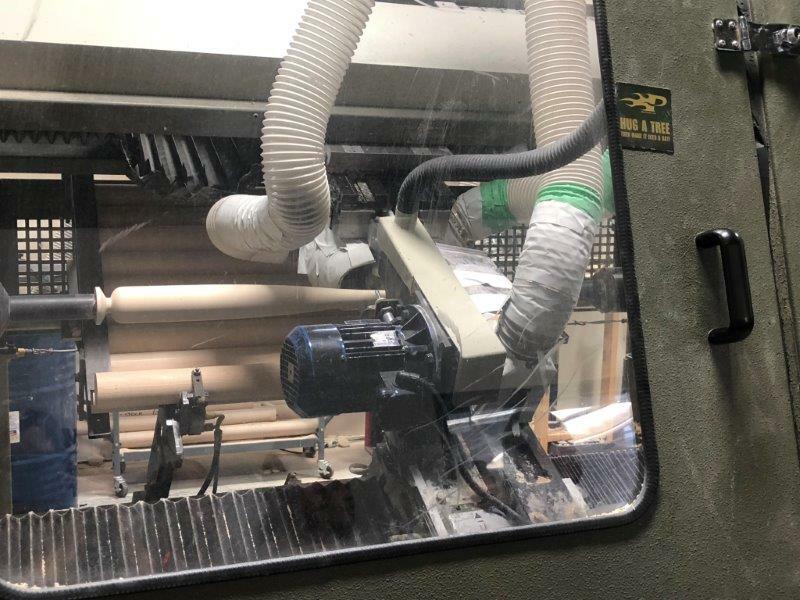 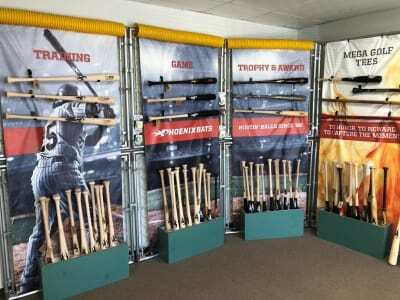 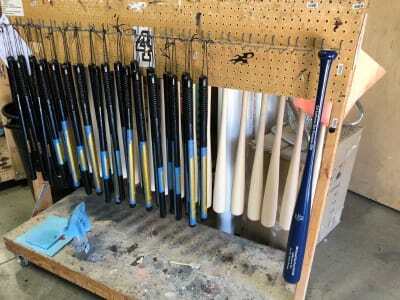 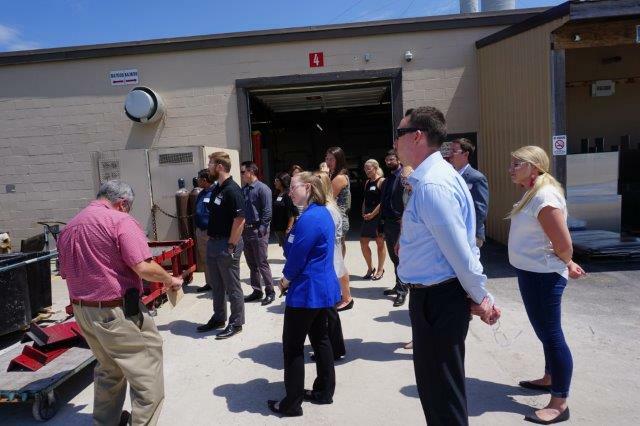 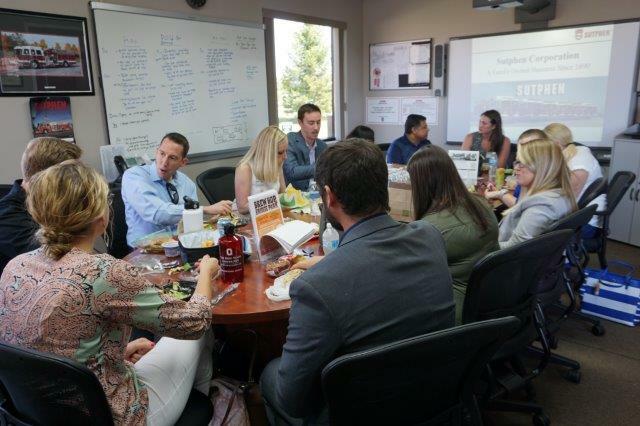 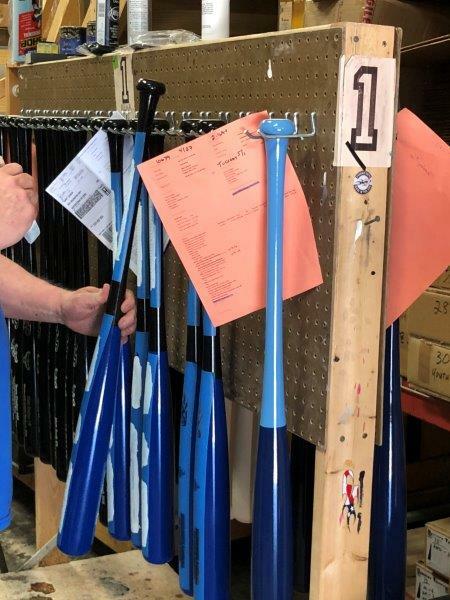 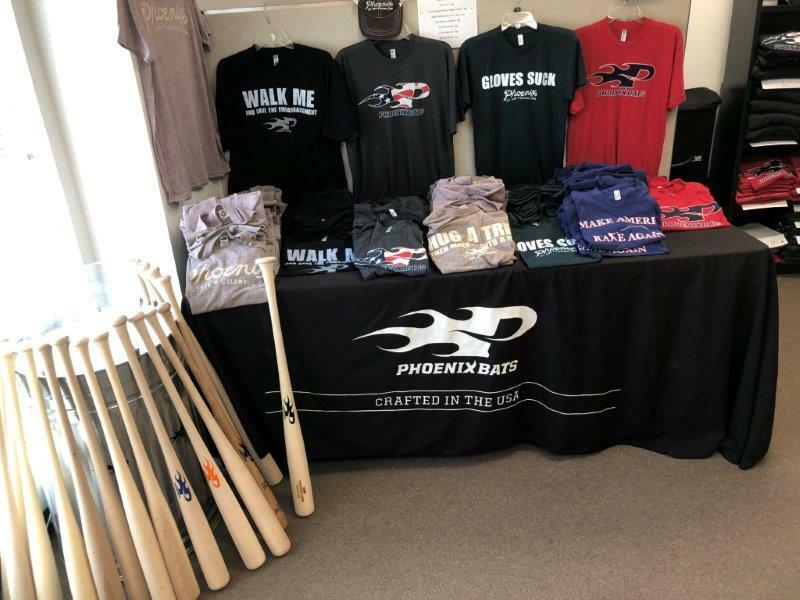 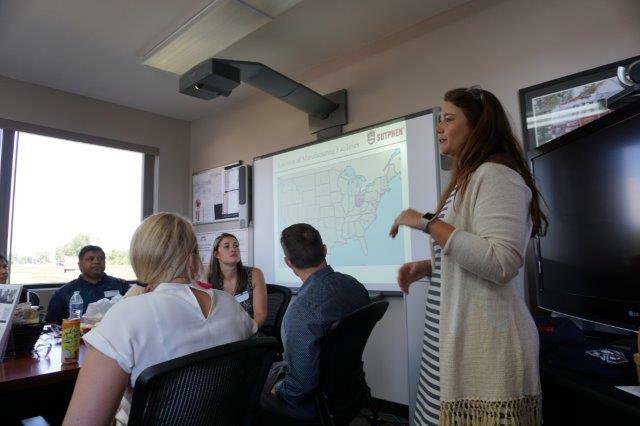 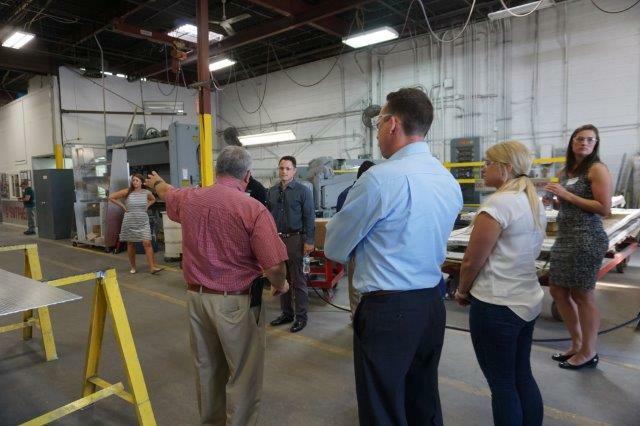 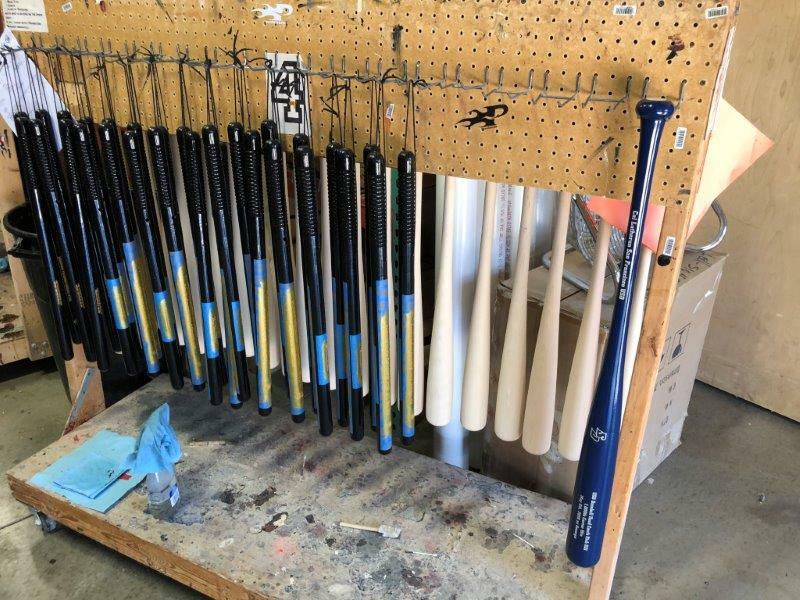 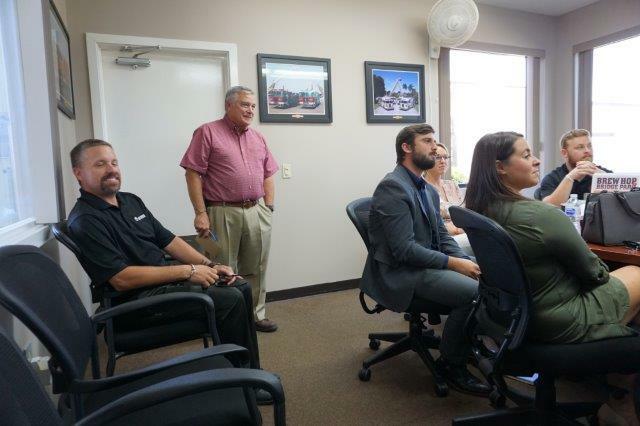 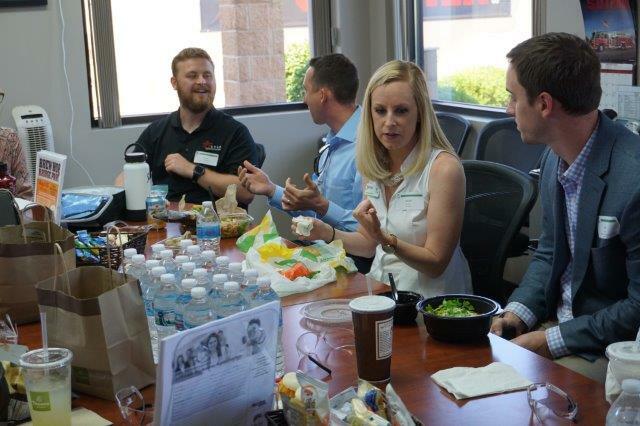 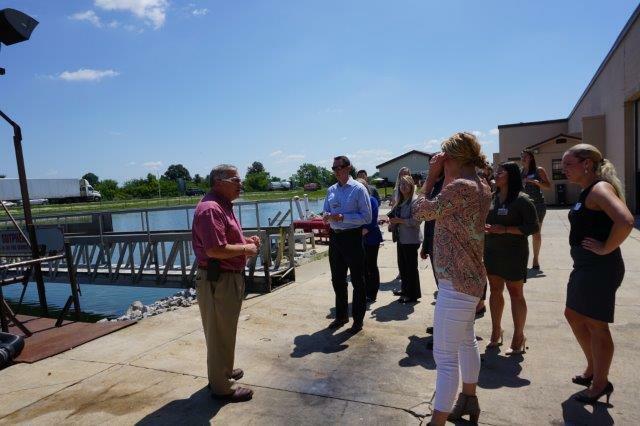 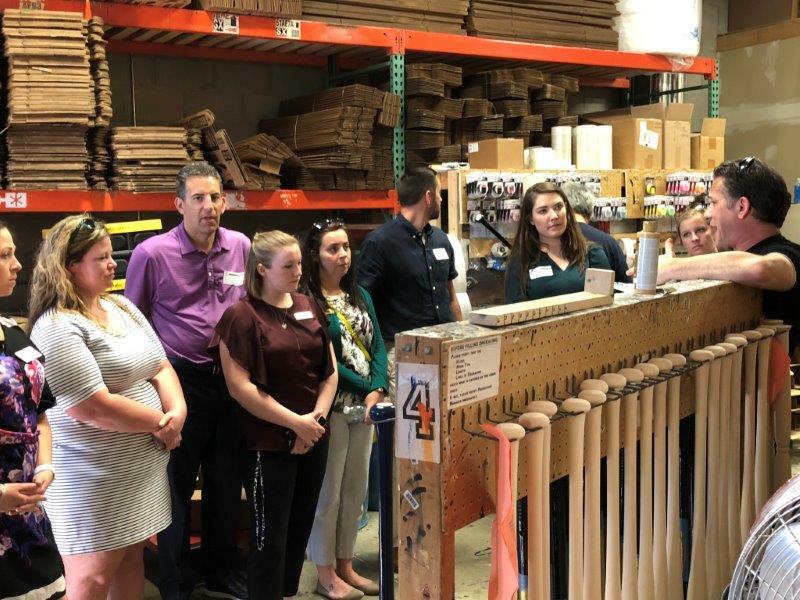 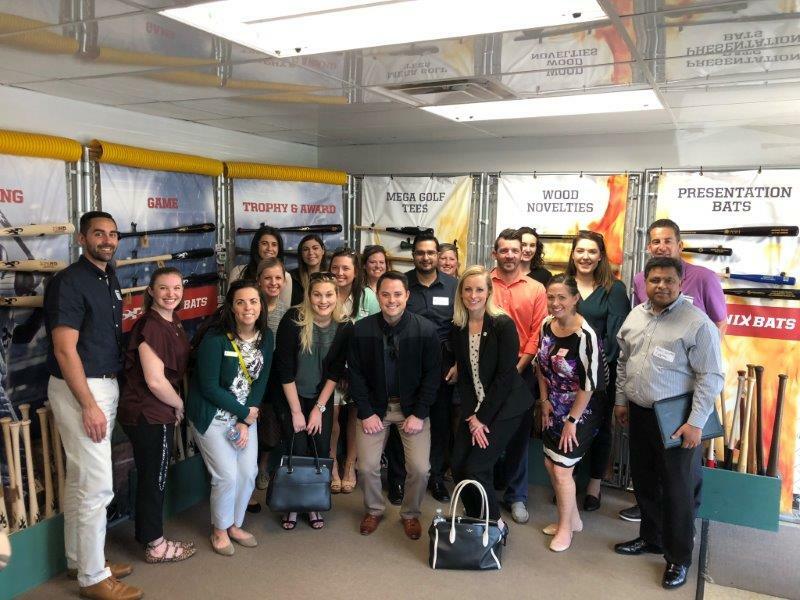 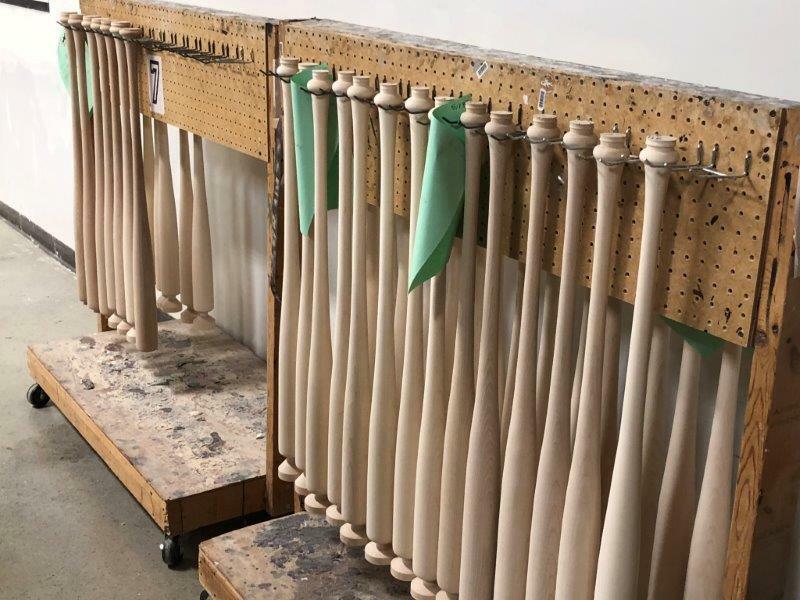 Phoenix Bats, 7801 Corporate Blvd in Plain City, offered area young professionals a behind-the-scenes tour of its unique facility during this YP Lunch Bunch event. 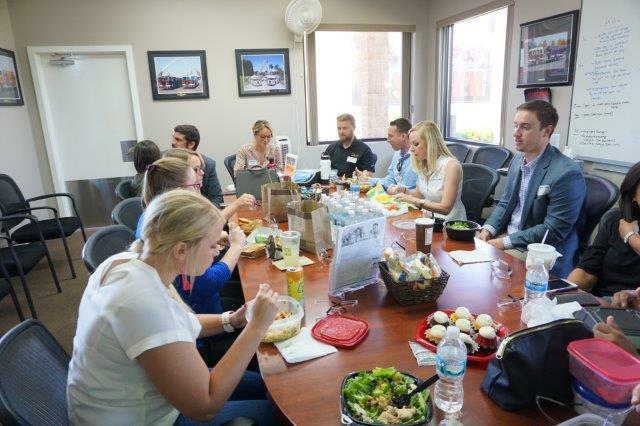 Thank you to our host for an opportunity to get out of the office over lunch for some business networking. 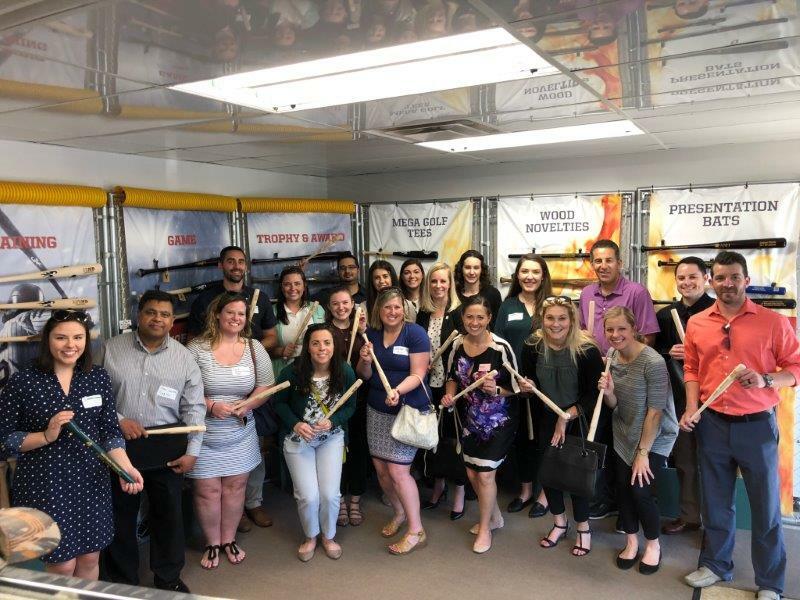 Congratulations Leadership Academy 2018 Graduates! 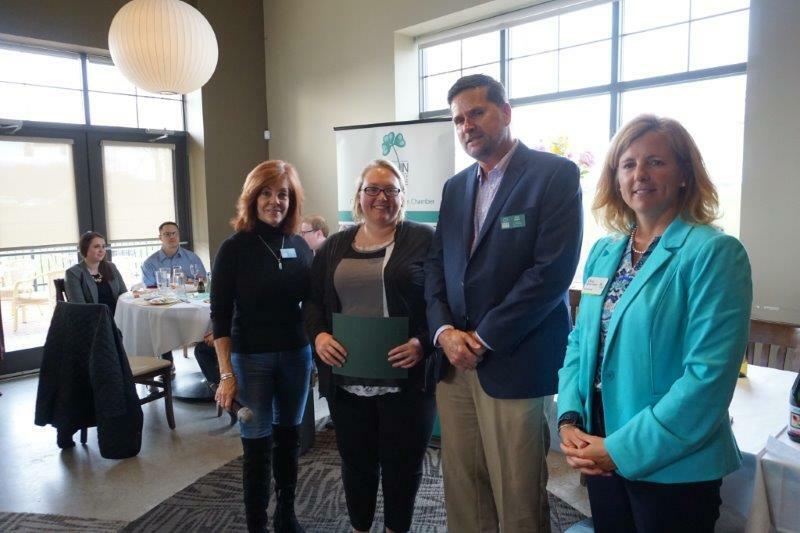 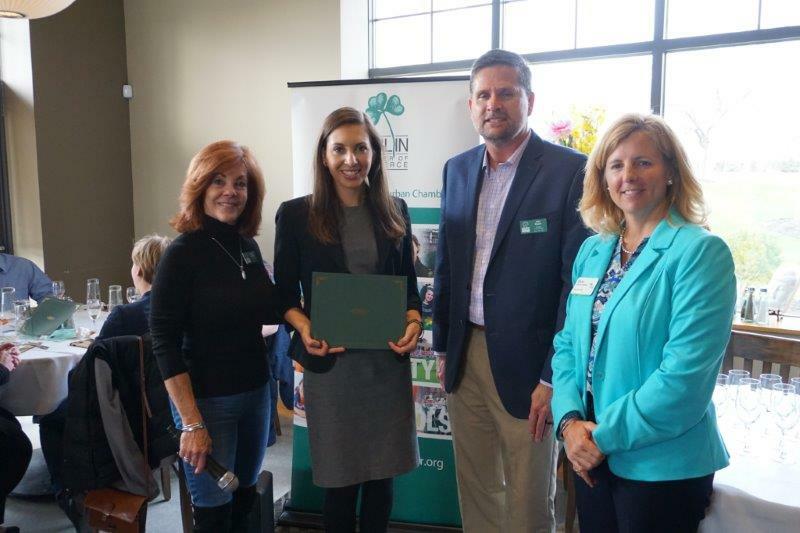 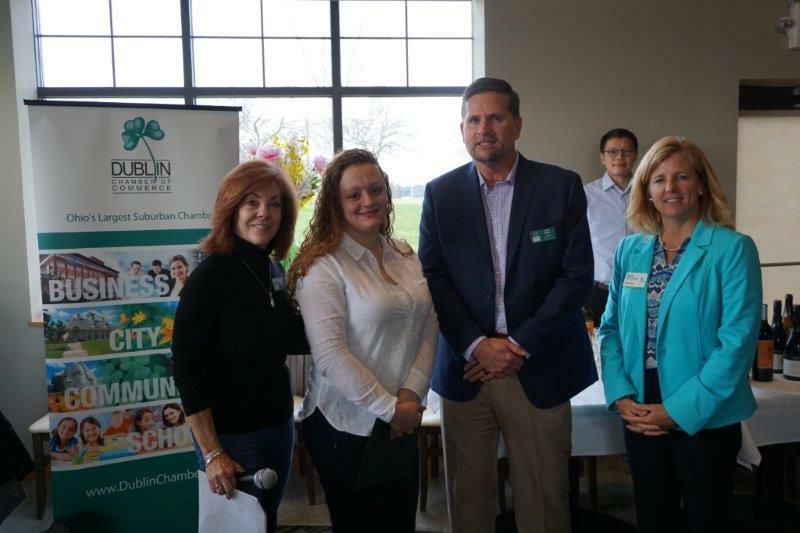 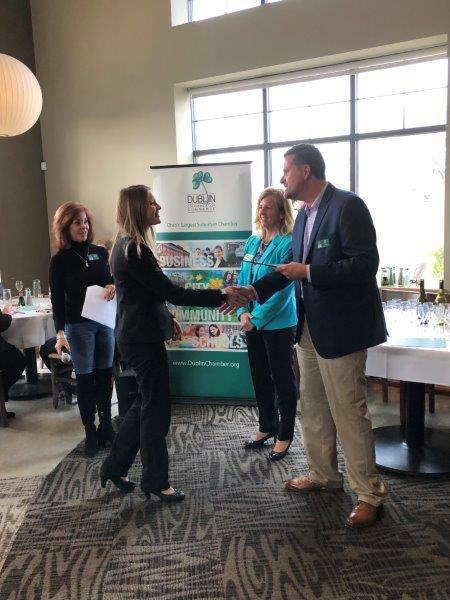 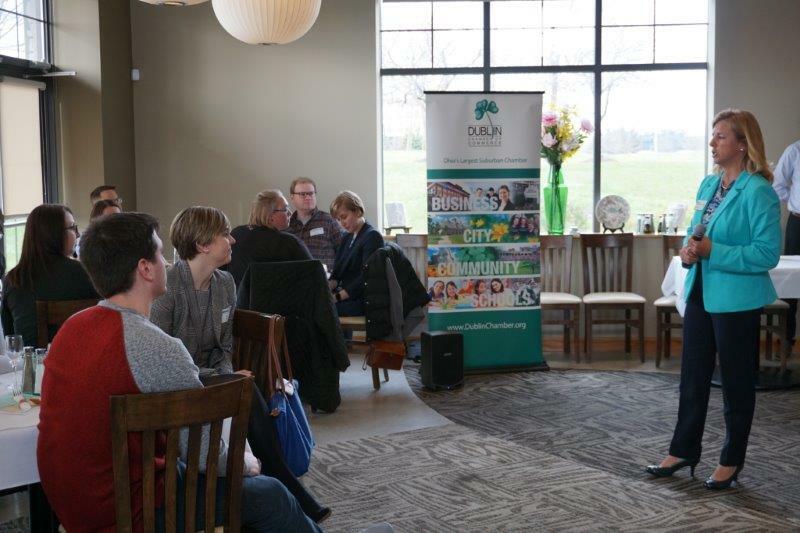 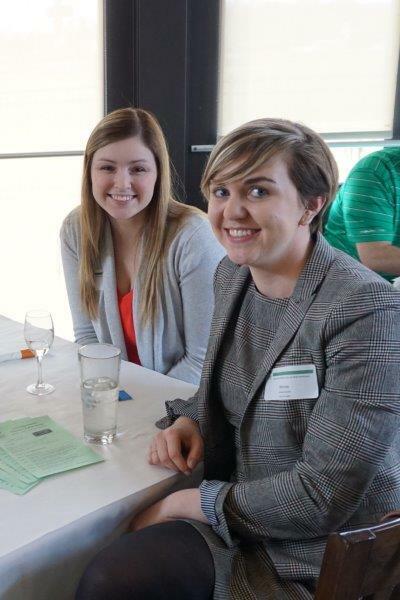 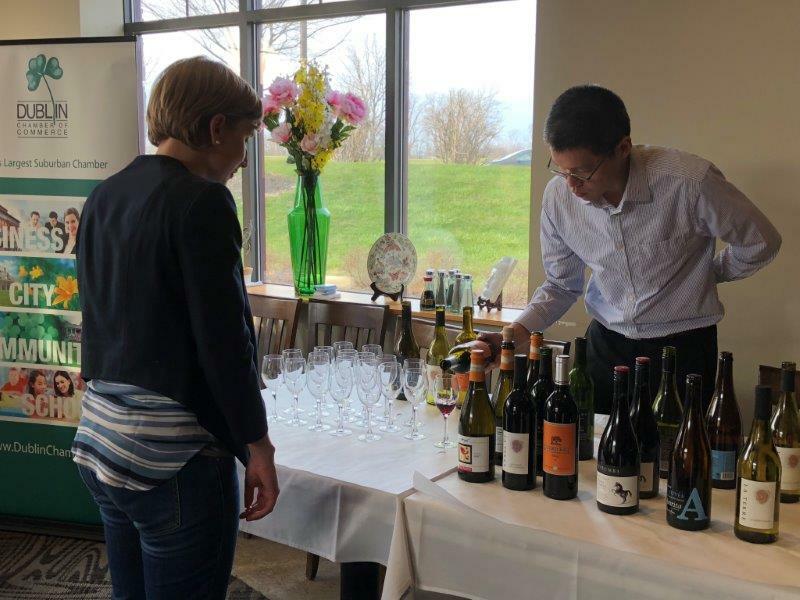 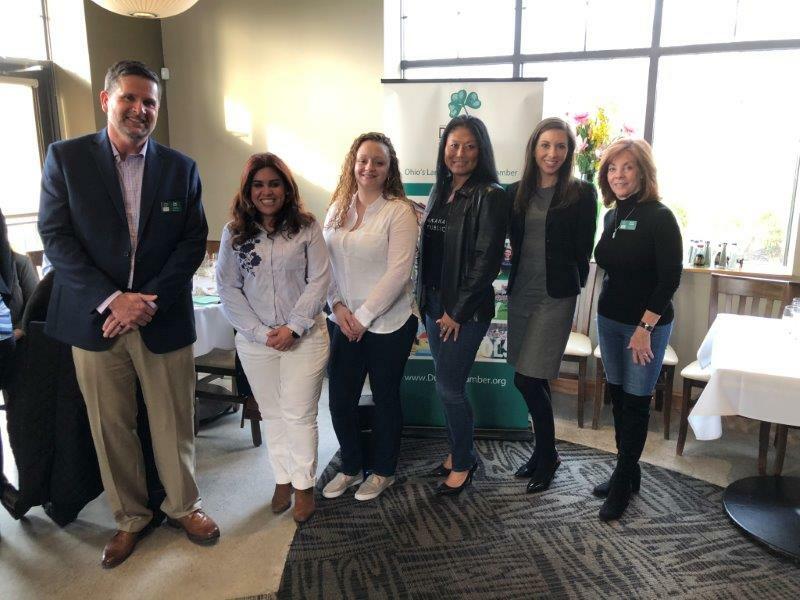 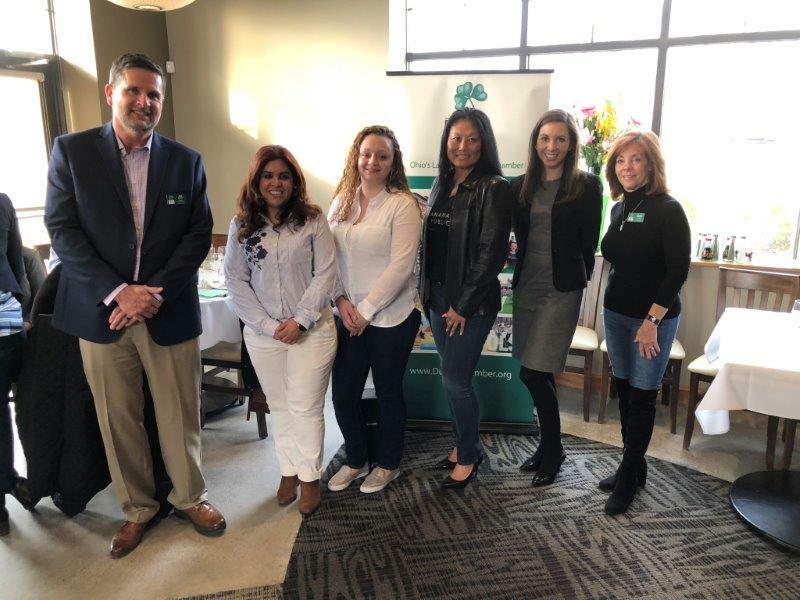 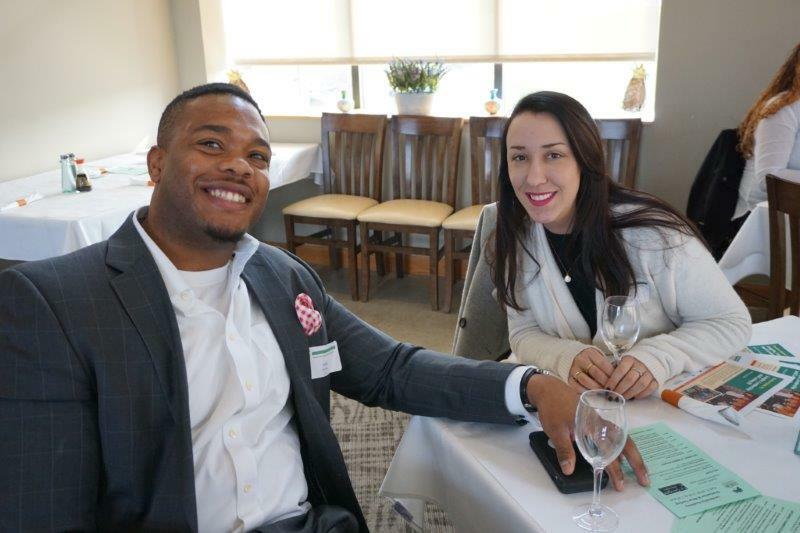 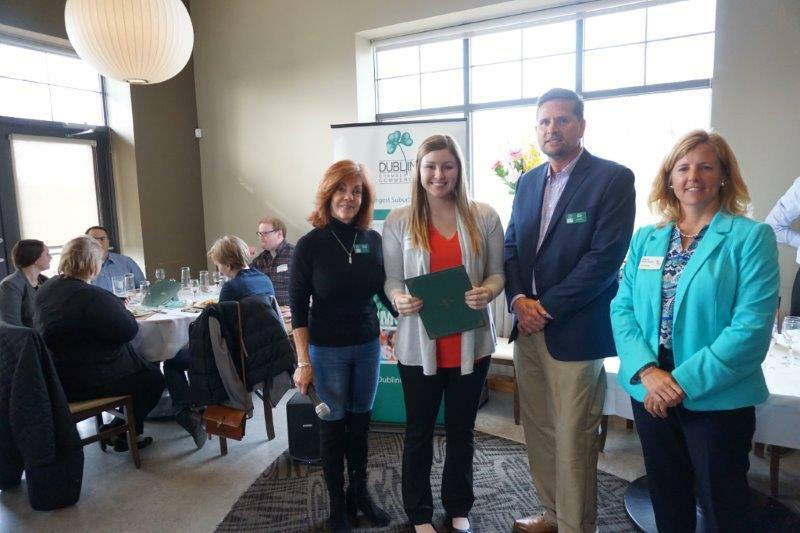 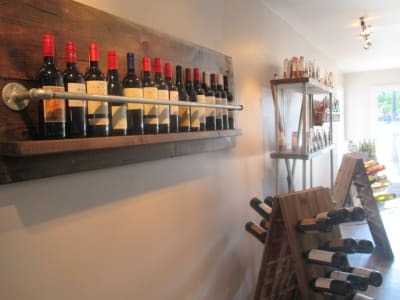 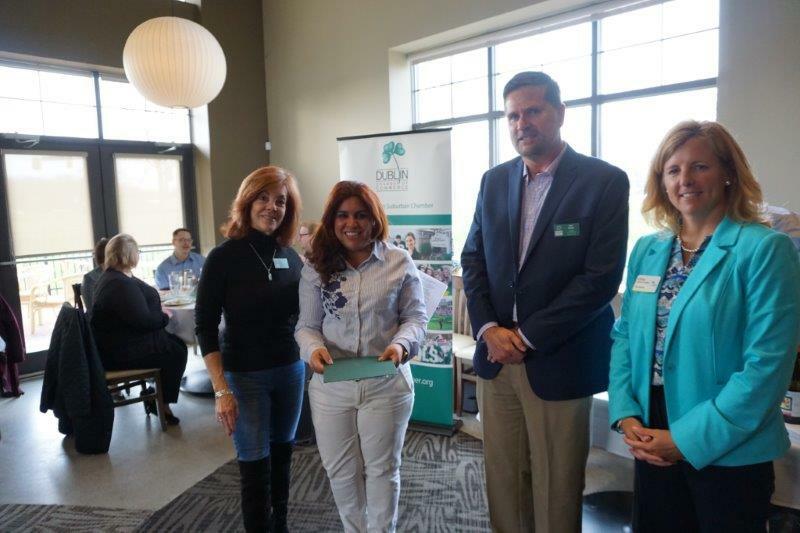 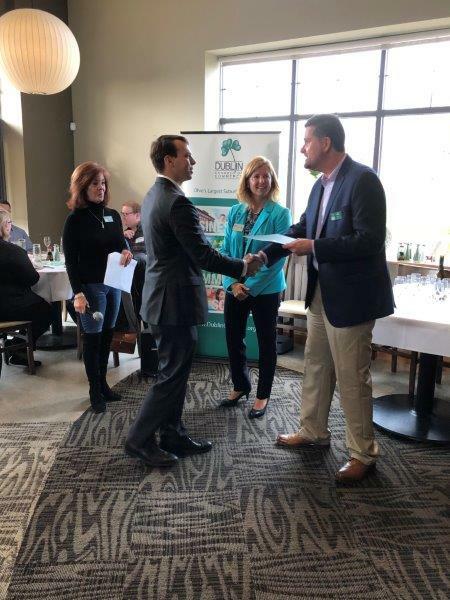 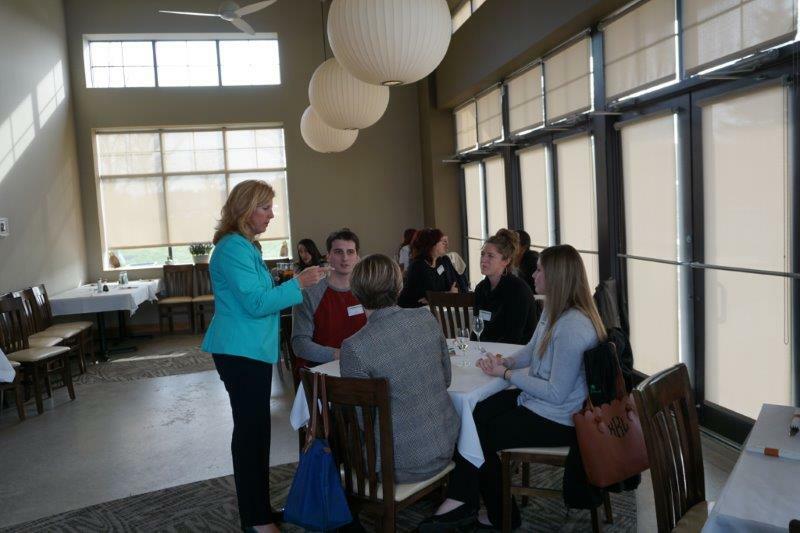 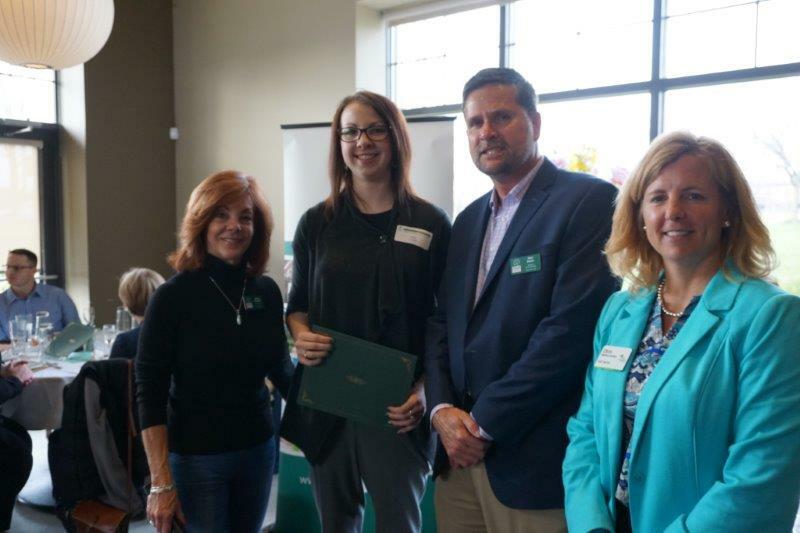 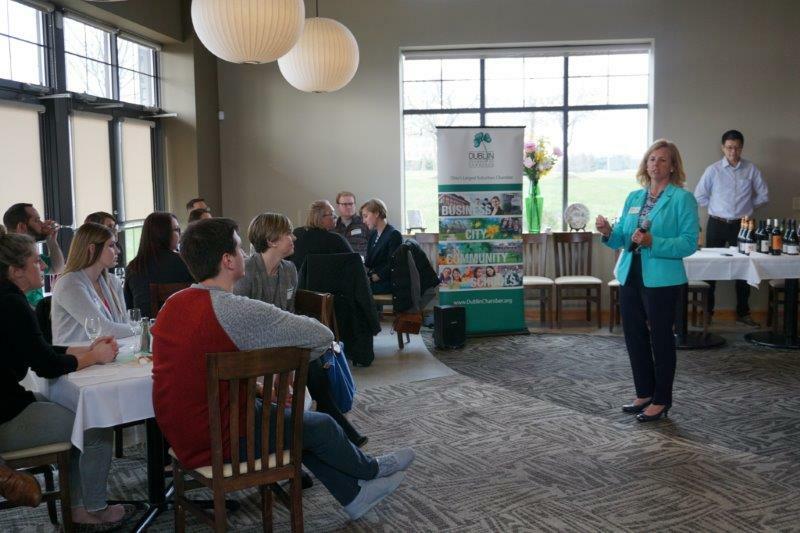 Graduates of The Leadership Academy Class of 2018 were celebrated on April 5 at a special recognition ceremony and wine tasting event at Ty Ginger Wine Bistro in Dublin. 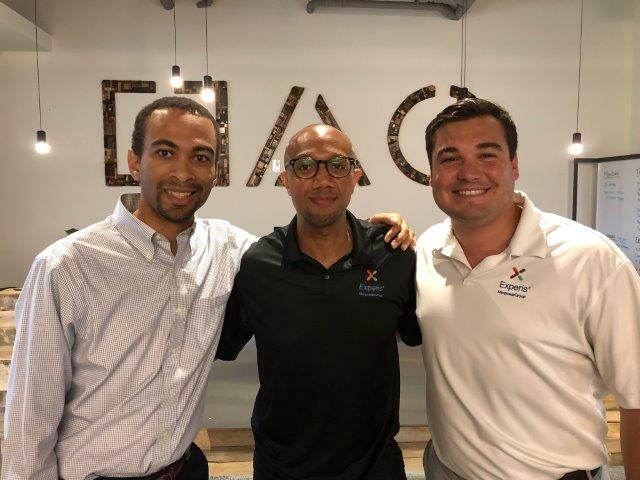 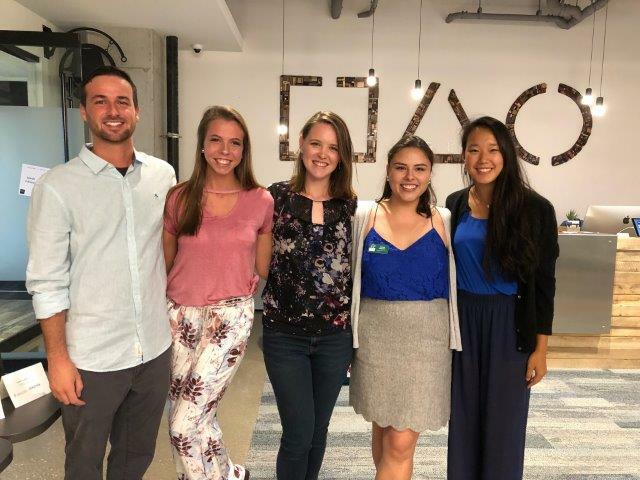 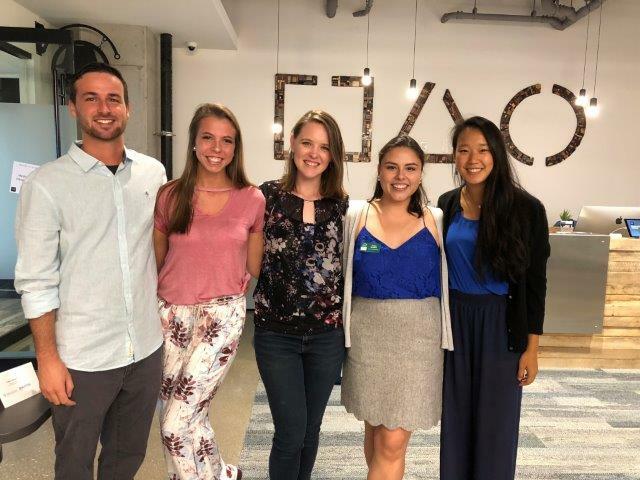 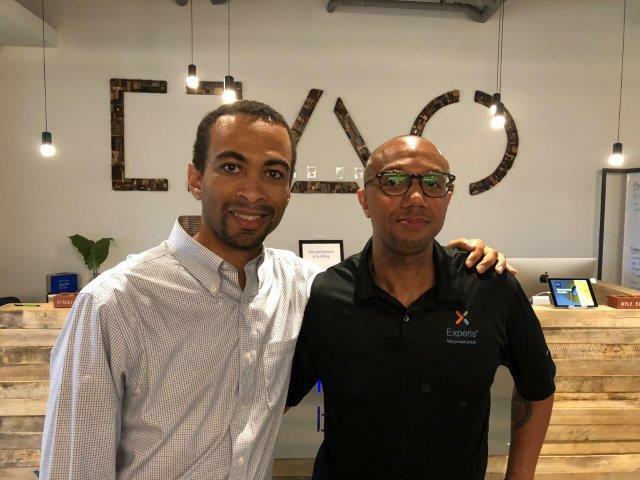 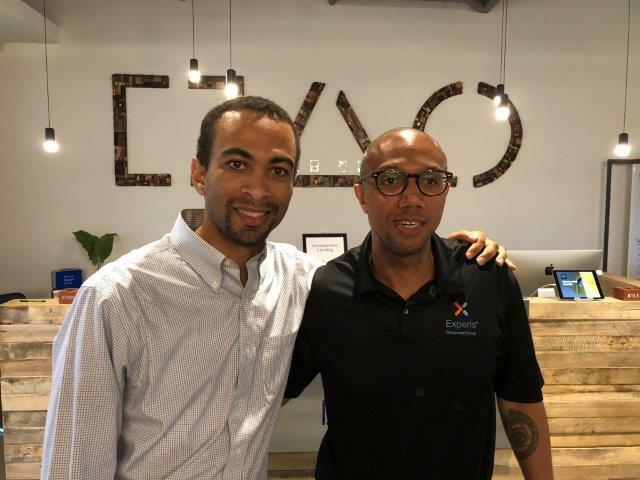 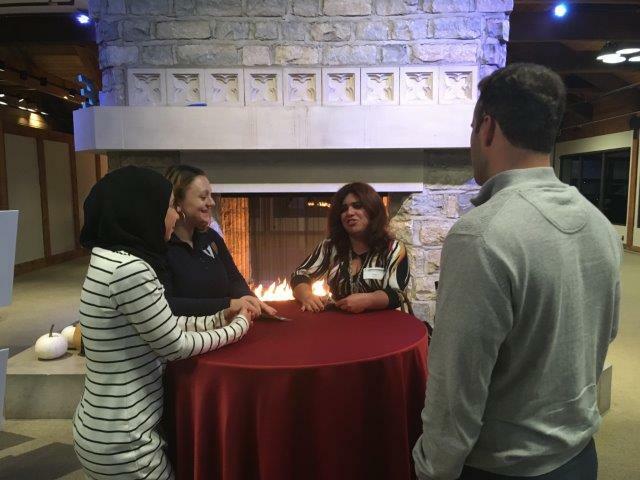 The Leadership Academy, a six-session young professionals’ leadership development program, works to empower young citizens to become active in their communities and leaders in their professional careers. 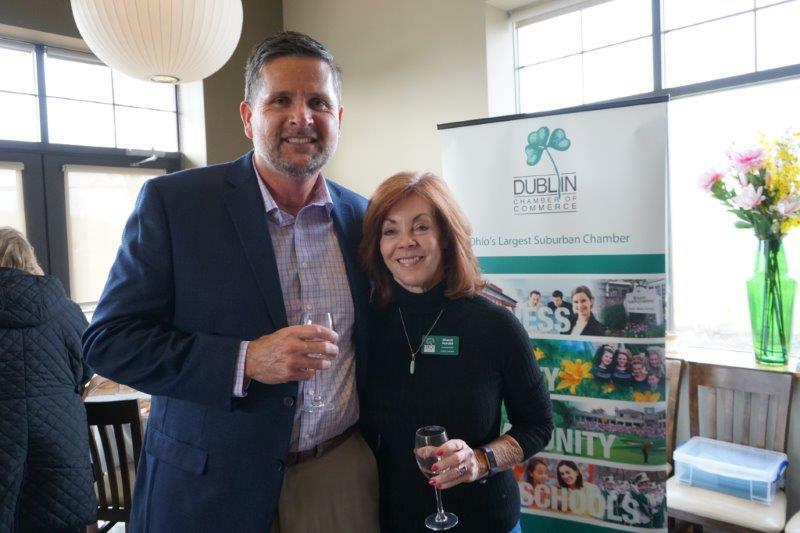 To find out more about this leadership program or to become part of the class of 2019, visit DublinChamber.org/leadershipacademy. 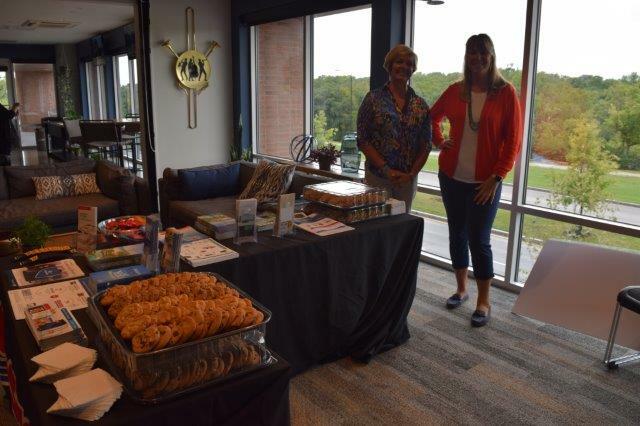 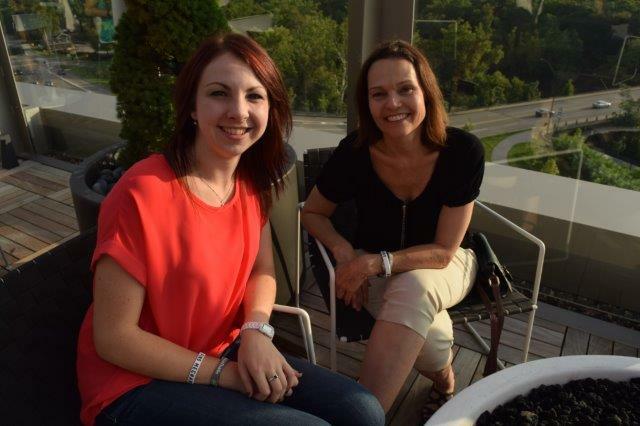 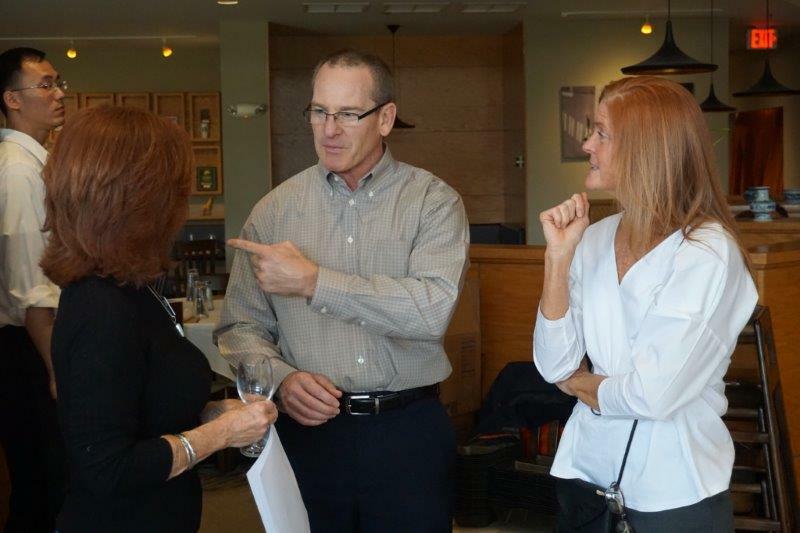 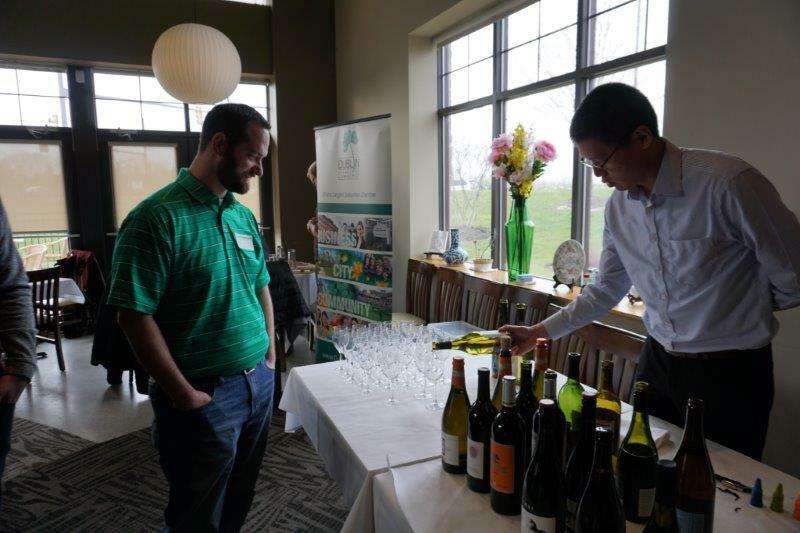 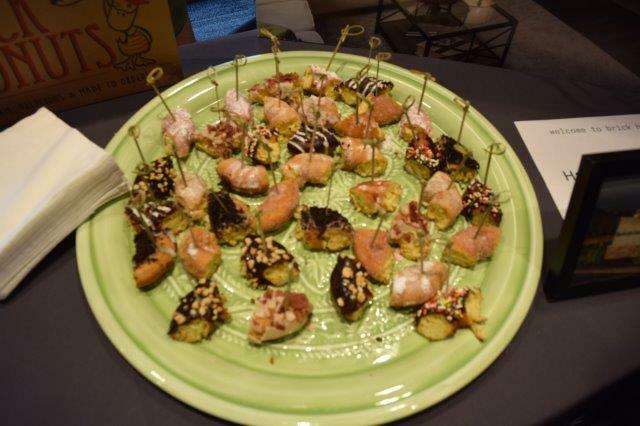 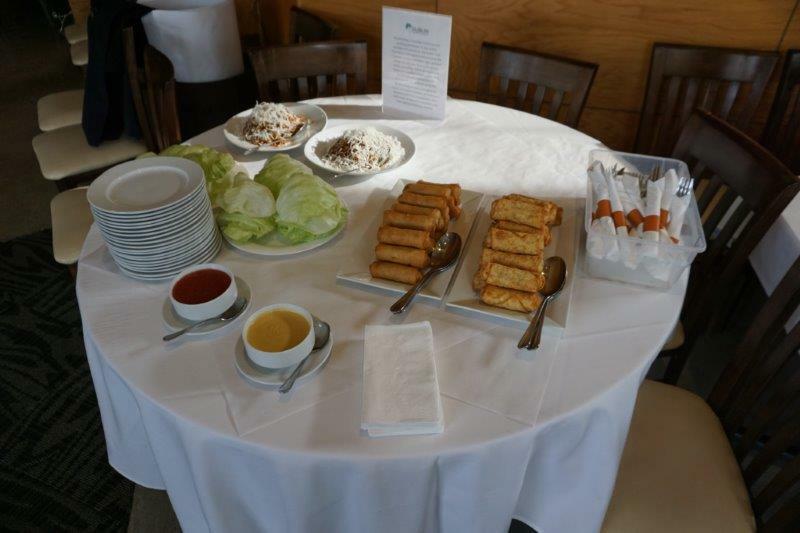 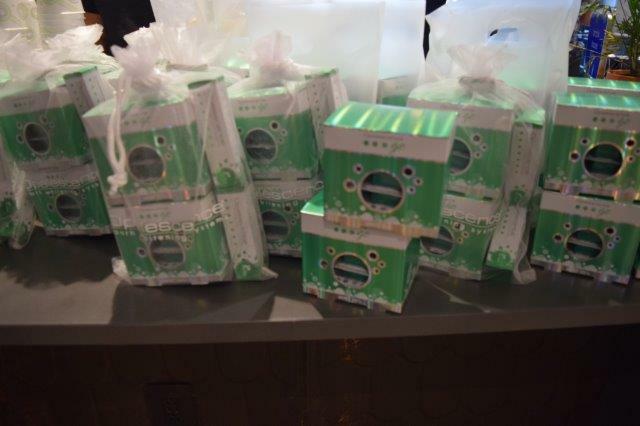 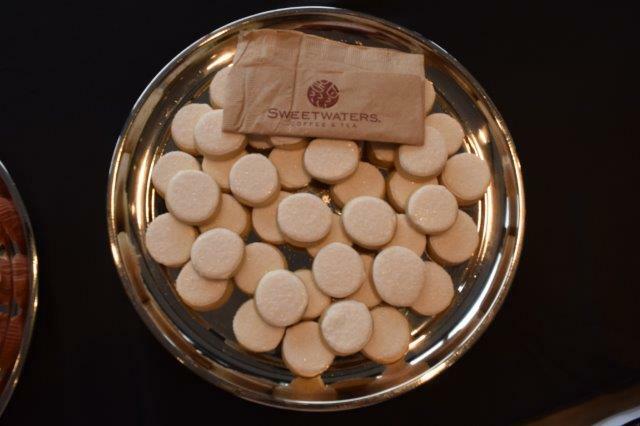 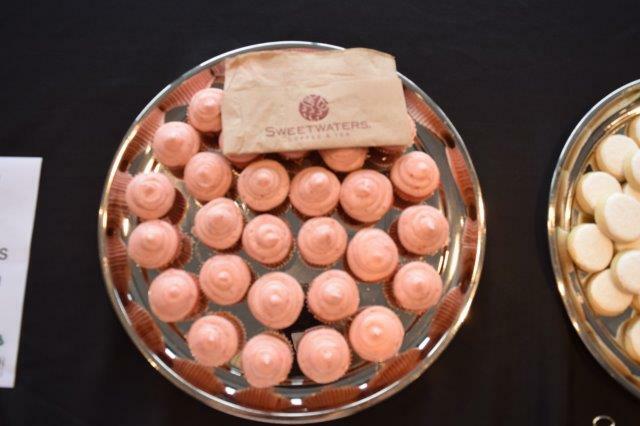 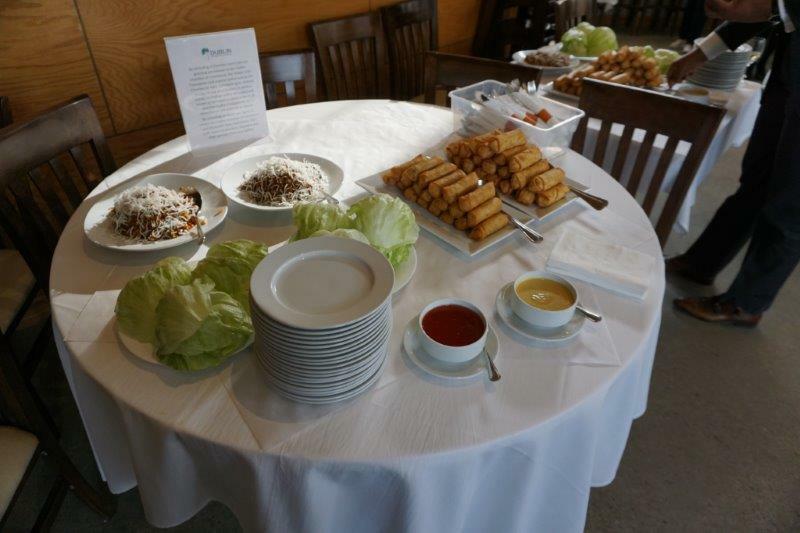 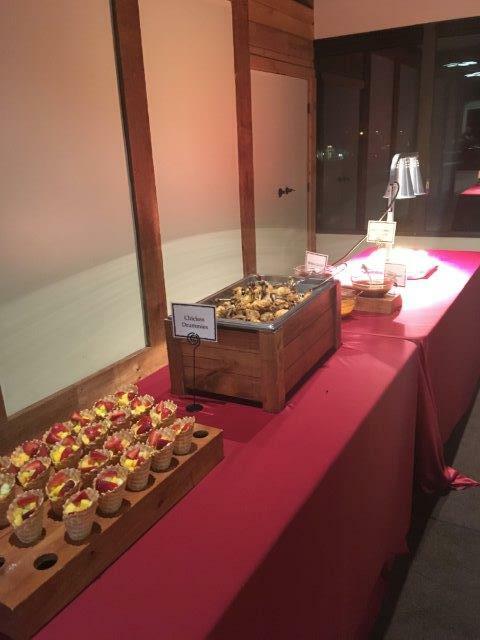 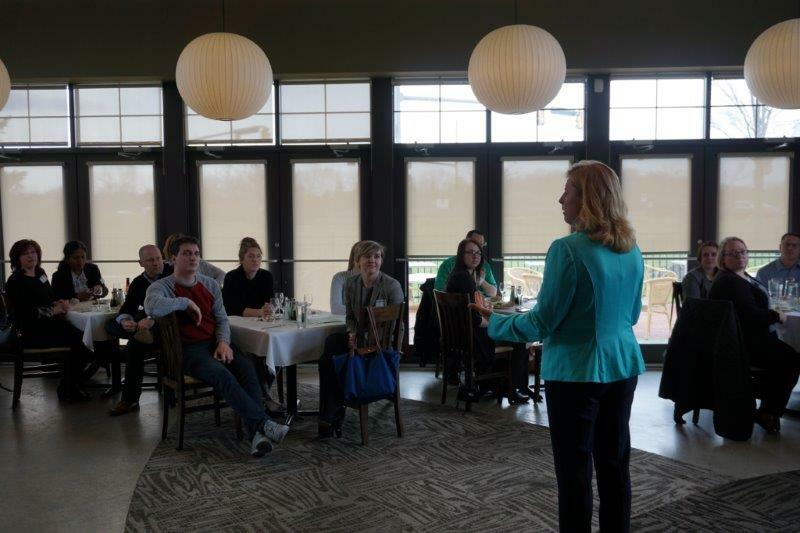 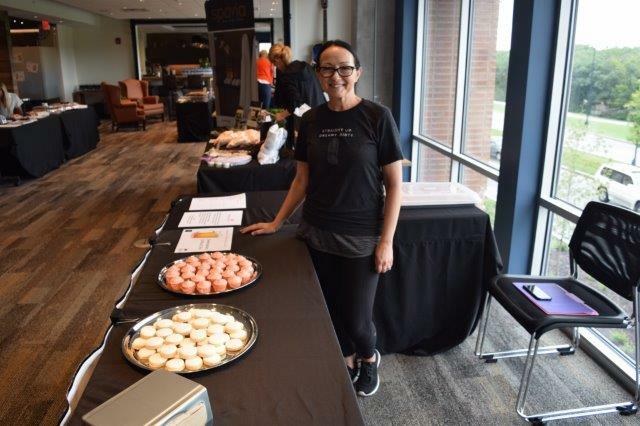 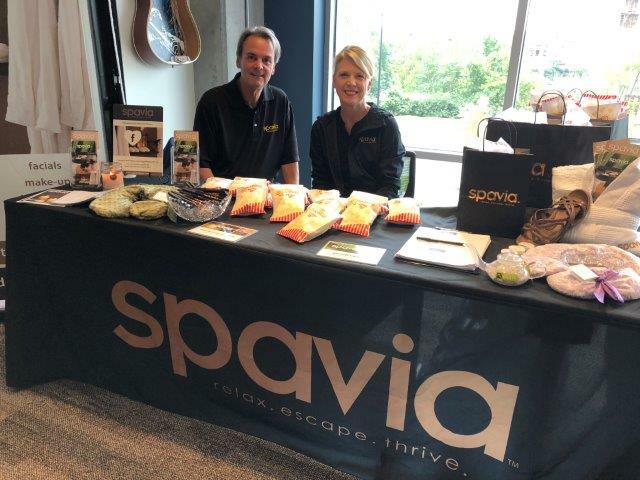 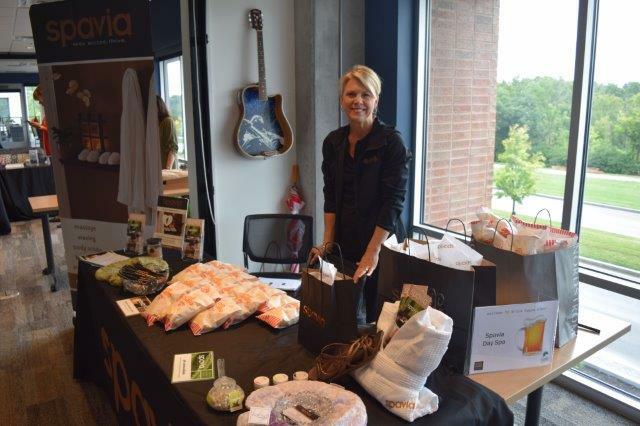 Attendees got the royal treatment at the Nov. 9 event at WatersEdge Event & Conference Center. 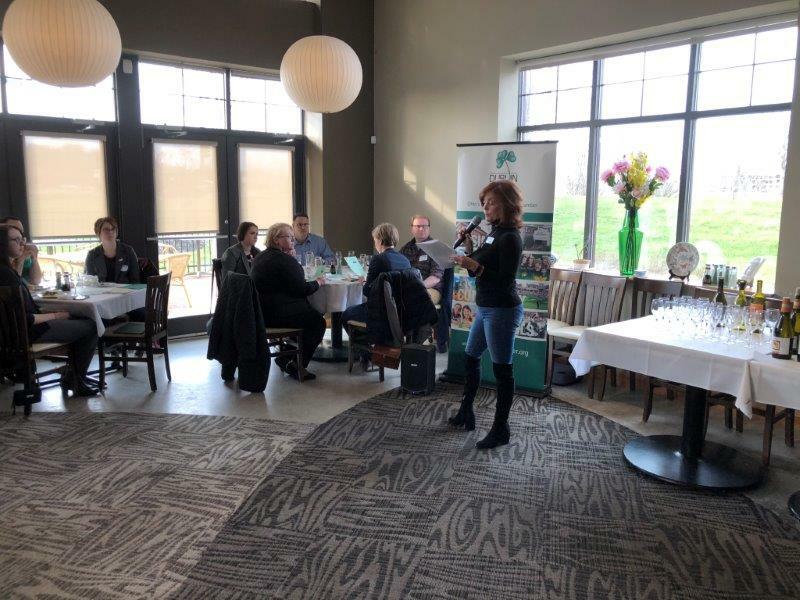 Thank you to our host for providing delicious food, door prizes, drinks and a beautiful setting! 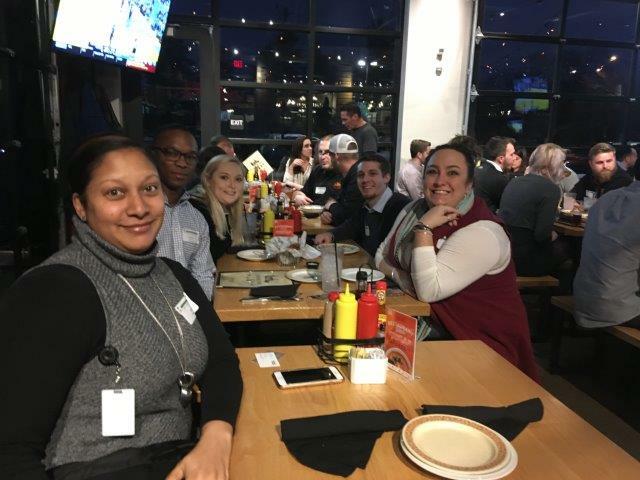 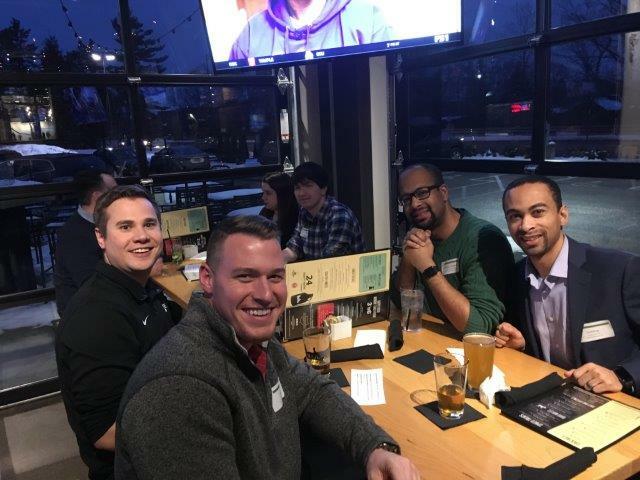 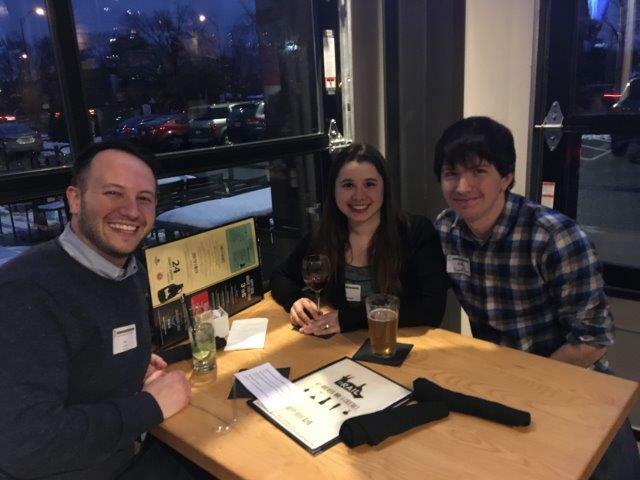 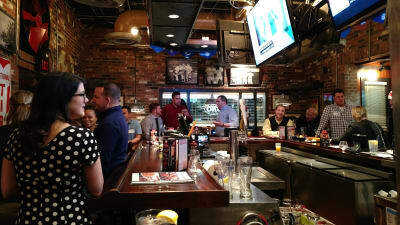 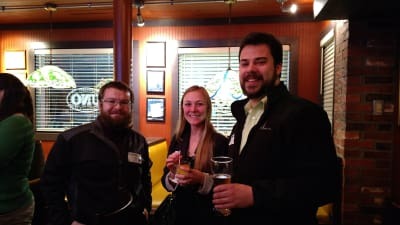 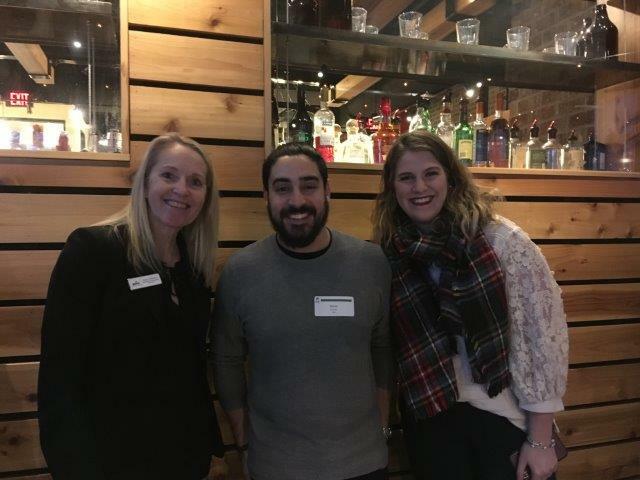 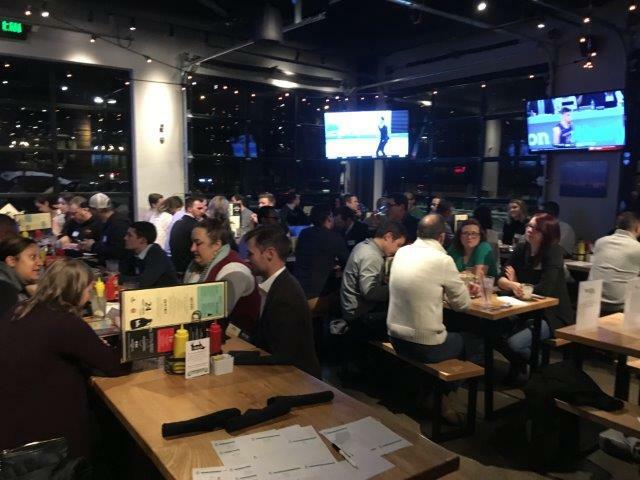 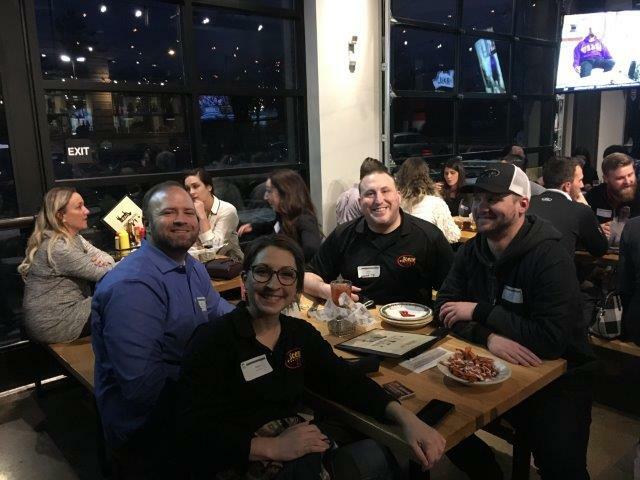 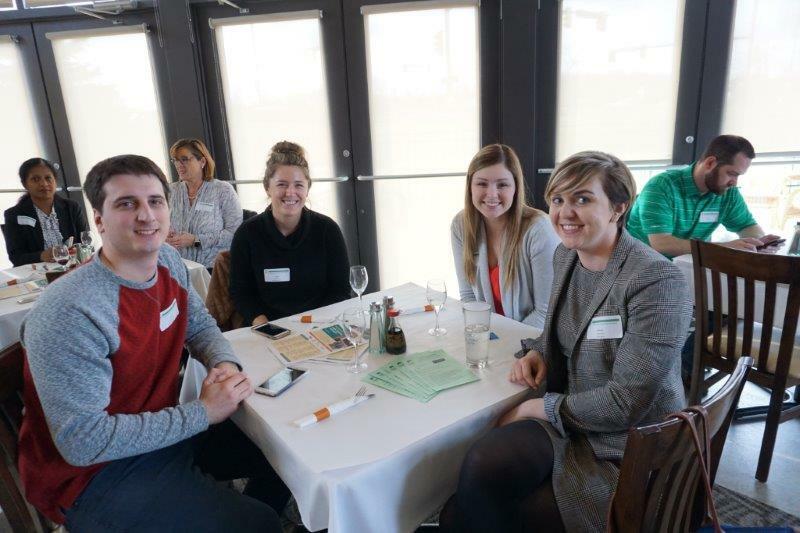 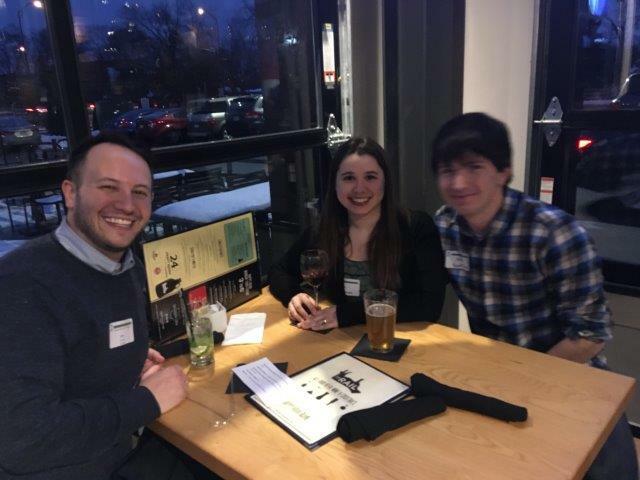 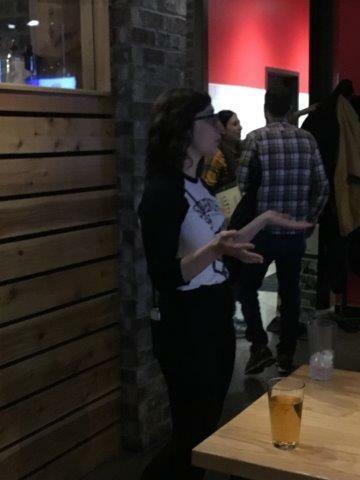 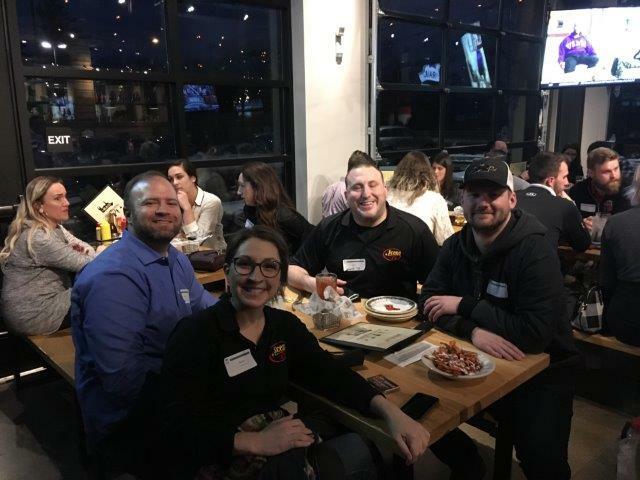 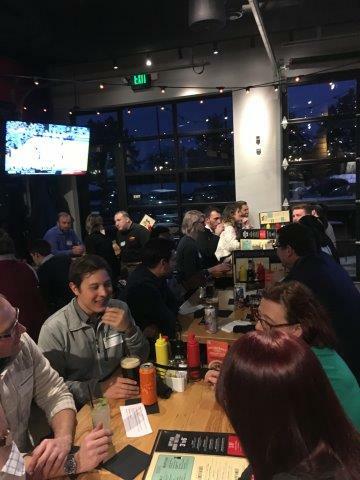 NextGen Dublin Young Professionals came together on Jan. 18 to kick off 2017 with networking and mingling with other YPs at Uno Pizzeria & Grill, 5930 Britton Parkway in Dublin. 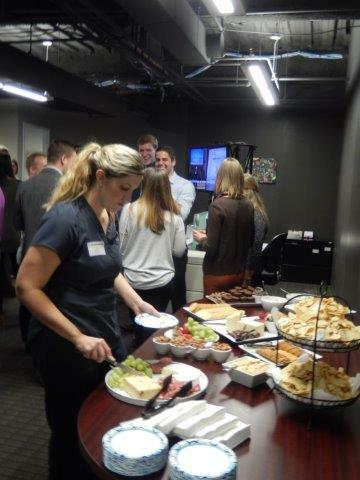 Thank you to our host for providing delicious appetizers and special drink prices for attendees. 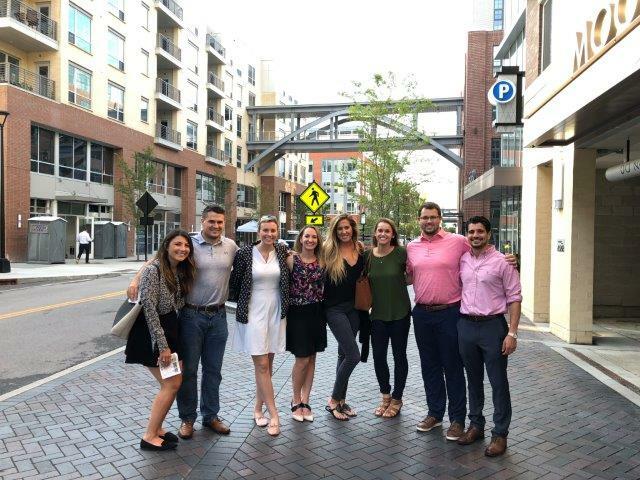 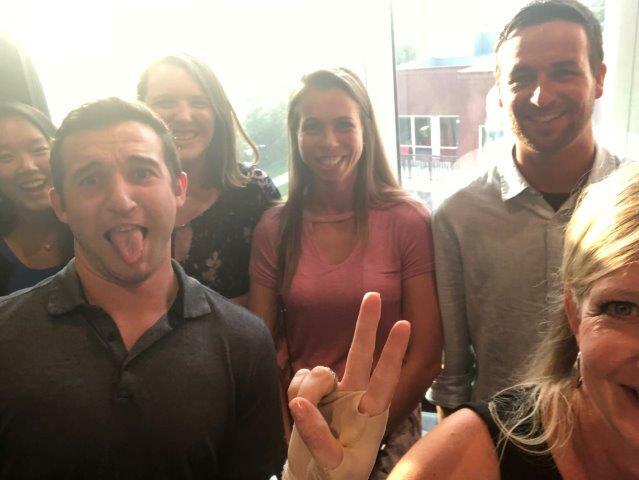 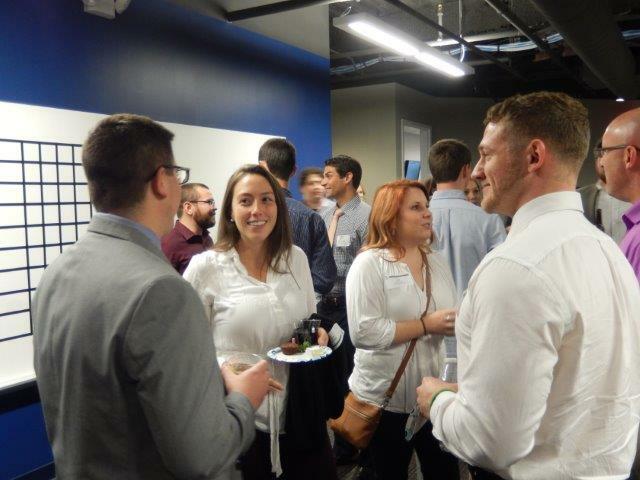 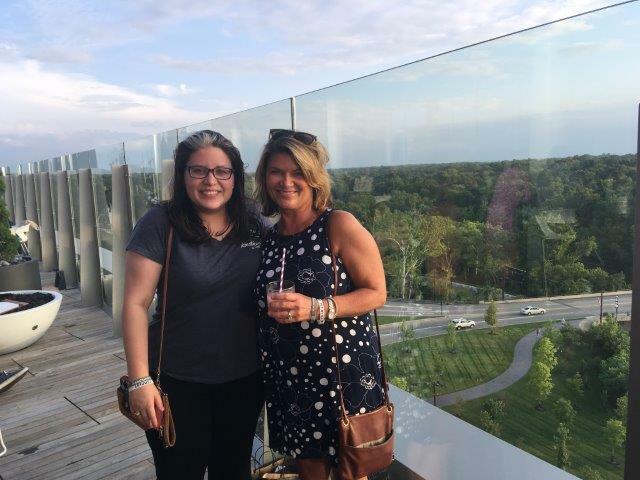 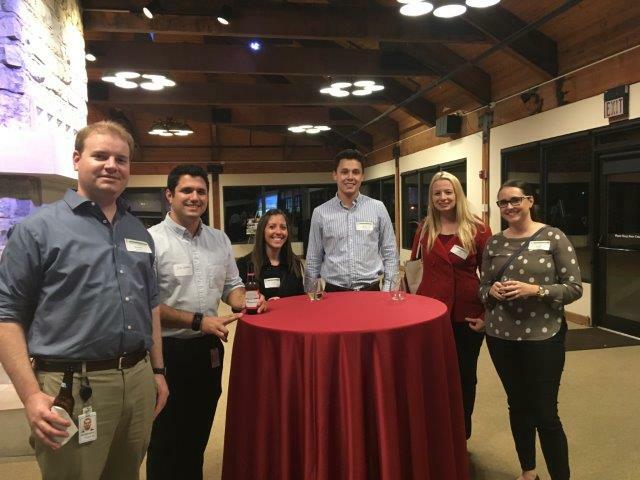 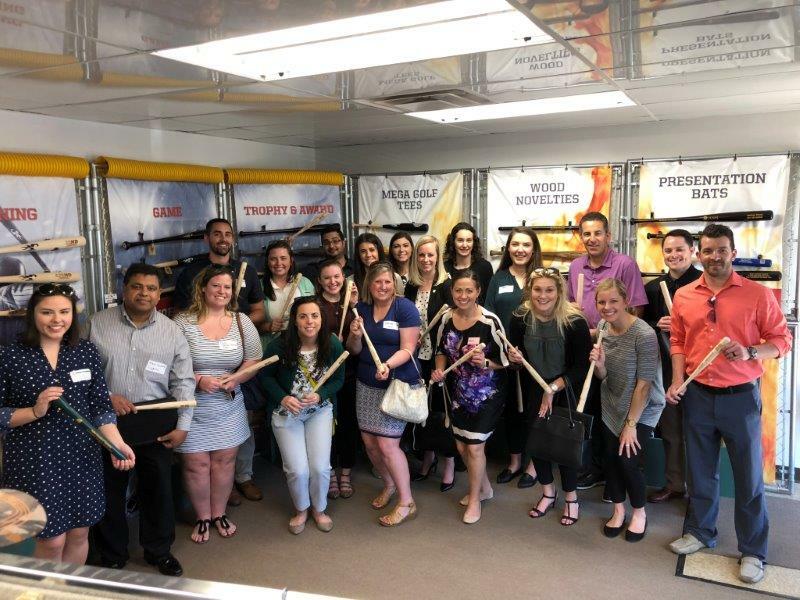 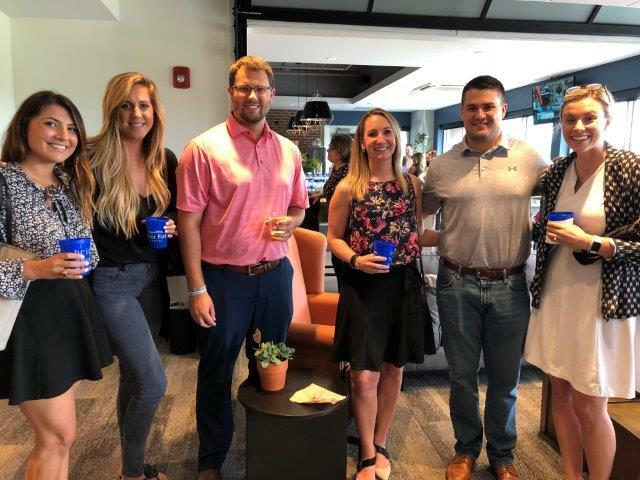 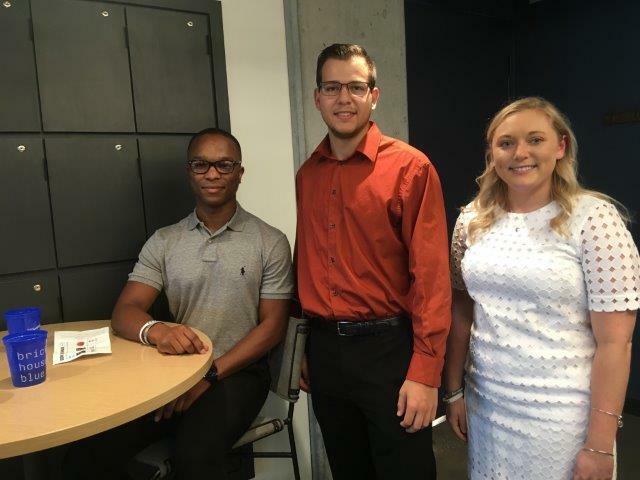 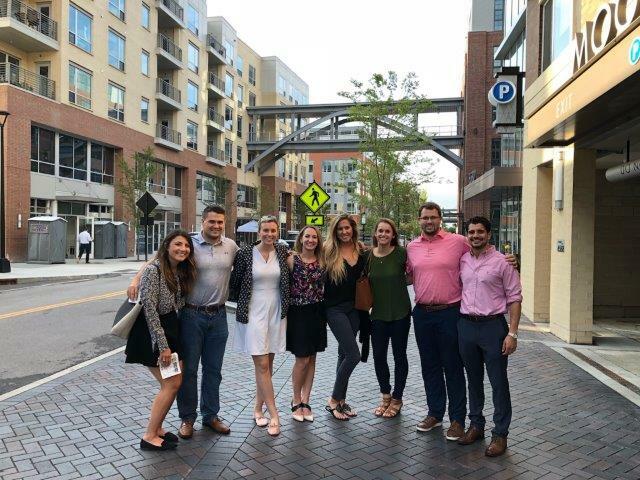 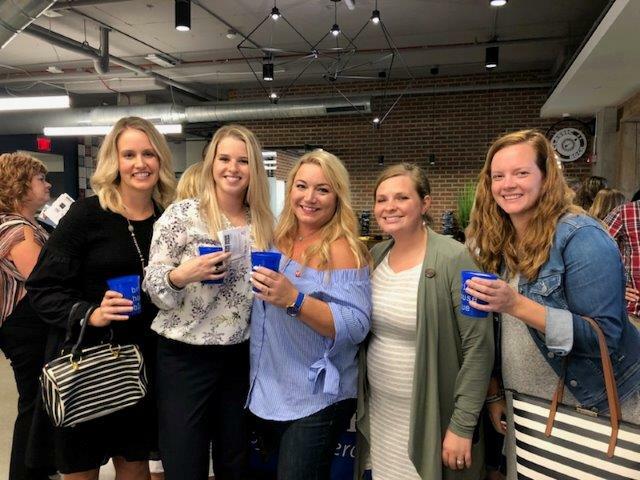 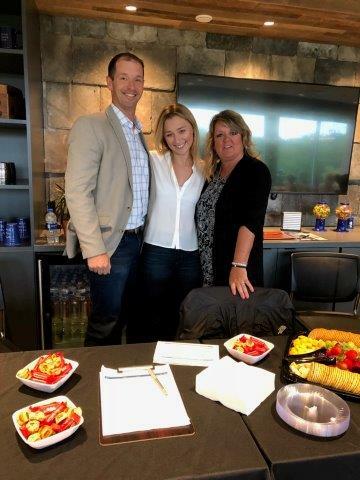 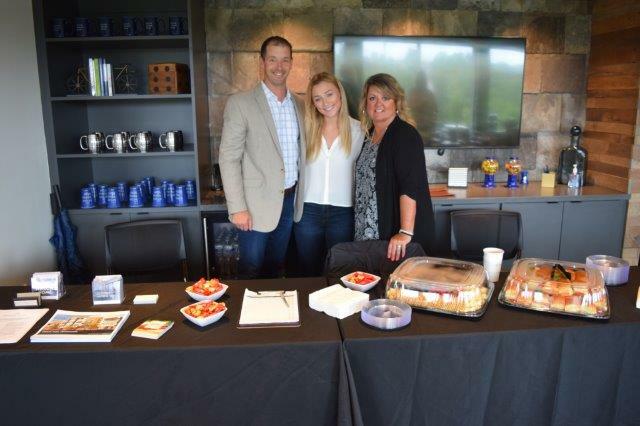 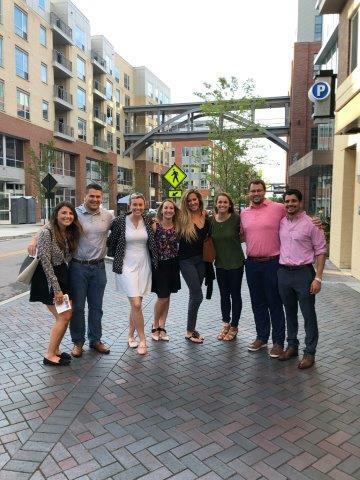 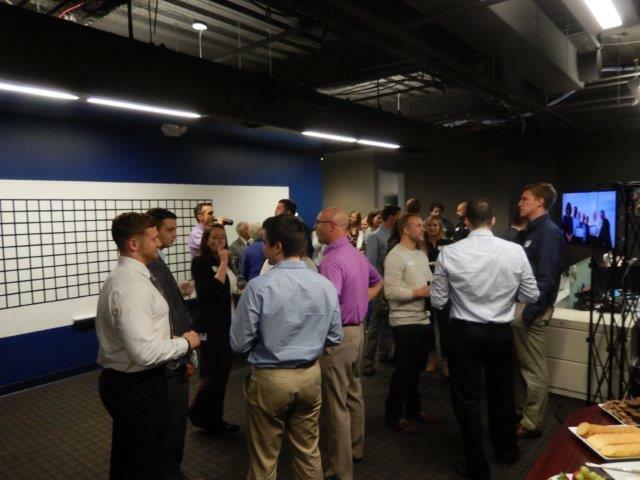 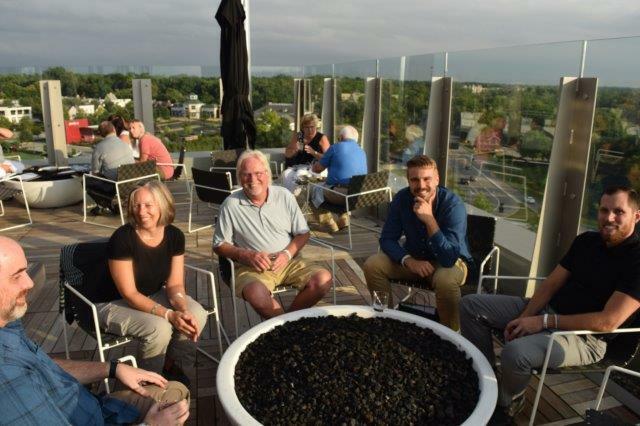 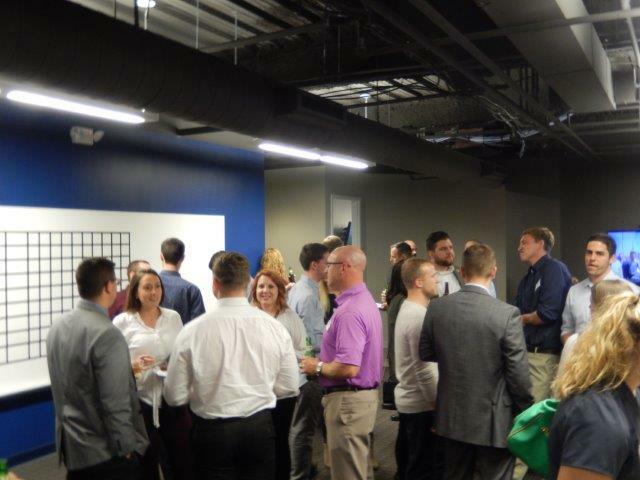 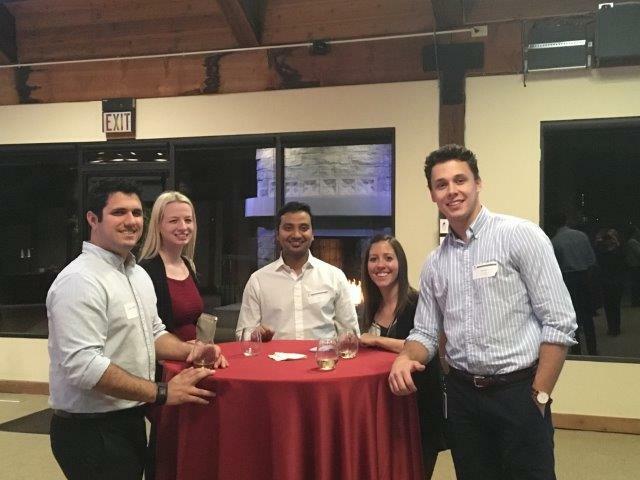 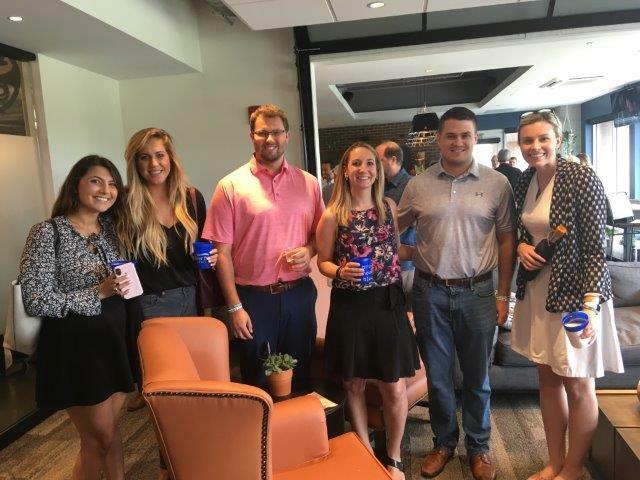 Thank you to Skylight Financial Group in Dublin for hosting young professionals from Dublin and Westerville for an after-work networking event. 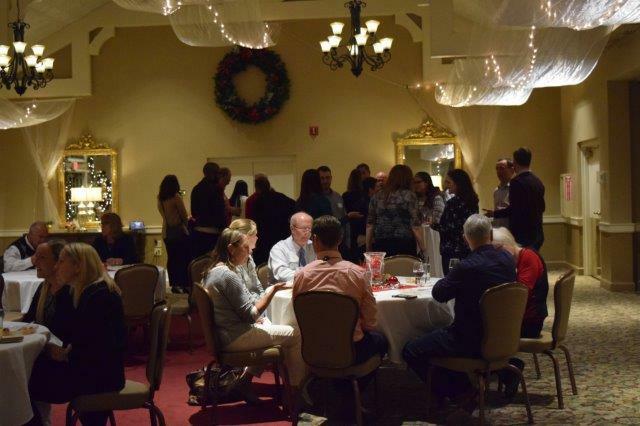 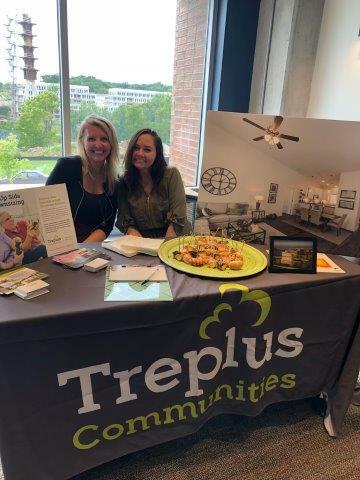 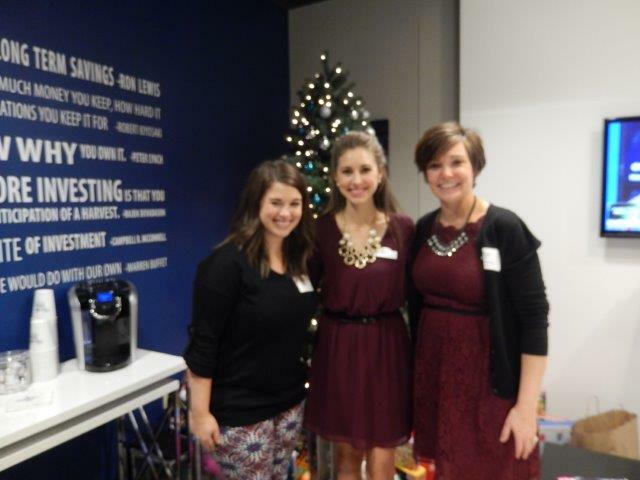 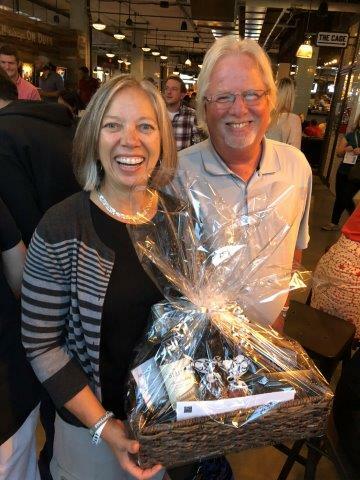 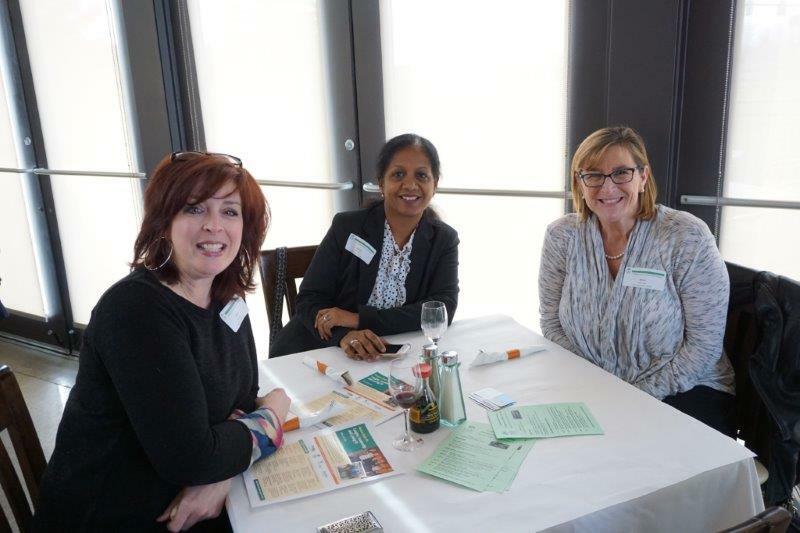 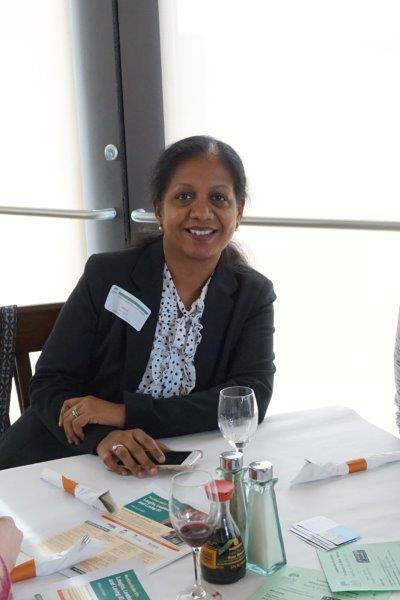 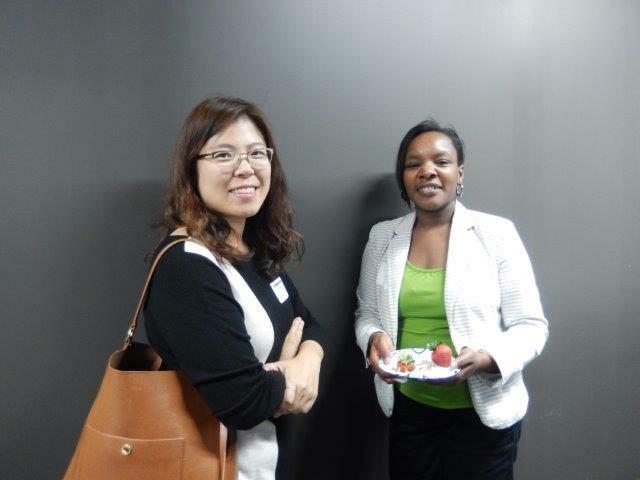 Attendees enjoyed delicious appetizers, beverages and the chance to win one of many door prizes. 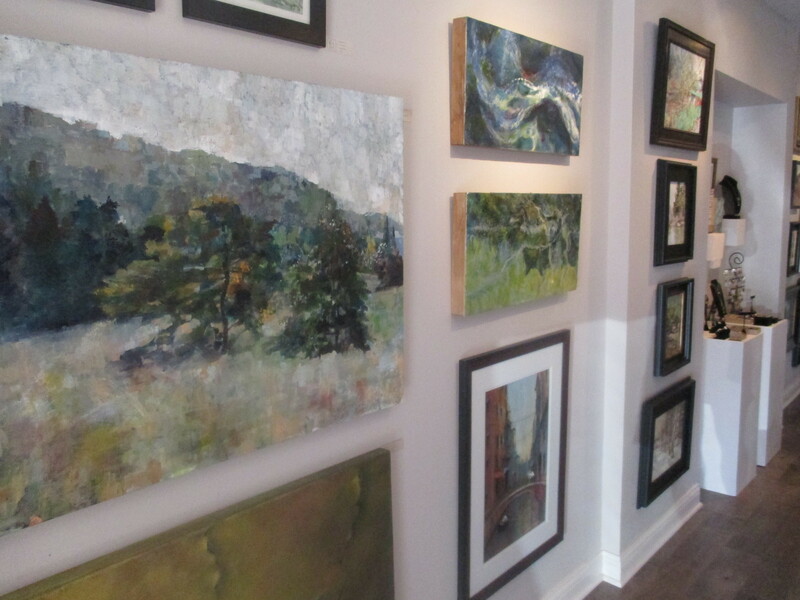 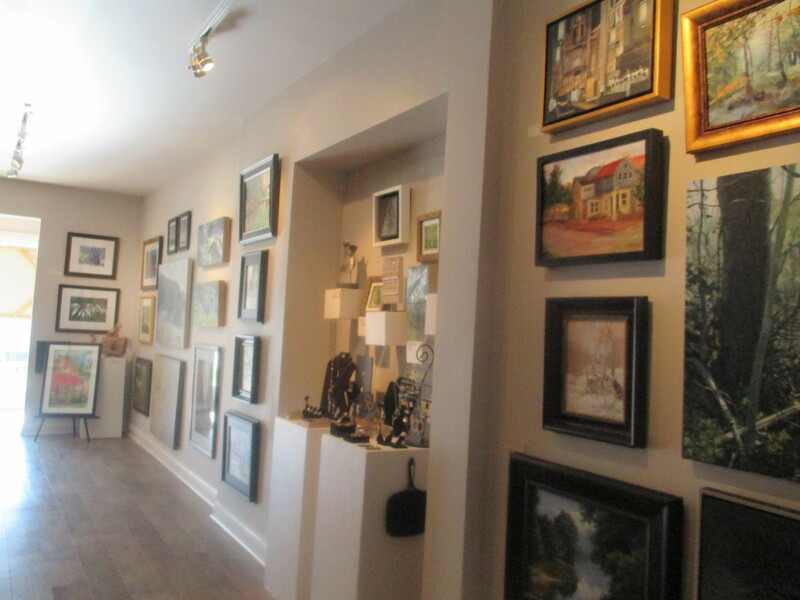 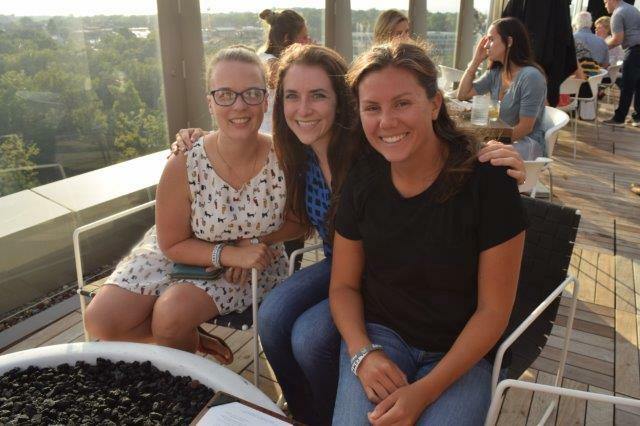 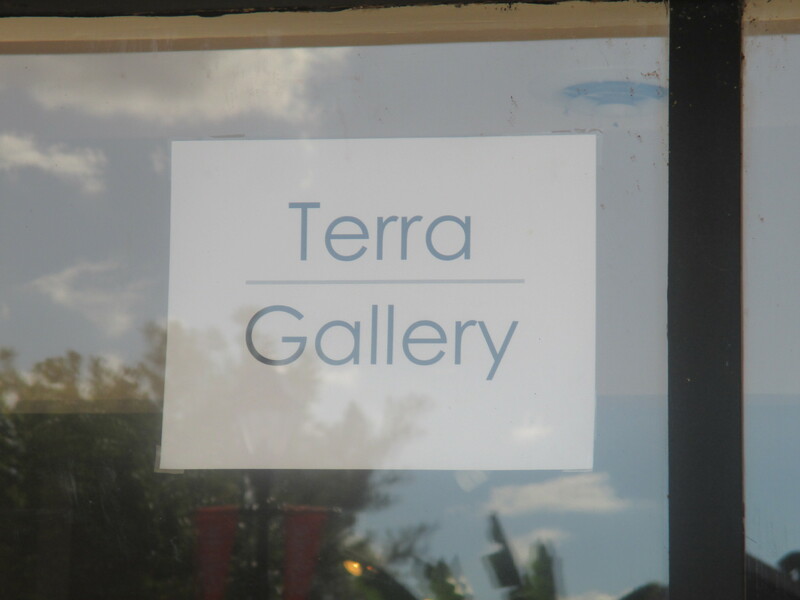 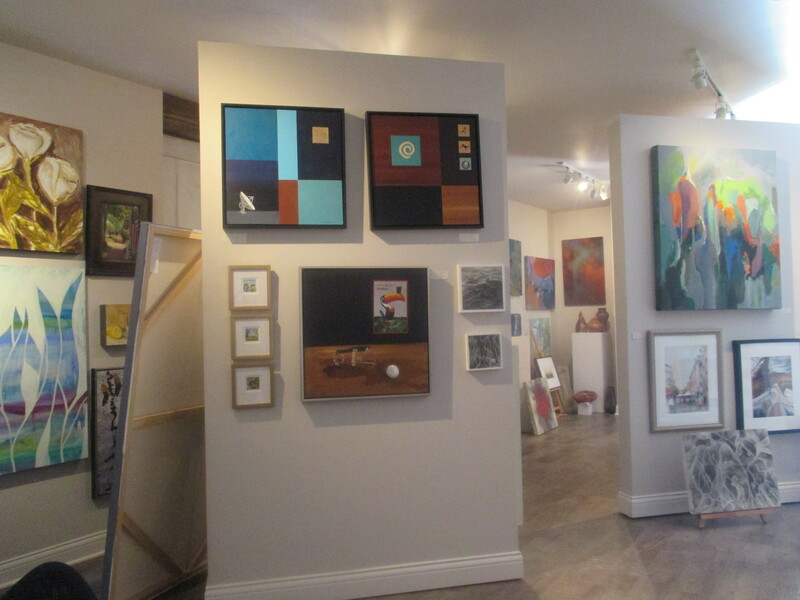 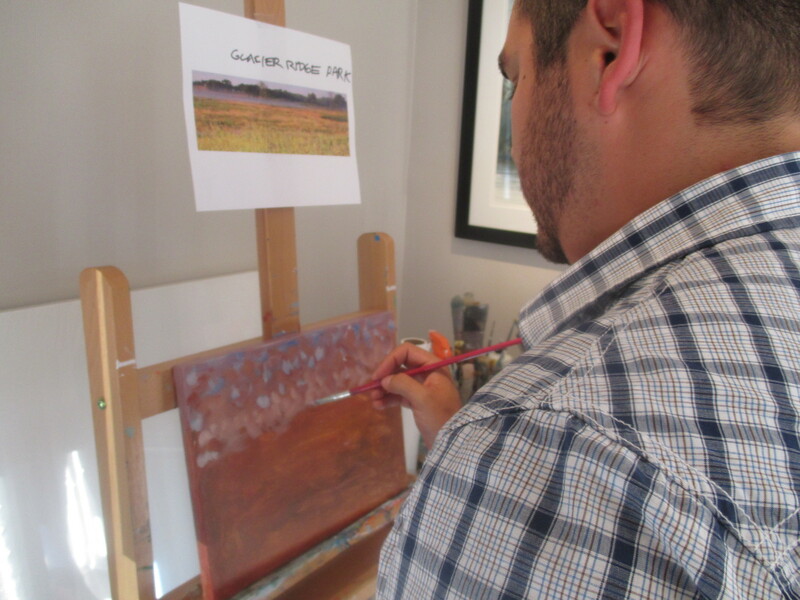 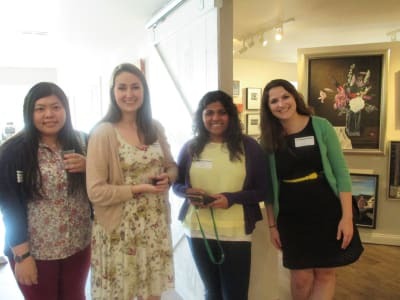 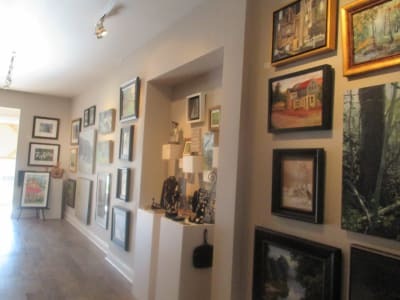 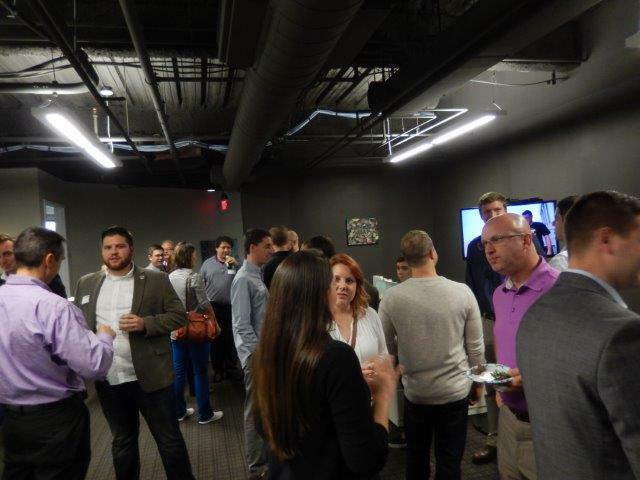 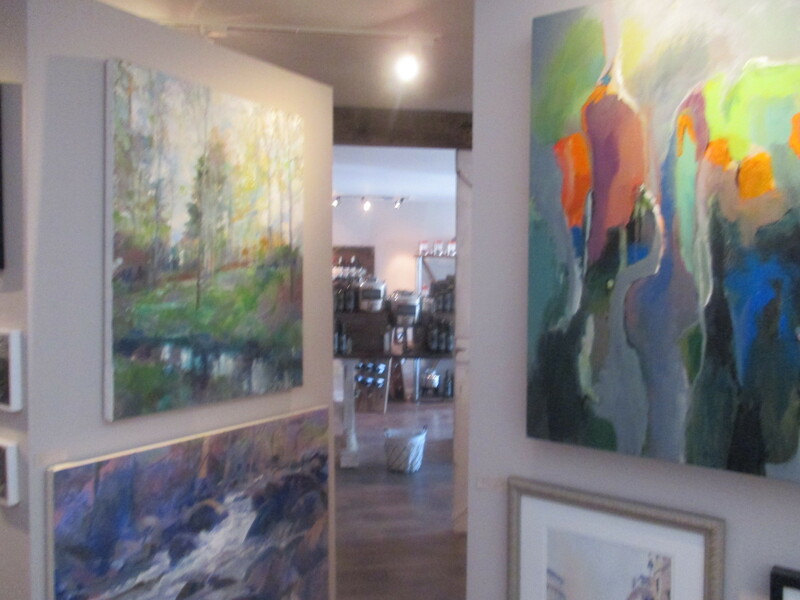 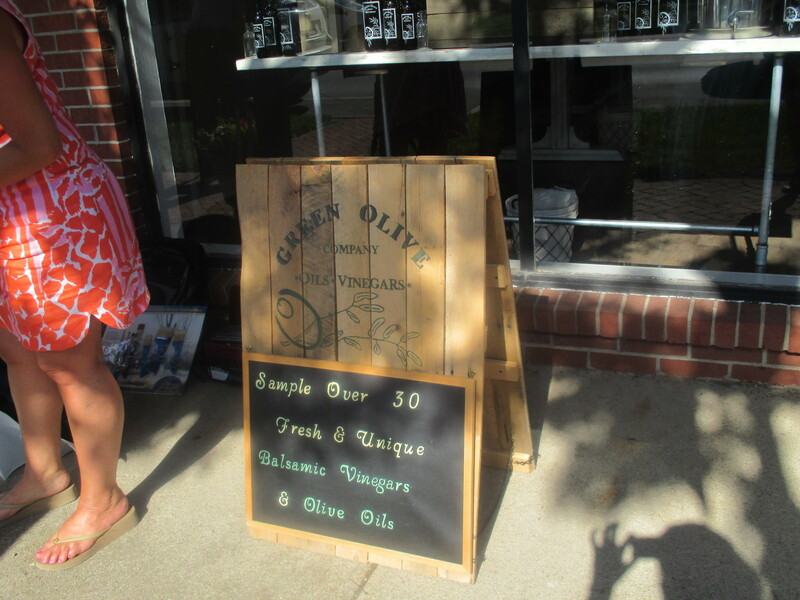 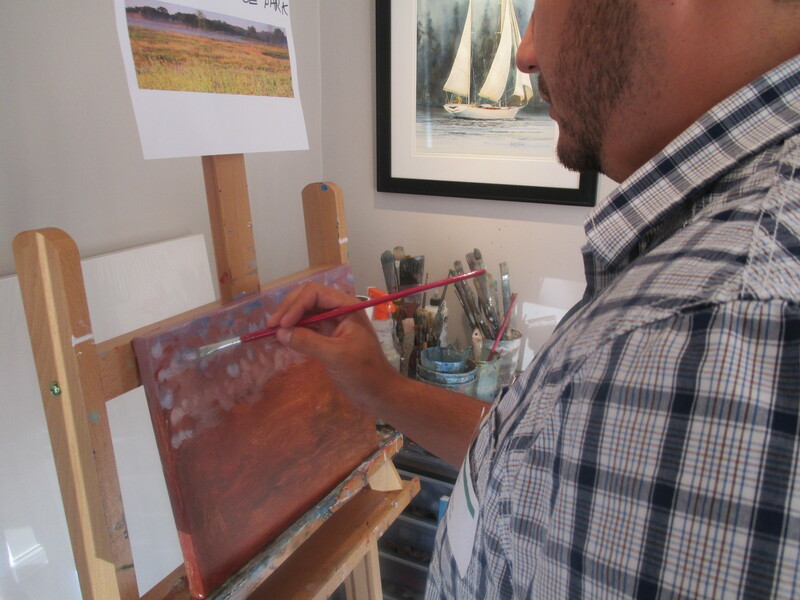 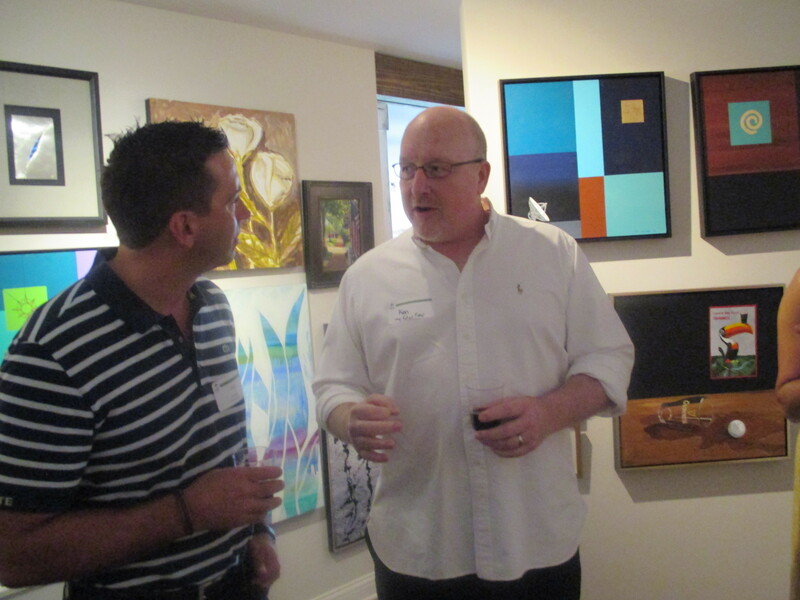 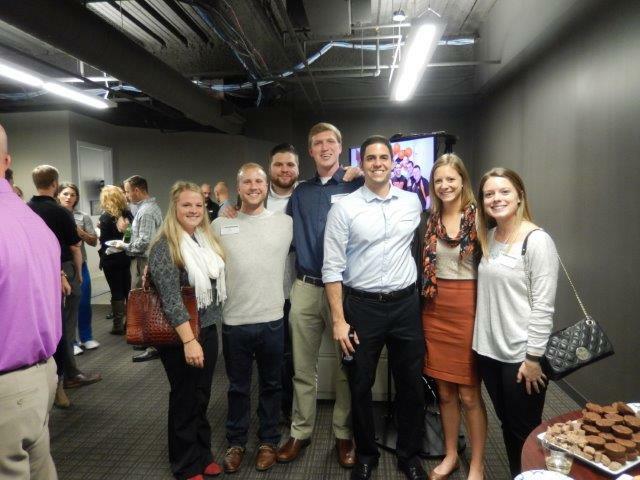 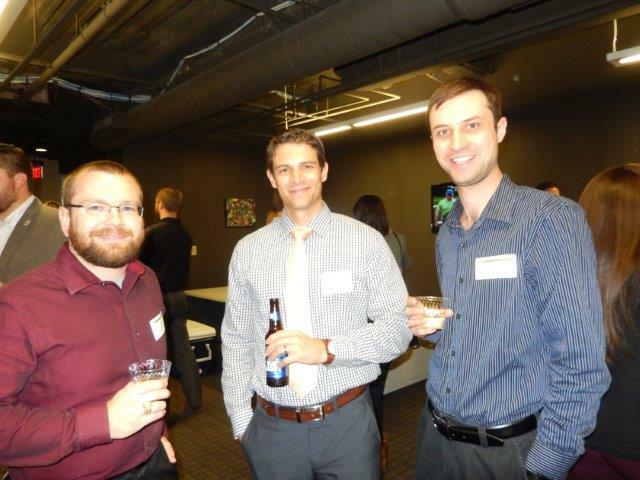 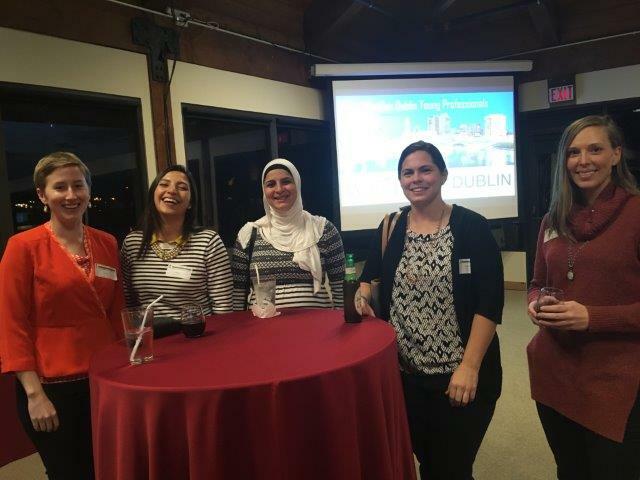 Thank you to Terra Gallery & Green Olive Company for hosting the NextGen Dublin Summer Social on Thursday, Oct. 20. 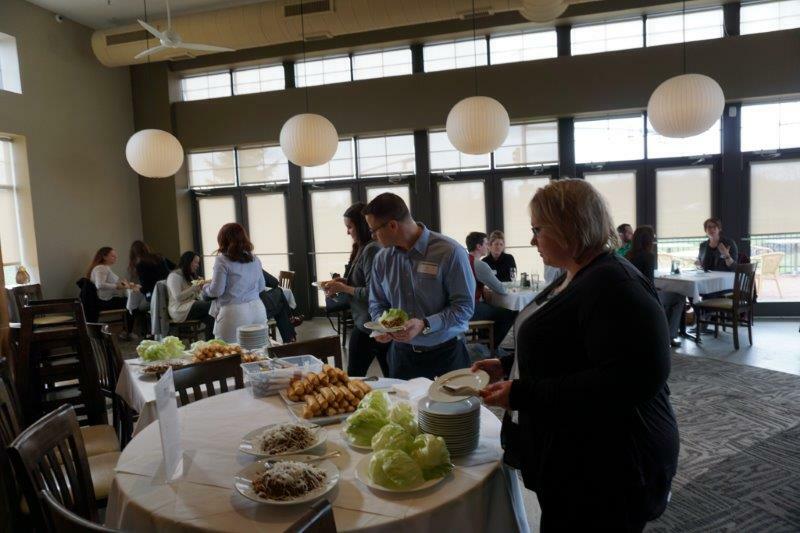 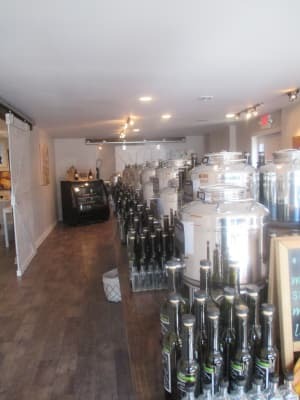 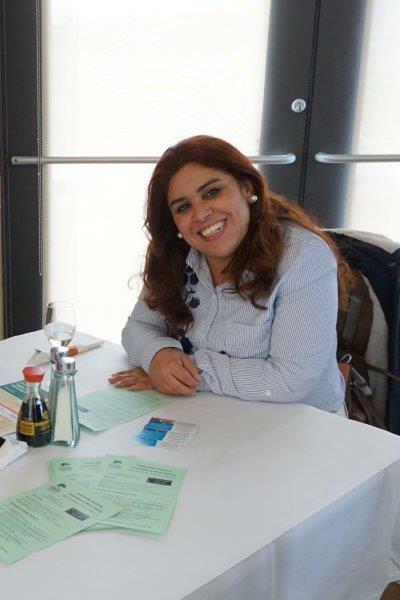 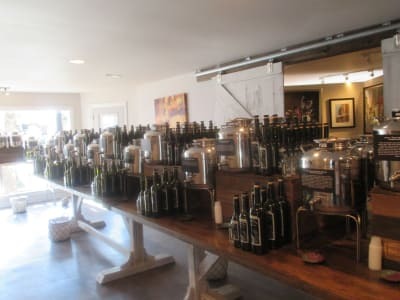 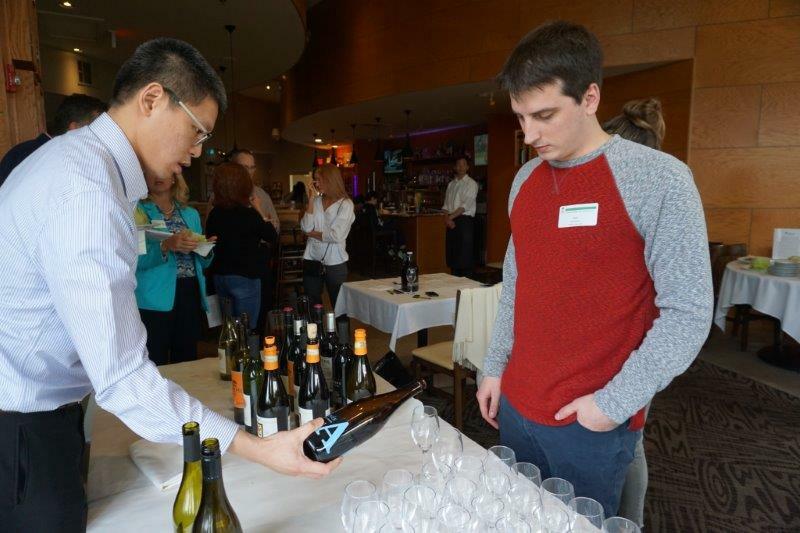 Attendees enjoyed creating their own drinks and dipping olive oils and trying all the delicious appetizers. 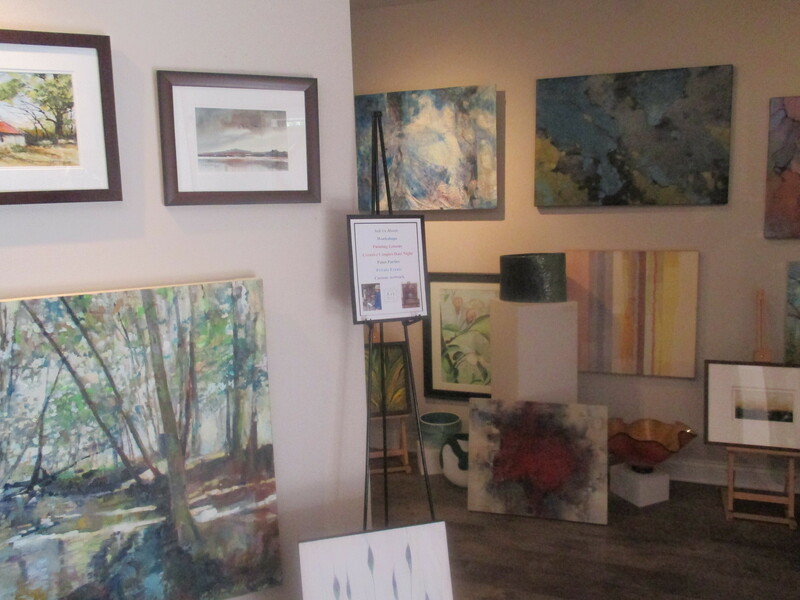 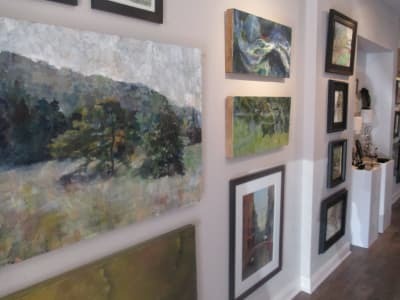 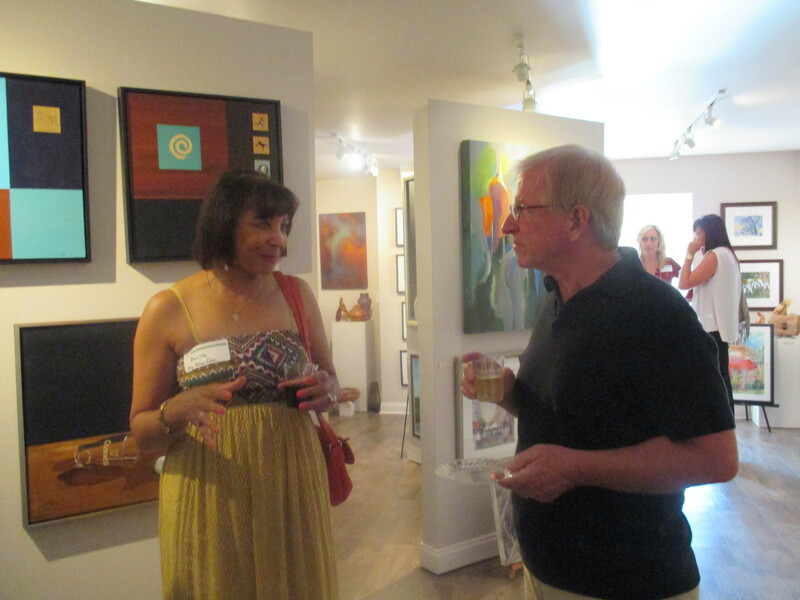 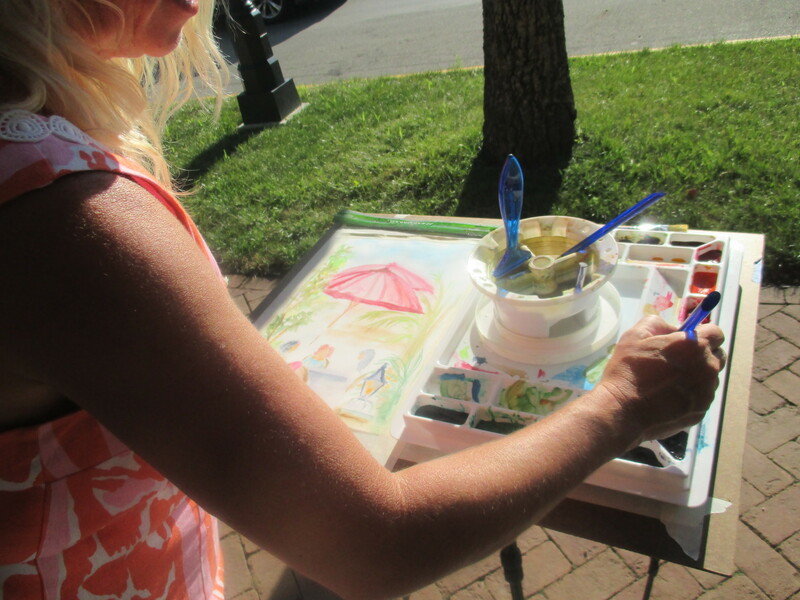 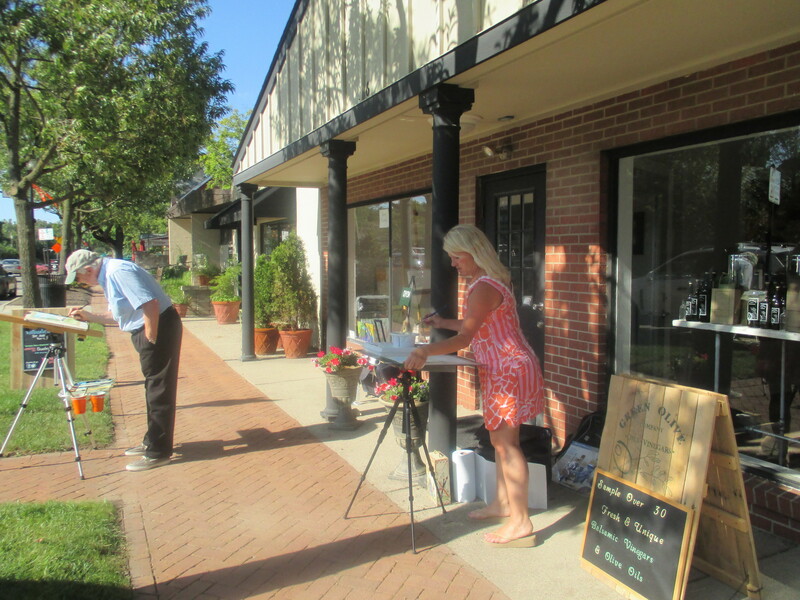 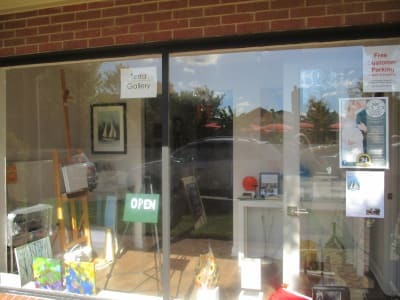 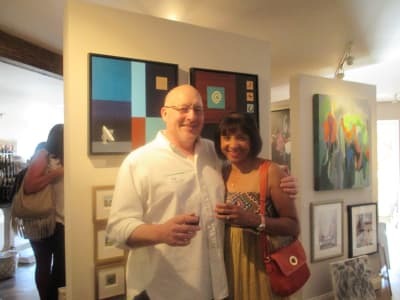 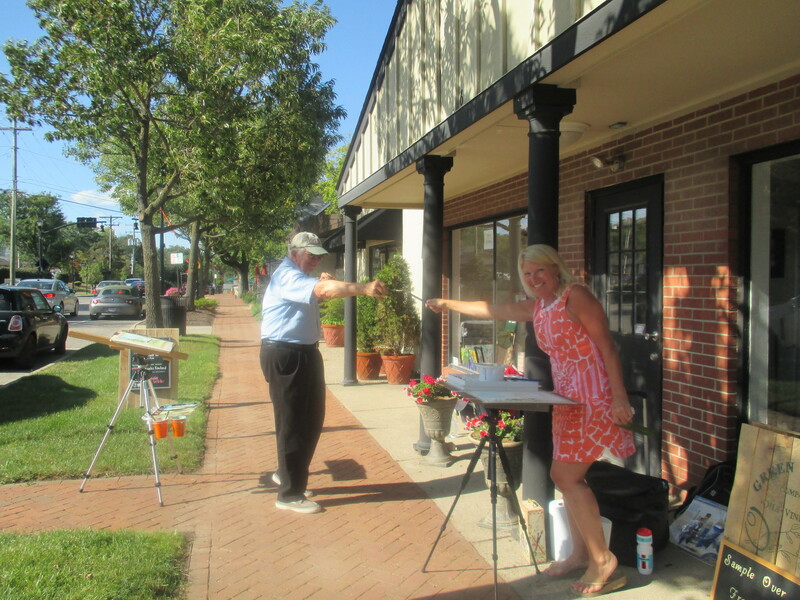 Those in attendance also checked out the great art work at Terra Gallery - and created a unique piece of their own that will be auctioned off at the Dublin Chamber 40th Anniversary Celebration on Oct. 20.